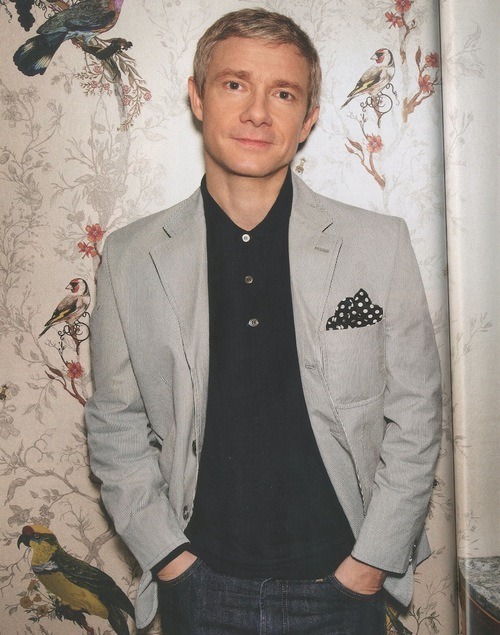 Welcome on Martin Freeman France. 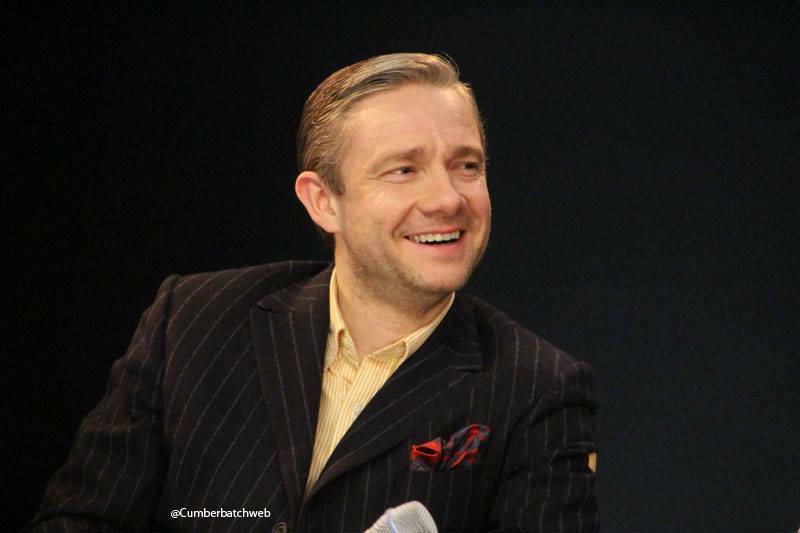 The fansite is open since 2012 on E-monsite an is here to offer you all the informations about Martin Freeman carreer. Good visiting on your new source. MISE A JOUR DU SITE EN COURS !! 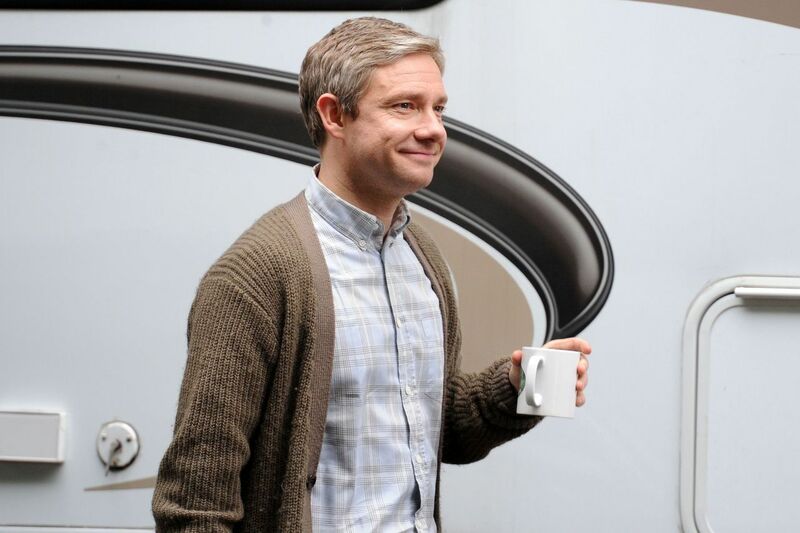 Martin Freeman rejoindra le casting de Captain America : Civil War, qui devrait sortir dans les salles le 6 mai 2016. Pour l'instant, son rôle n'est pas confirmé, mais un site non officiel, latino-review, affirme que le rôle qu'il aurait obtenu serait celui d'une sorte d’interrogateur, et serait amené à apparaître de nouveau dans Black Panther, qui devrait sortir au courant de l’année 2018. Evidemment, cette dernière information n'est pas encore officiellement confirmée. The Putney Debates took place in October 1647 and saw ordinary soldiers take on their generals to argue for greater democracy. 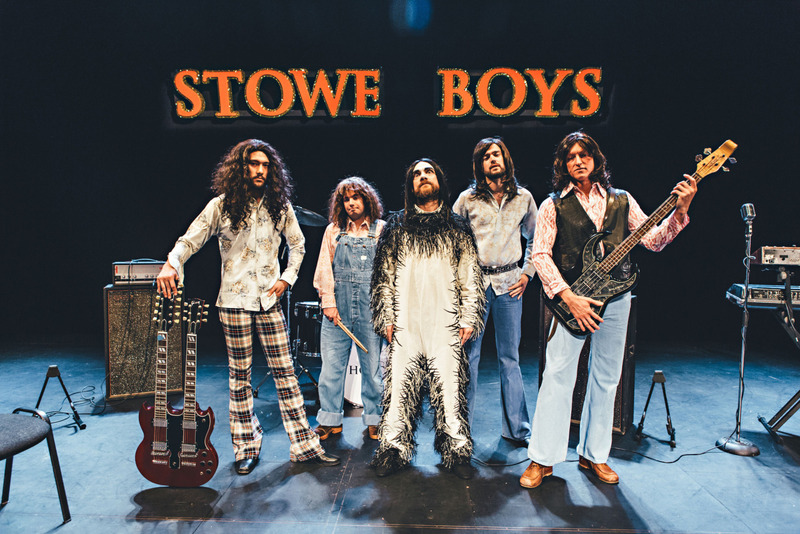 On the day of the General Election 2015, this was performed at the National Theatre. 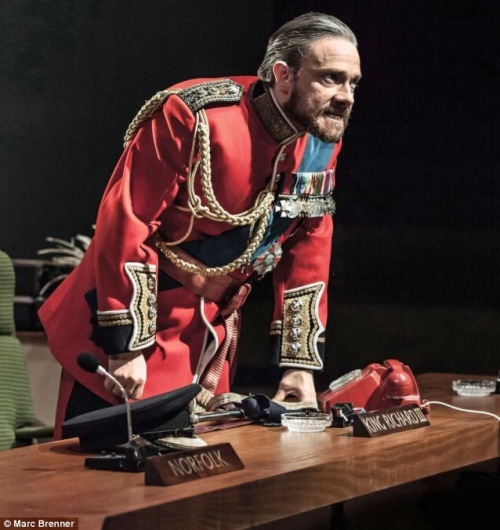 An extract of the Putney Debates feature in Light Shining in Buckinghamshire, Caryl Churchill’s play that tells the story of the men and women who went into battle for the soul of England. Passionate, moving and provocative, it speaks of the revolution we never had and the legacy it left behind. Un rôle dans les élections en Angleterre ? 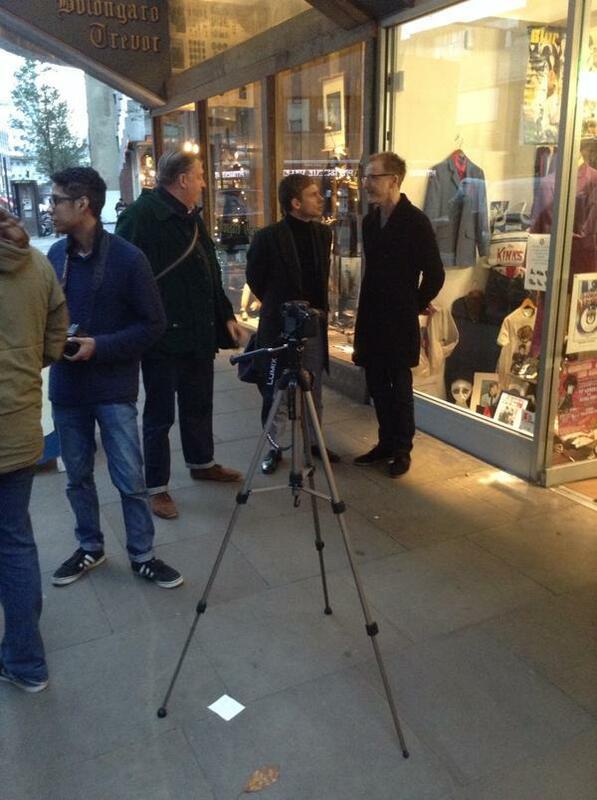 Labour has recruited actors Martin Freeman and David Tennant to appear in its first party election broadcast. 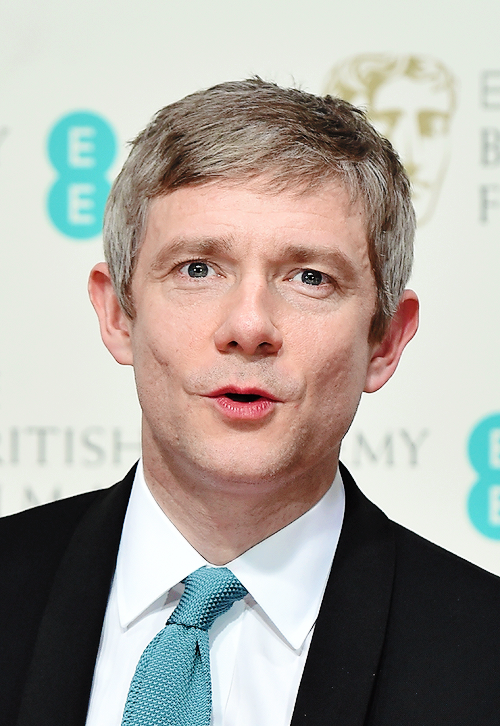 Freeman, who starred in Sherlock and The Hobbit, will declare that he is backing Ed Miliband and warn the Conservatives have “sod all to offer the young”. “Really, for me, there’s only one choice, and I choose Labour,” he said. The video, titled “What’s the choice in this election?”, shows Freeman turning up to a studio with a white background before addressing the camera directly. He says: “We are in the runup to a general election and you are going to hear loads of claims from people from the left, on the right, all over the place. It’s going to drive you mad. It will probably drive me mad. It boils down to a choice between a Labour government and a Conservative one. 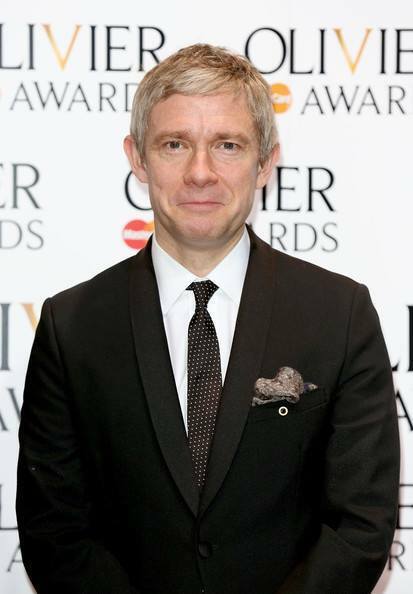 Martin Freeman was present at the Ceremony British Academy Film Television Awards 2015 at the Royal Opera House in London on February 8 , 2015. 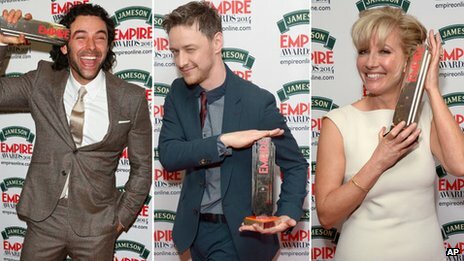 He presented with Gugu Mbatha-Raw film awards. 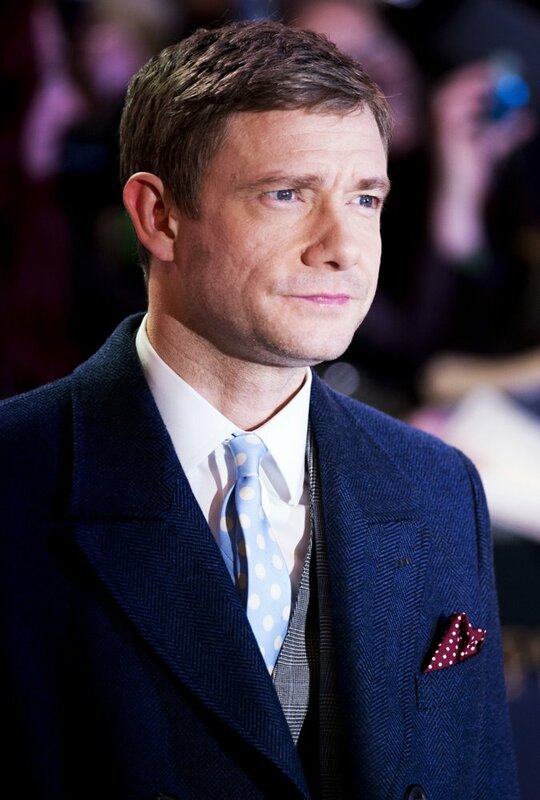 Here are some pictures of the TV film in which Martin play the role of Milton Fruchman, a revolutionary television producer , determined to proceed with the distribution of the Eichman trial , the trial of a Nazi criminal. Here the official images of BBC2 and trailer. Tuesday began filming the Christmas special Christmas until the three episodes of next season , which should be turned this spring. This episode should be disseminated in December 2015, just as the season 4 is scheduled for 2016. Some pictures of scenes in Bristol outputs are available, and reveal some intentions for this special episode. 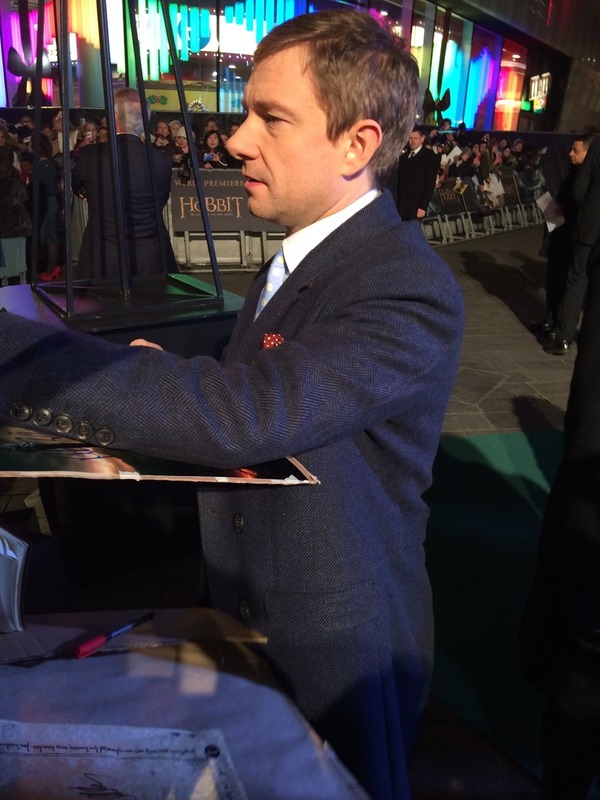 Martin Freeman, Benedict Cumberbatch and Evangeline Lilly graced the red carpet at the world premiere of The Hobbit: The Battle of the Five Armies in London night of 1st december. 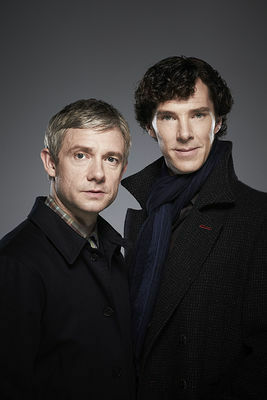 Sherlock is returning with a special one off episode, the BBC have confirmed. 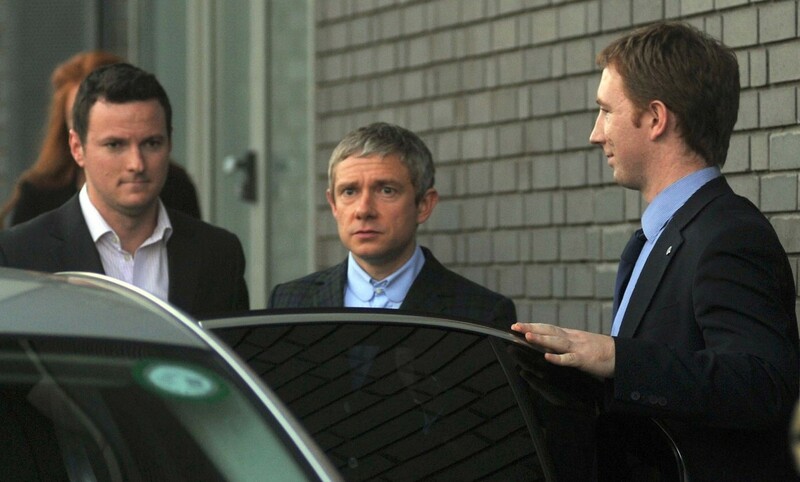 Writing on the BBC One Twitter account, the corporation announced that Benedict Cumberbatch and Martin Freeman will return for the special. 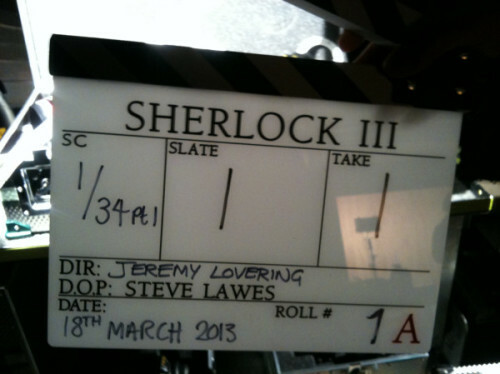 "#221back # Sherlock # notkidding," the tweet read alongside a picture of the stars in costume complete with bowler hats. 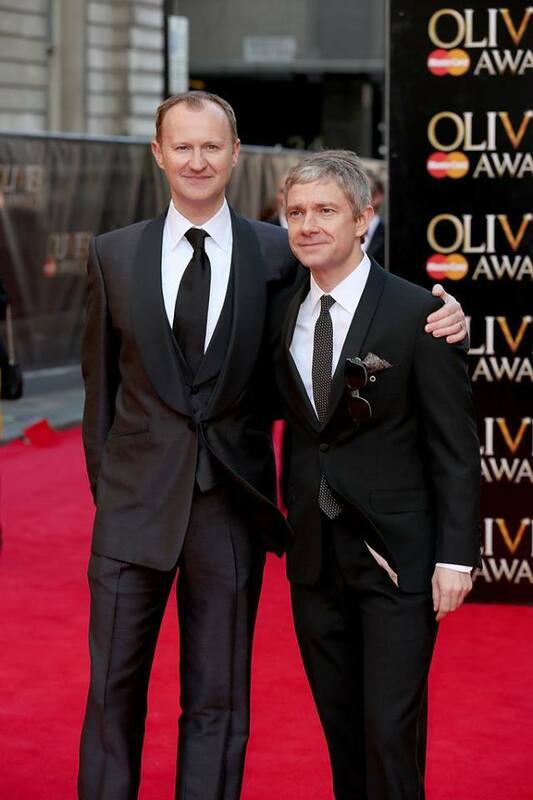 Show creators Steven Moffat and Mark Gatiss are confirmed to have written the script. 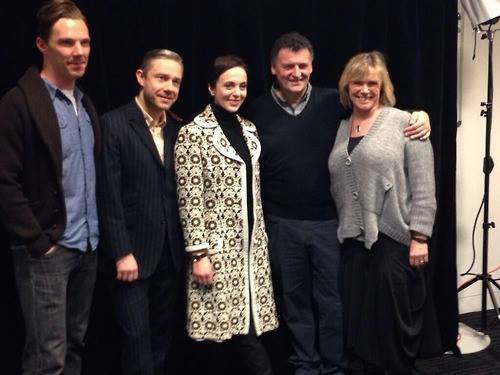 The read through of the episode took place today, with the BBC also tweeting a picture of the script. It's not yet known when the special will air. 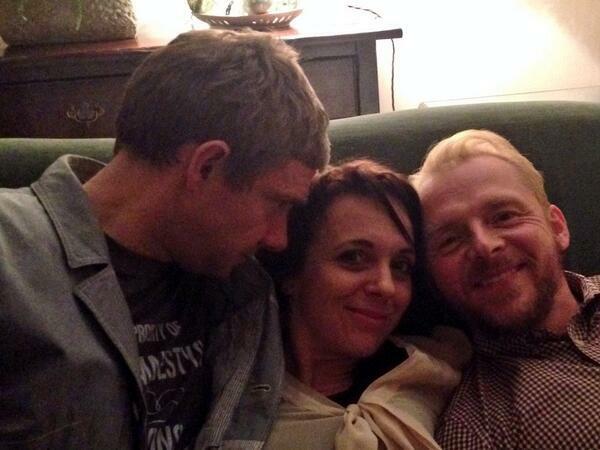 Gatiss recently revealed that the new episodes of the show will feature 'tragedy' leading many to speculate that Mary Watson would meet her end. 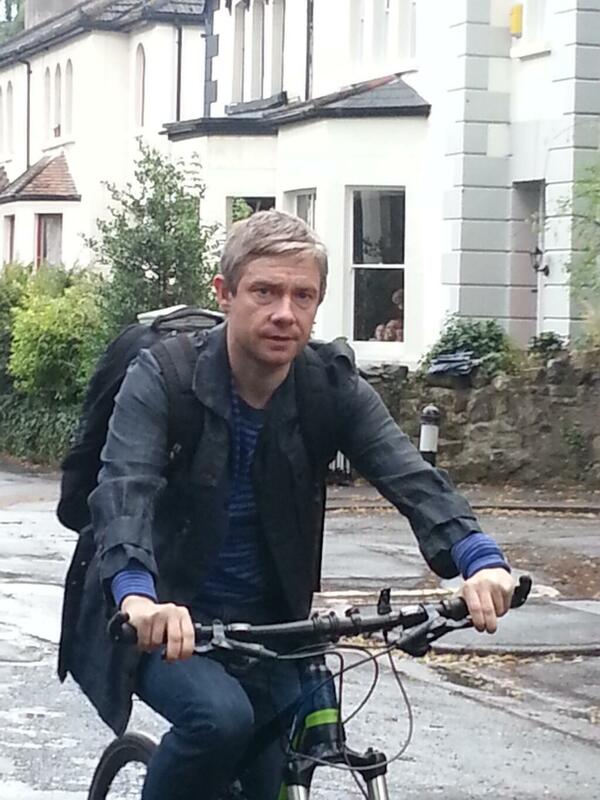 "You can always expect tragedy as well as adventure, that’s just how it goes," he told the Radio Times. 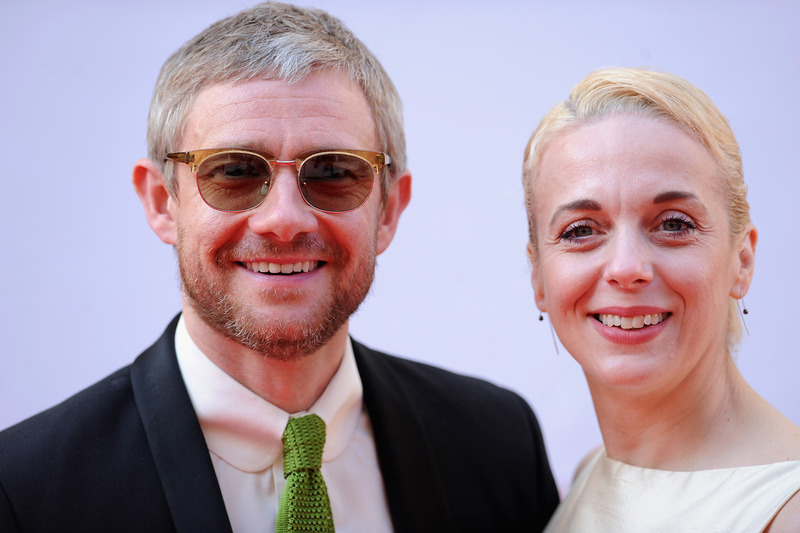 The BBC One drama could follow in the footsteps of Sir Arthur Conan Doyle's Sherlock Holmes novels and kill off Watson's wife Mary, played by Freeman's real-life spouse Amanda Abbington. It may seem a little too early to axe her considering she was only just introduced in series three in January, but it'd certainly pack the emotional punch Gatiss teases. 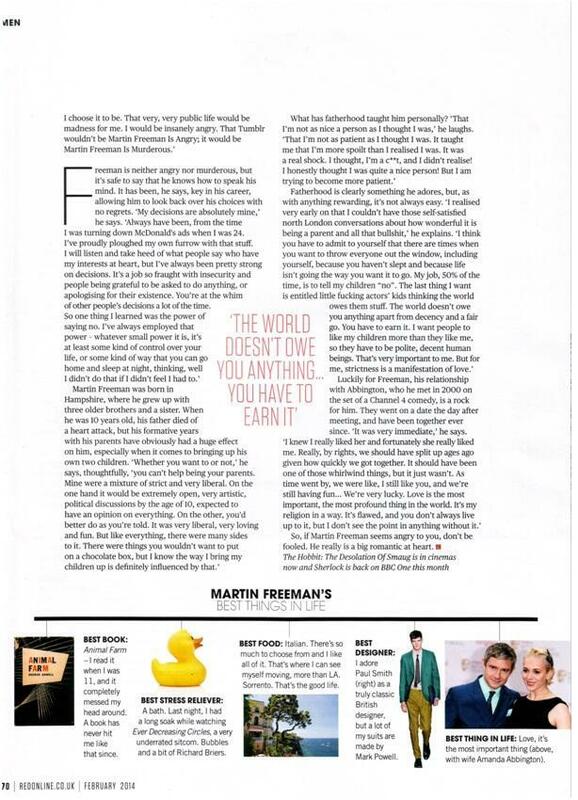 Freeman himself suggested Mary will die at some point. 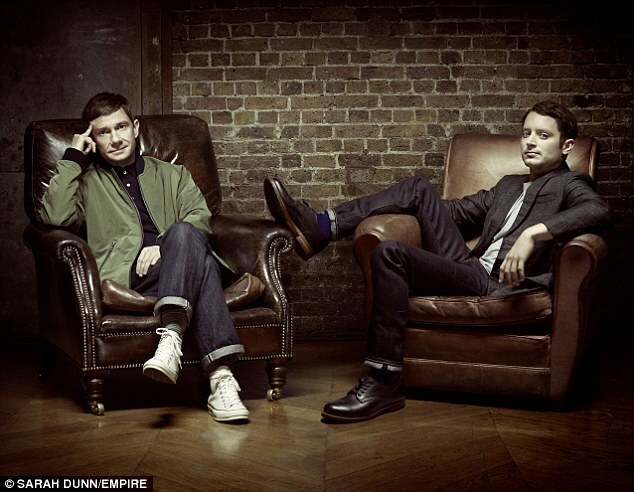 Martin Freeman and Elijah Wood have finally come together for the first time, in a special edition of EMPIRE magazine. 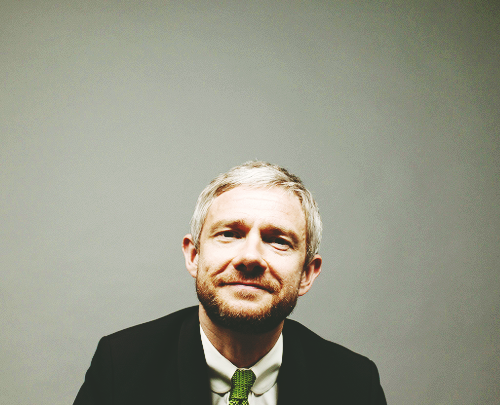 Martin, who has won critical acclaim outside of his part in the Peter Jackson films for his roles in TV's Sherlock and Fargo, added: 'Bilbo is more fussy, he's less open. He's older, for a start, he's more set in his ways. 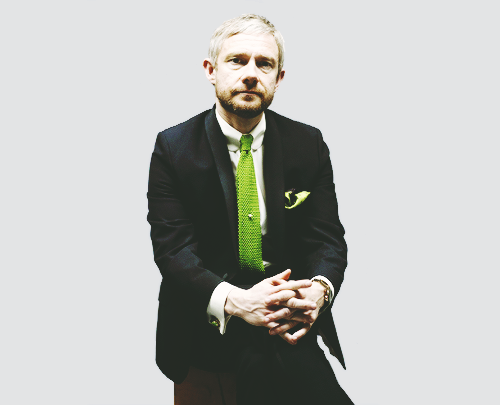 He approaches everything on the one hand with trepidation, and on the other with a great feeling of superiority.' But he was keen to not make him an 'English archetype', adding that he and the director 'wanted him to be layered and empathetic; pompous and a bit of a scaredy-cat but also find true heroism'. 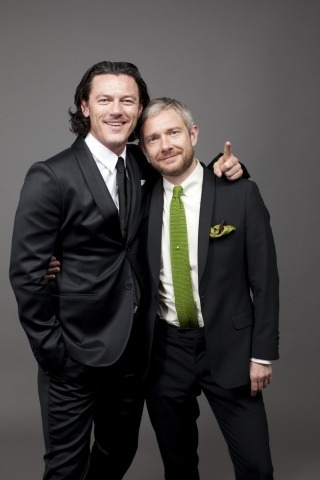 The two actors have become unlikely pin-ups over the years for their portrayal of the beloved Hobbit characters. 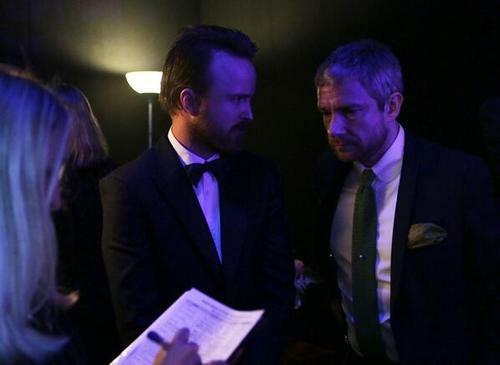 And now their time spent together reminiscing over their respective roles in the iconic Peter Jackson films will no doubt please fans the world over. A Role in Taliban Shuffle ? 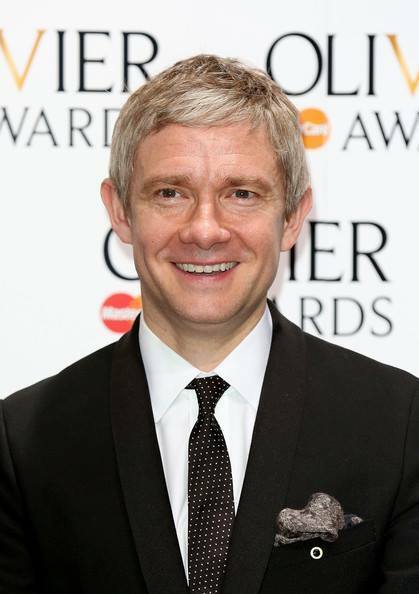 Martin Freeman is in talks to join Tina Fey and Margot Robbie in Taliban Shuffle, Paramount's adaptation of journalist Kim Barker's wartime memoir. The book recounts Barker's arrival as a fish out of water in Kabul, filing stories about militants, being a woman in wartime Iraq and Pakistan, and dealing with boredom interspersed with dashes of violence and the promiscuous war-correspondent culture. 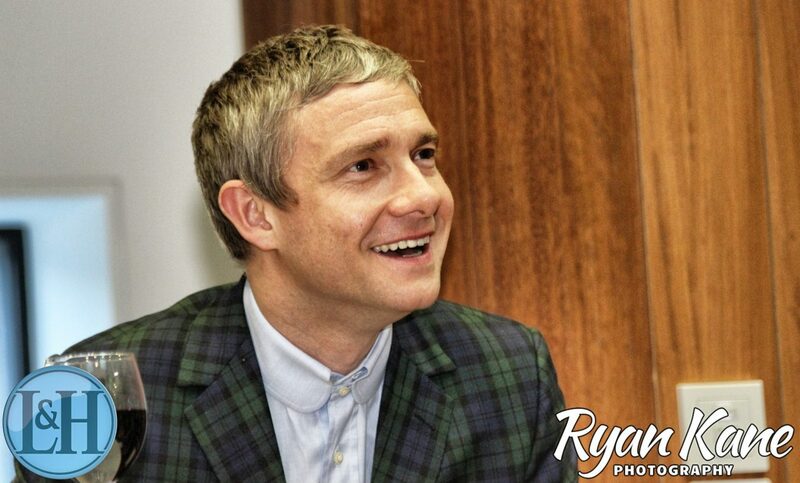 Freeman will play Fey's unexpected love interest, a dedicated Scottish photojournalist. Robbie is a competing and hard-core on-air reporter. 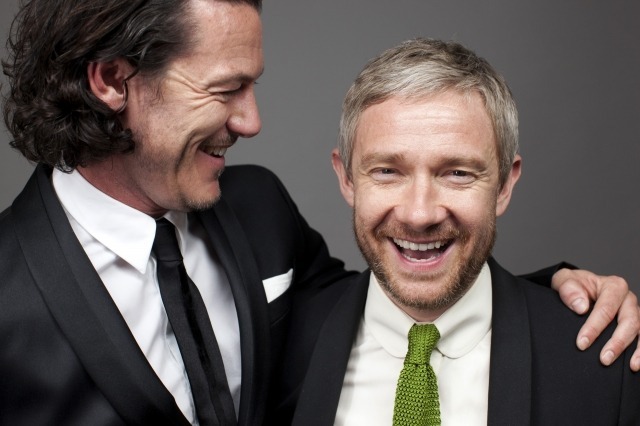 Freeman couldn't be busier as he comes off being nominated for an Emmy for starring in FX's Fargo TV series and winning an Emmy for outstanding supporting actor in a miniseries or movie category for his performance as Watson in Sherlock. 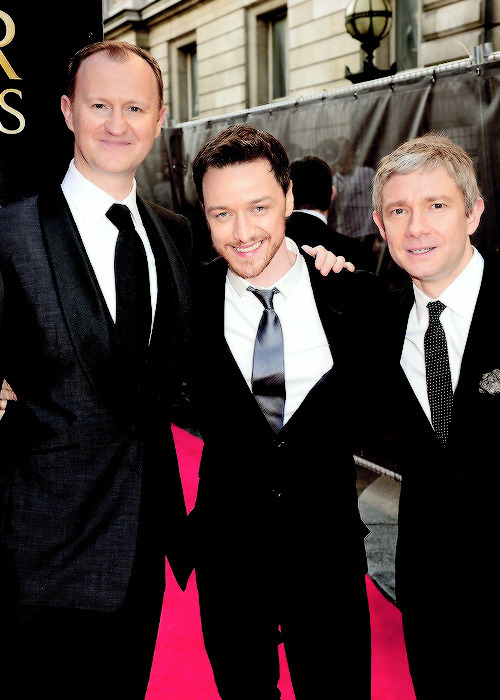 SNL's December Hosts: James Franco, Martin Freeman and Amy Adams. 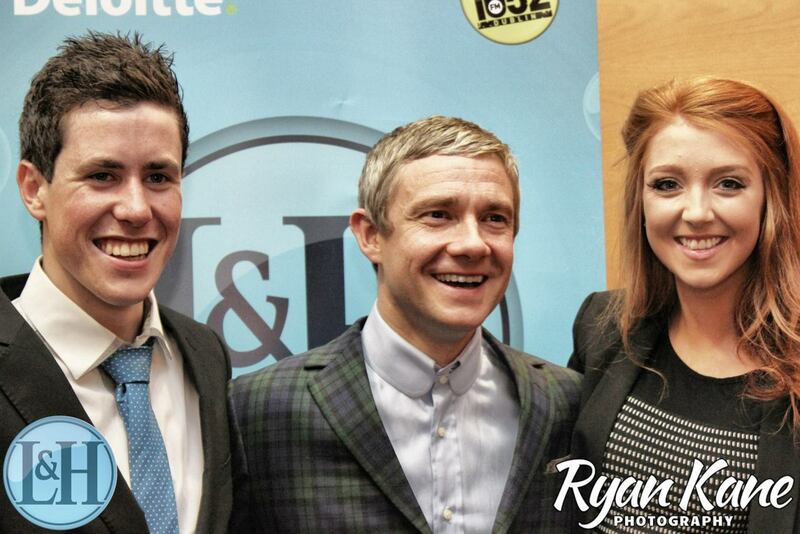 NBC’s Saturday Night Live has announced its final hosts for 2014, The Hobbit himself included. 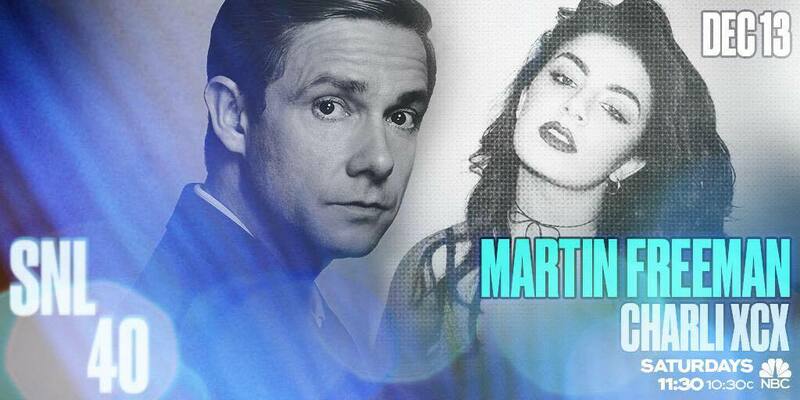 On Dec. 13 — just days before The Hobbit: The Battle of the Five Armies hits theaters — Emmy winner Martin Freeman (Sherlock) will make his SNL hosting debut, alongside first-time musical guest Charli XCX. 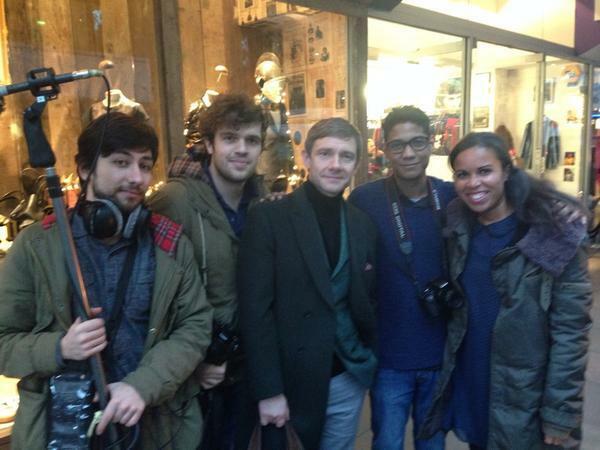 Martin Freeman, this music lover, is filming for new TV show The Music Circle at Soho today! 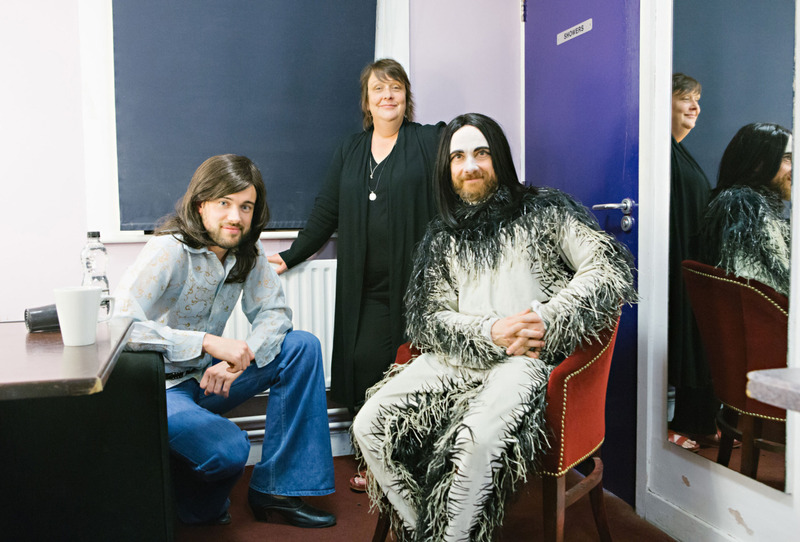 The BBC have today released a selection of promotional pictures for the up and coming sequel to The Life of Rock with Brian Pern. 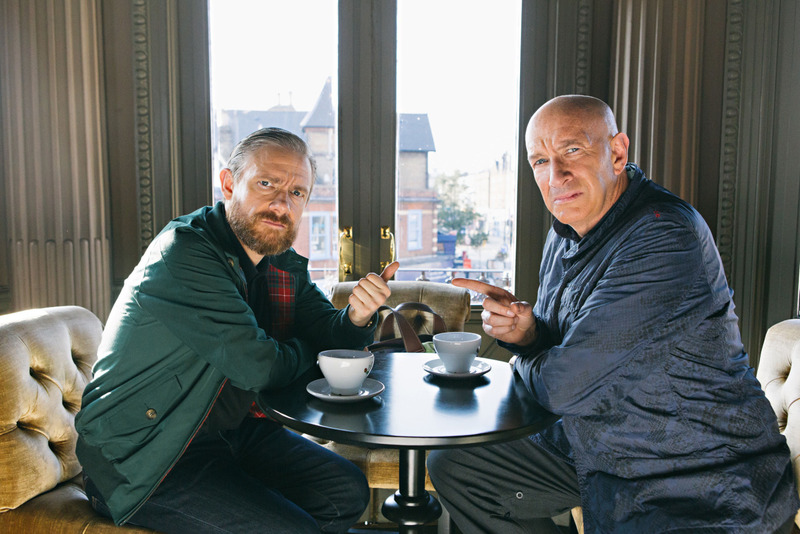 Entitled Brian Pern: A Life In Rock this series follows Brian (Simon Day) as he attempts to create a musical based on his band Thotch and their early success.The first episode guest stars Martin Freeman as himself, who is asked by Brian to play Young Brian Pern in the musical and Jack Whitehall also as “himself” who appears in the musical as Young Tony Pebble. Official BBC synopsis and more promotional pictures below: Comedy actor and award-winning documentary filmmaker Rhys Thomas (Freddie Mercury: The Great Pretender, The Fast Show, Star Stories) and fellow Fast Show comic Simon Day (Grass, Down The Line) combine once again in the rock doc parody. 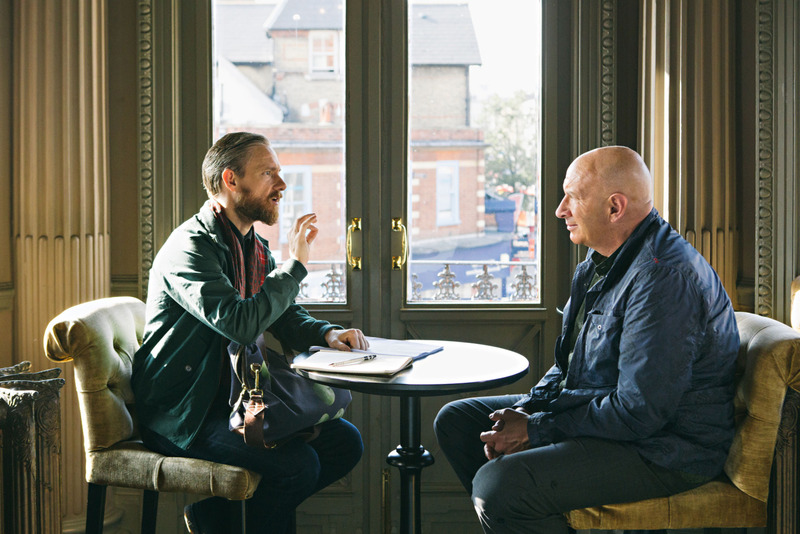 Brian Pern (Day) is an ageing rock star and former front-man of the ground breaking progressive rock group Thotch. 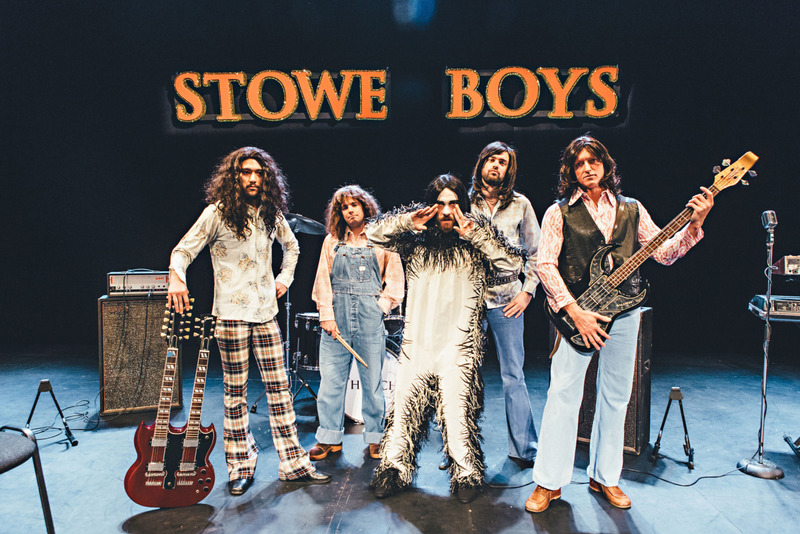 In episode one of this series, he and his band mates reunite to discuss the making of their first ever Jukebox Musical, Stowe Boys. This is not easy as they hate each other. Not only that, on the opening night of the musical, Brian is unexpectedly arrested by Operation Bad Apples Officers for a crime he doesn’t know he has committed. Will he make the second half? Returning for this series are Simon Day, Michael Kitchen, Paul Whitehouse, Nigel Havers and Lucy Montgomery. 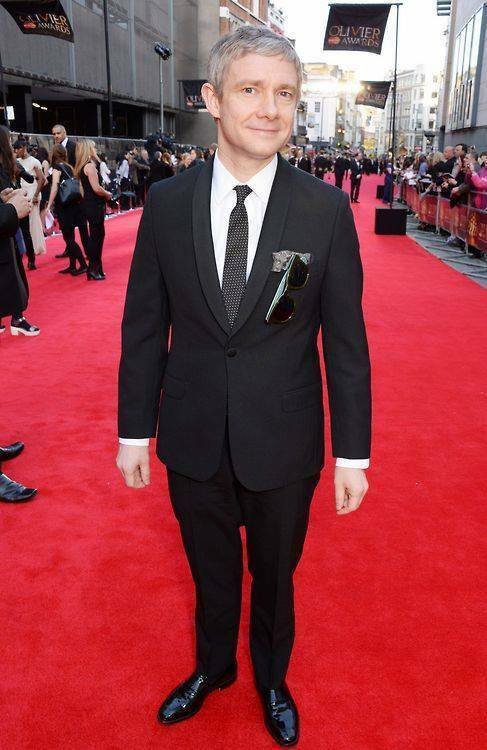 Special guest stars Kathy Burke, Martin Freeman, Alexis Petridis, Jack Whitehall, Alan Yentob, Tony Way, Annie Nightingale, Phil Cornwell, Julia Deakin and Sir Tim Rice. 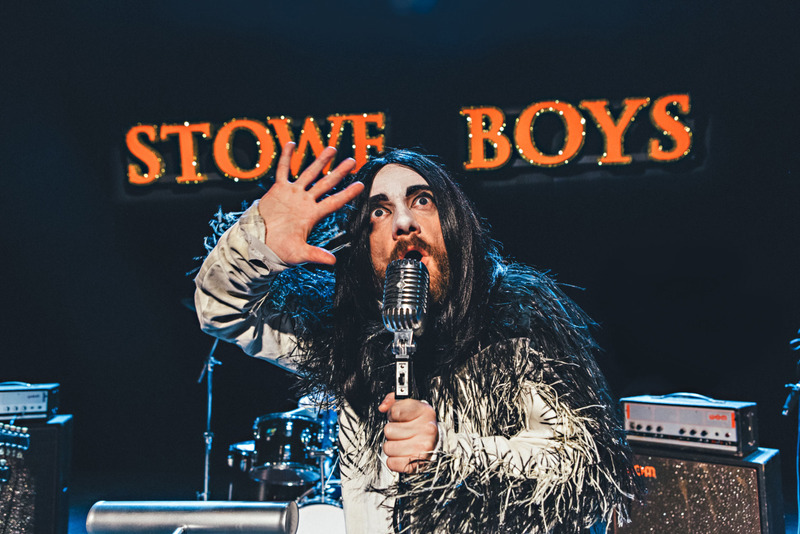 Brian Pern: A Life in Rock is made by BBC Comedy Productions for BBC Two. 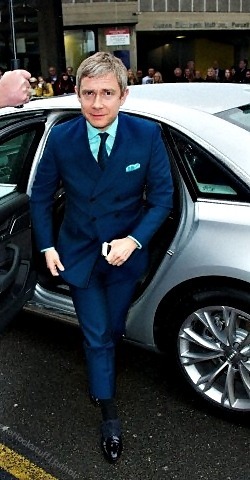 It is directed and produced by Rhys Thomas and the executive producer is Richard Webb. 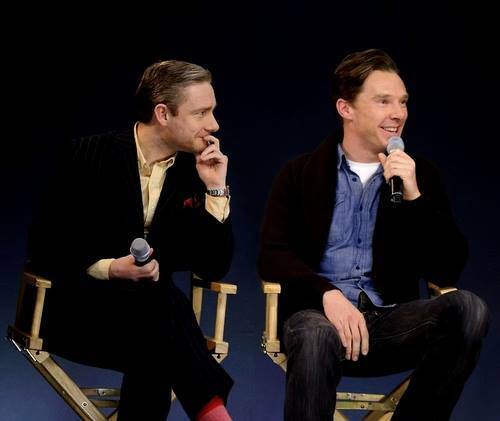 Back in June, Sherlock star Martin Freeman let slip that the next time he and Benedict Cumberbatch would unite to film the detective drama it would be for a Christmas special. 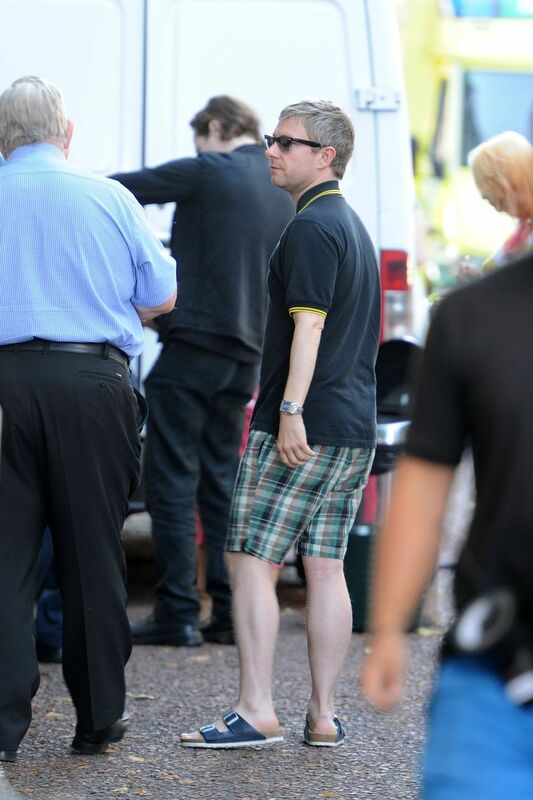 But when the official announcement came that filming on a one-off episode – designed to bridge the gap between series three and four – was to begin in January, it was described simply as "a Special", with no reference to festivities or seasonal scheduling. 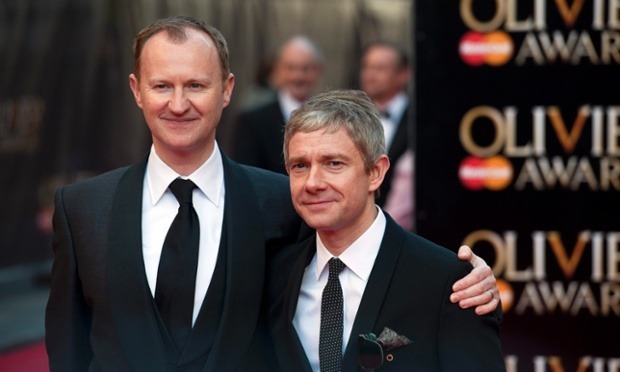 Now, Sherlock co-creator Mark Gatiss has cemented the ambiguity (if that makes any sense), saying that, while pre-production on the episode has already begun – and while the story would work in a Yuletide slot – it's still not clear whether it will be the 2015 Christmas gift fans are wishing for. 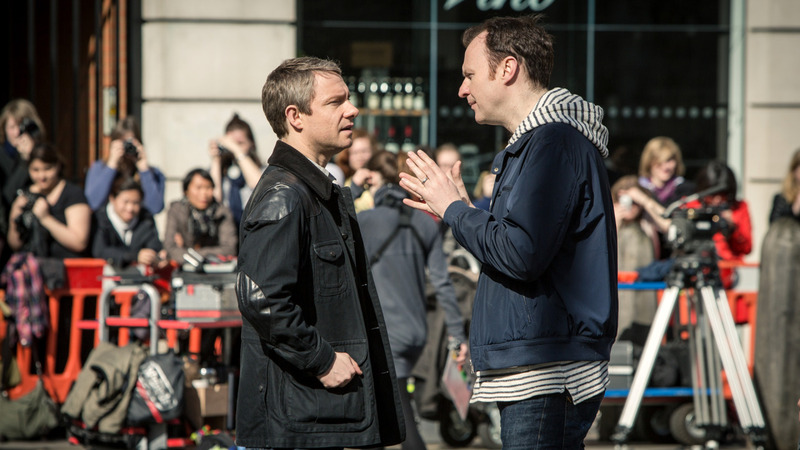 “It will be finished, of course, by the end of spring," Gatiss tells me, "[but] when they show it is entirely down to the schedulers. It would fit as a Christmas special but there’s no guarantee of that – they used to show the Mike Yarwood [Christmas] Show in the summertime.” The good news, according to Gatiss,is that "it’s a very special special, and we’re all tremendously excited about it". 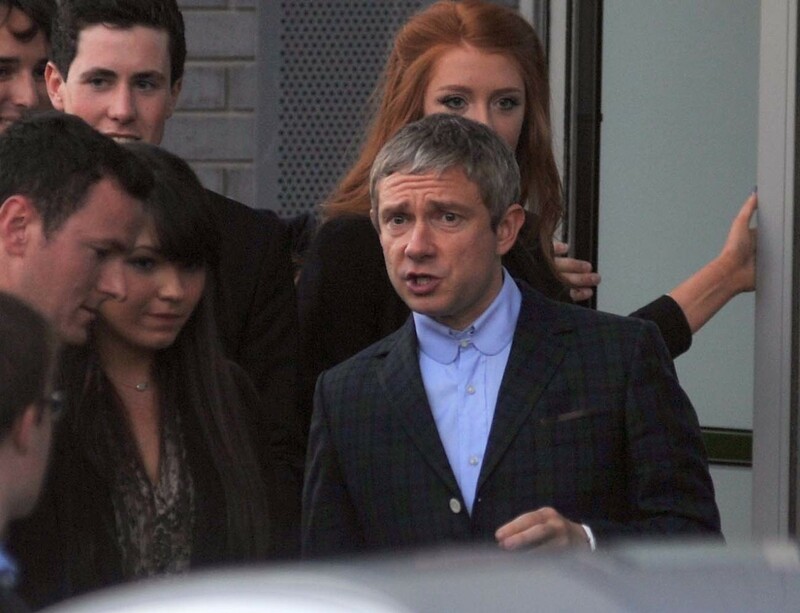 And if that wasn't quite the level of detail you were hoping for, he's quick to point out that, given the now traditional gathering of fans at Sherlock filming locations, more information is likely to become available for those who want it in the not-too-distant future. 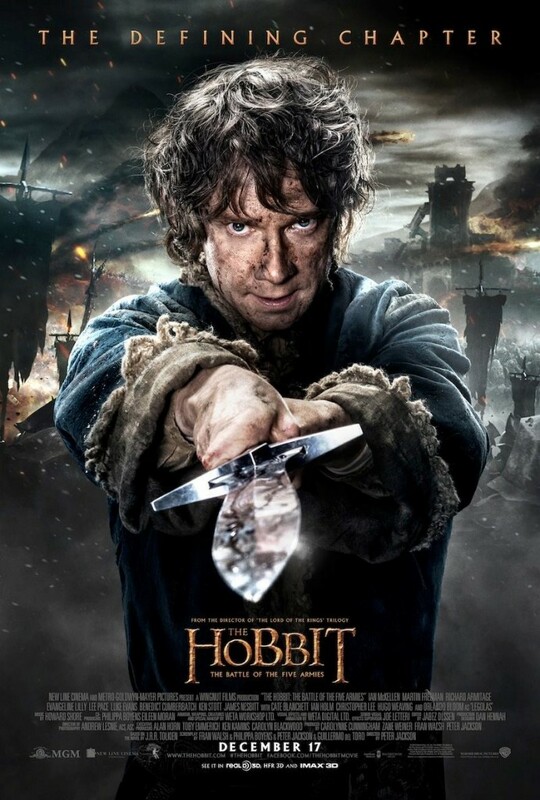 The posters of this third installment of The Hobbit fly, and here are two of the eight of them on our Bilbo Baggins (Martin Freeman). To recap, The Hobbit: The battle of five armies, its original title, will be in theaters December 10, 2014 in France, and will subsequently end and two other first parties. 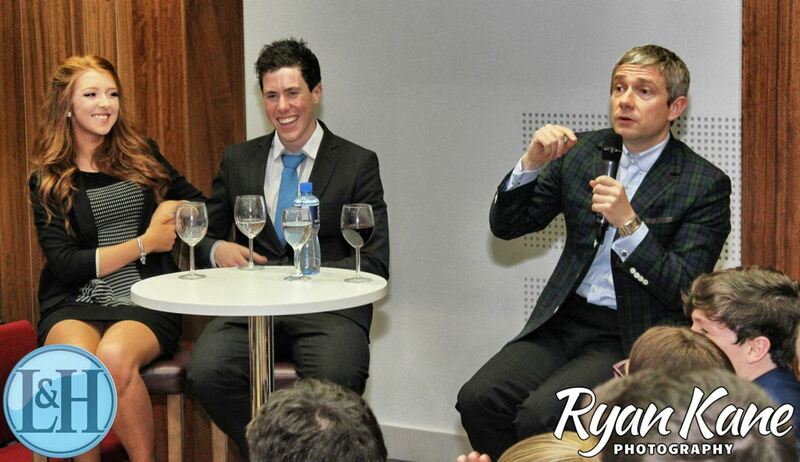 Ravages of Smaug, war and return of Sauron will be on the agenda! New trailer, new video, new poster ! 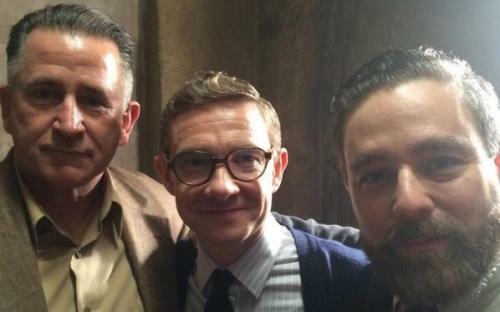 Here is a picture of Martin in the company of Anthony LaPaglia and Andy Newman on the set of The Eichmann reminder: Martin Freeman signed with the BBC for a TV movie about the trial of Adolf Eichmann, Nazi war criminal. 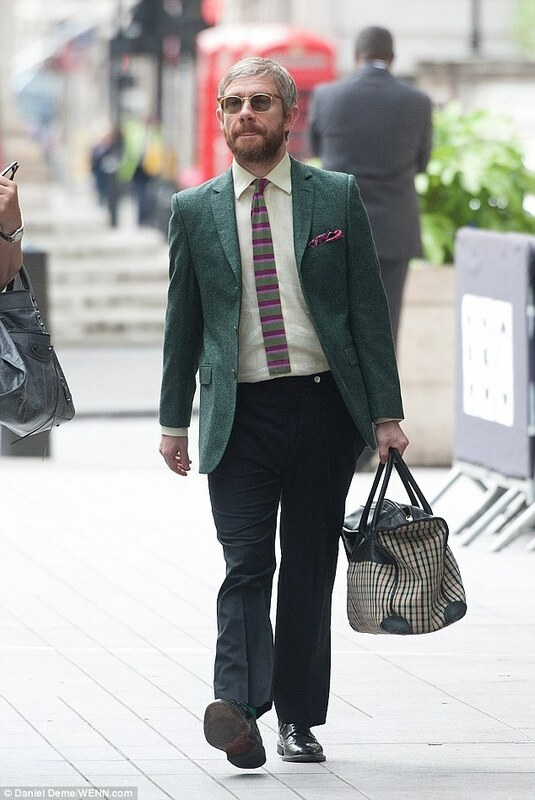 According to Radio Times, he dons the costume of Milton Fruchtman, television producer responsible for todays famous trial. 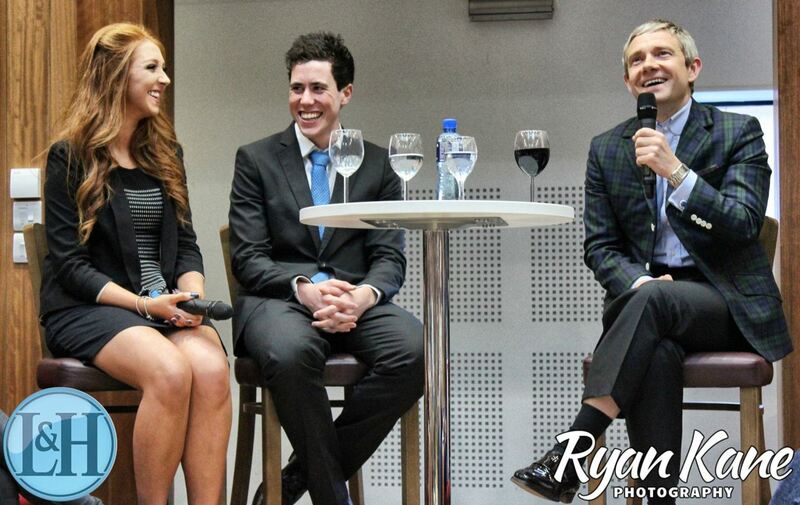 Thank you to Anthony LaPaglia for these photos! 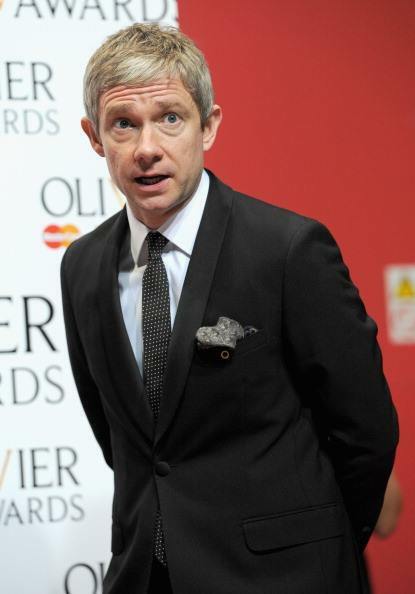 Martin Freeman has admitted playing Richard III was so gruelling at the age of 43 that he has no idea how older actors find the energy for Shakespeare. 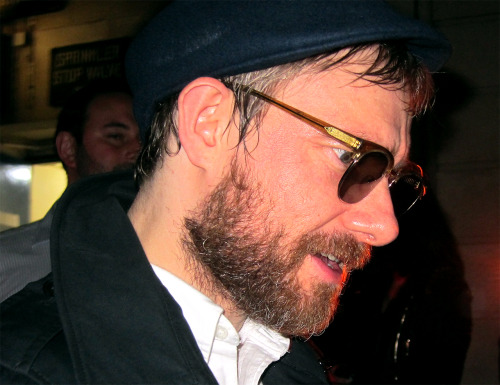 Freeman took on his first Shakespearean role in the production at London's Trafalgar Studios. 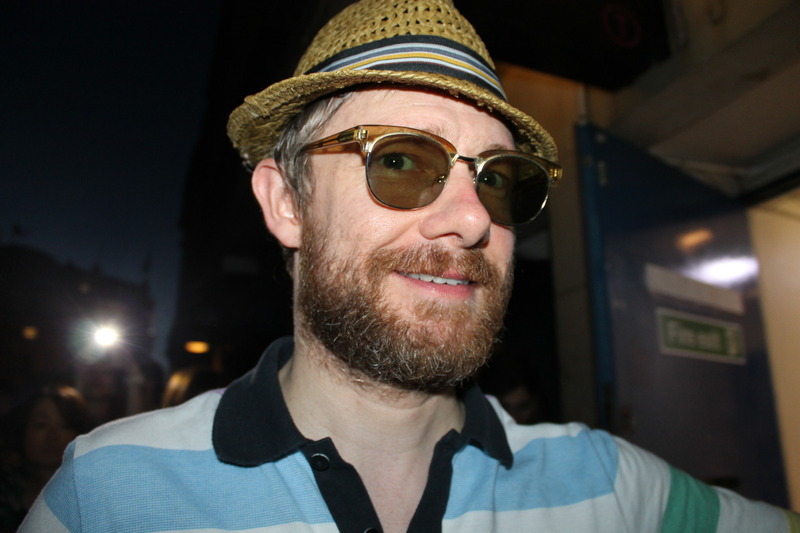 Its limited three-month run ends next week, and Freeman said he was in awe of actors who play such parts in their 60s and 70s. 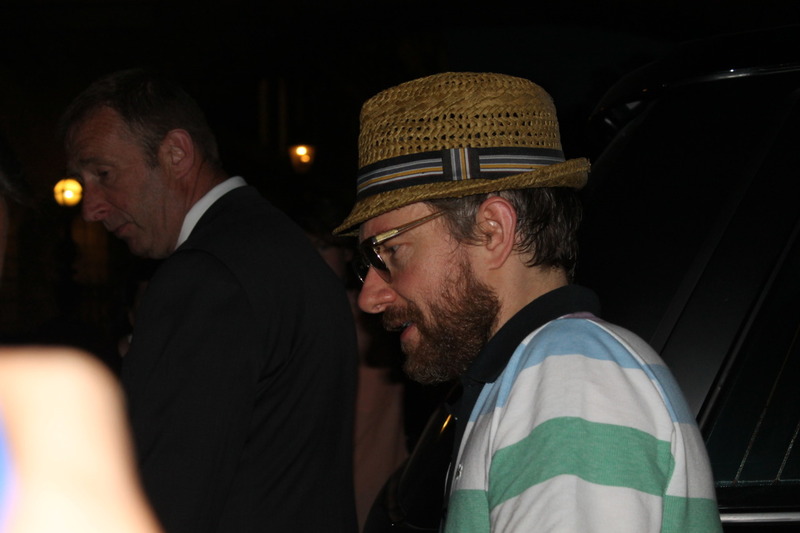 He cited 75-year-old Sir Ian McKellen, whose many Shakespearean roles include playing King Lear in 2007. 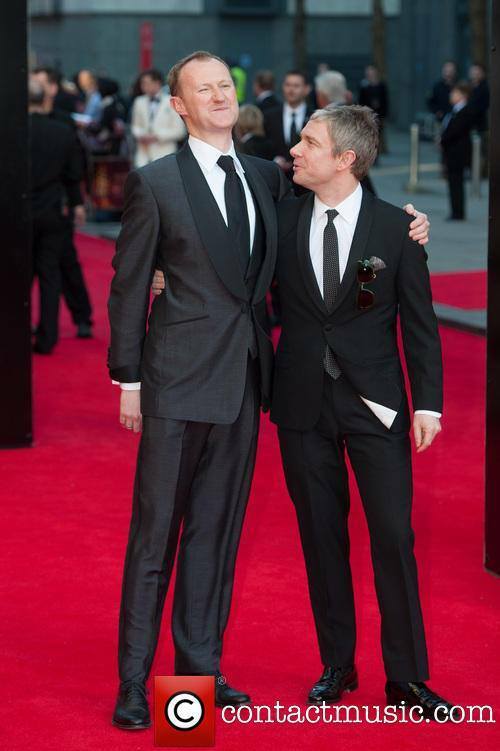 Asked if he would like to revisit the role of Richard III when he was older, Freeman replied: "I honestly don't think that I could. Since I've been doing this I've been thinking about people like Ian McKellen who do Shakespearean roles when they're a lot older and I have no idea how they do it. "I don't know if it's to do with being a dad and having stuff to do in the day then doing this in the evening, but I can't see myself doing this in 20 years. It's doing me in now." He added: "We are all knackered. I'm quite glad it's not going on for another three months, I have to be honest. 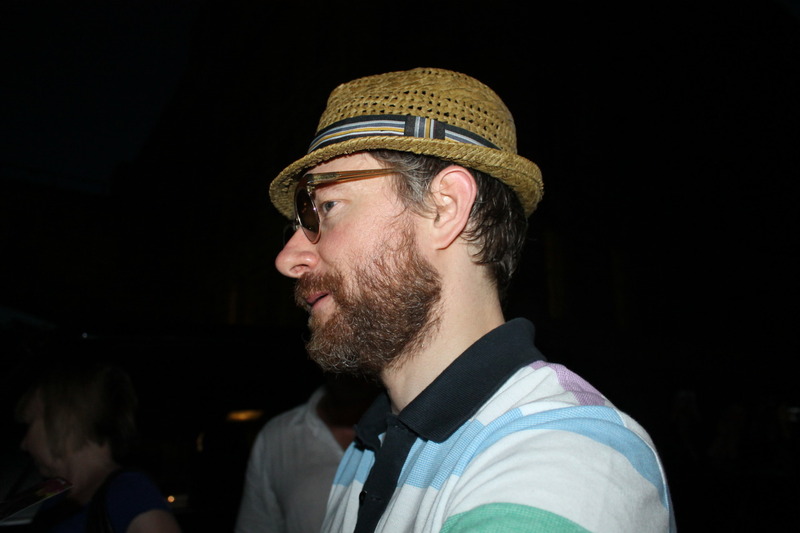 It's an enjoyable play to do and I loved doing it but this doesn't feel like a short run." 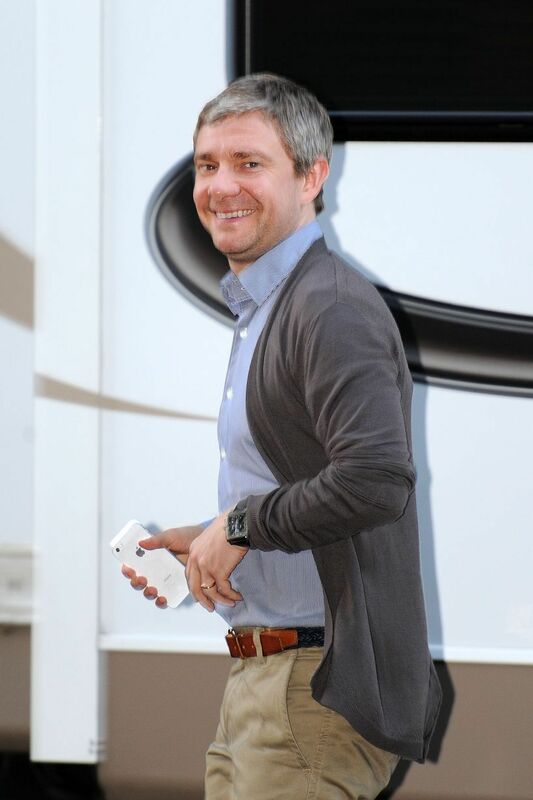 Freeman made his name as a television actor in The Office, Sherlock and the recent drama Fargo, and starred in Hollywood's version of The Hobbit. 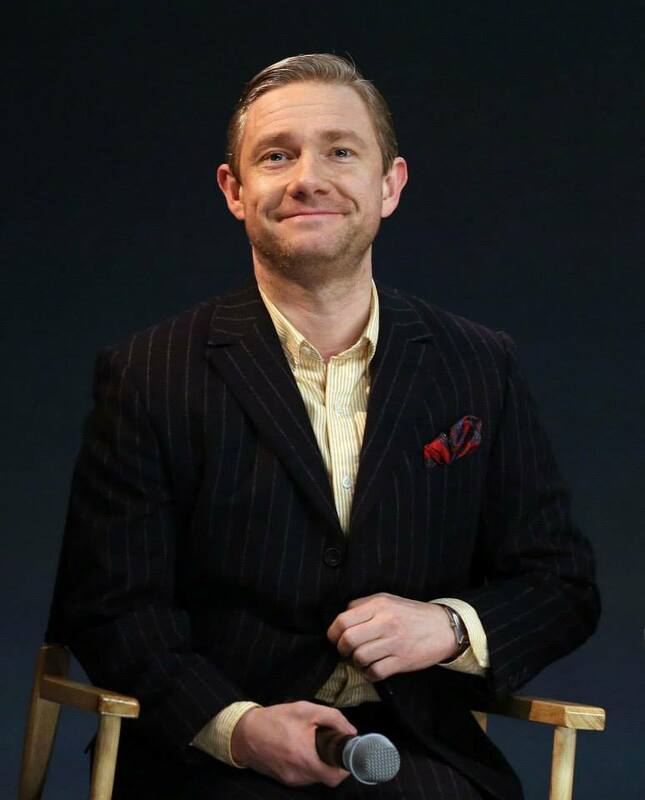 There were reports that female Sherlock fans had disrupted performances by clapping and cheering every time Freeman set foot on stage, but he laughed them off and said younger audience members had behaved in "exemplary" fashion. "I would love to be clapped every time I came out but, alas, no," he joked. 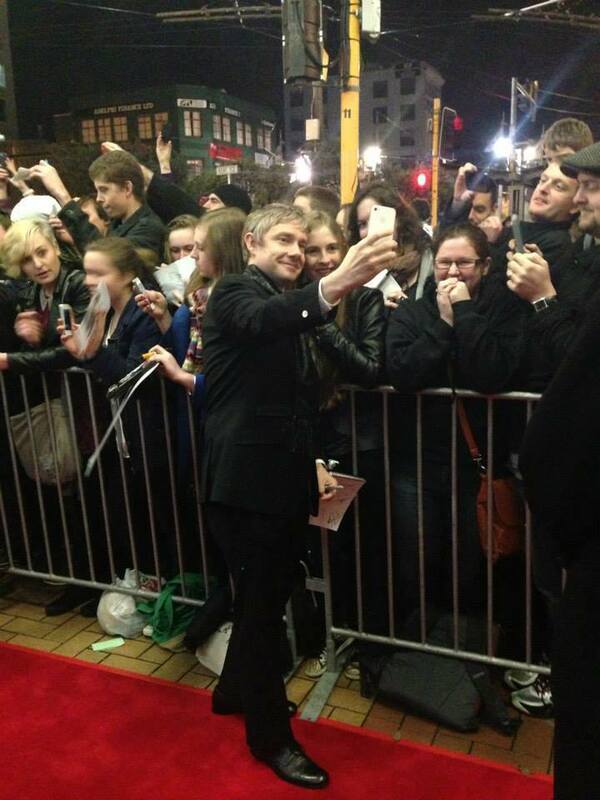 "At the first preview on my first exit there was a smattering of applause from about 15 people and that was it. From that grew this idea that it was like the Fonz coming on, which frankly wasn't true. 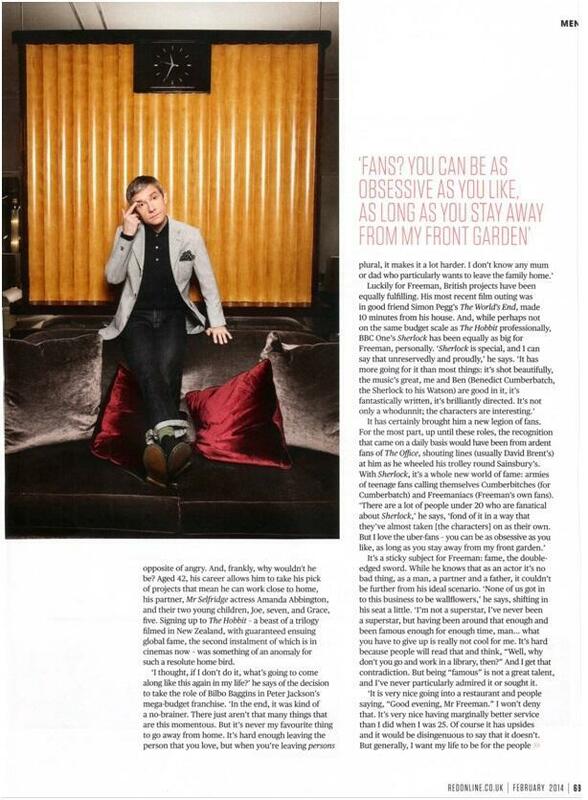 "I think people put two and two together - the fact there are a lot of female fans knocking around, so if they're in the audience they must be clapping. 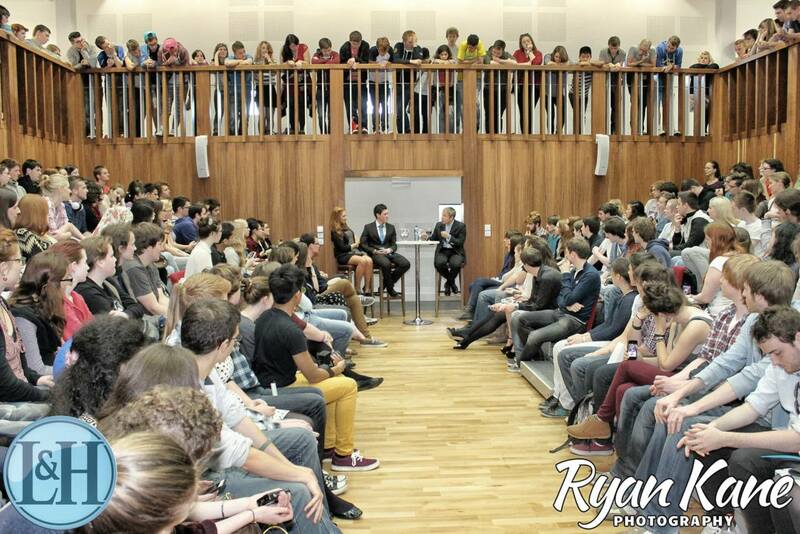 "There were a lot of first-time kids who came here and people maybe assumed that they would behave in a certain way but I have to say with very few exceptions, the under-25s who have been in have been exemplary," he said. "Yes, there has been the odd phone going off but that's as much a 56-year-old as a 25-year-old." The production ran into controversy when the animal rights group Peta accused it of cruelty to goldfish during a scene where the Duke of Clarence is violently drowned in a fish tank. 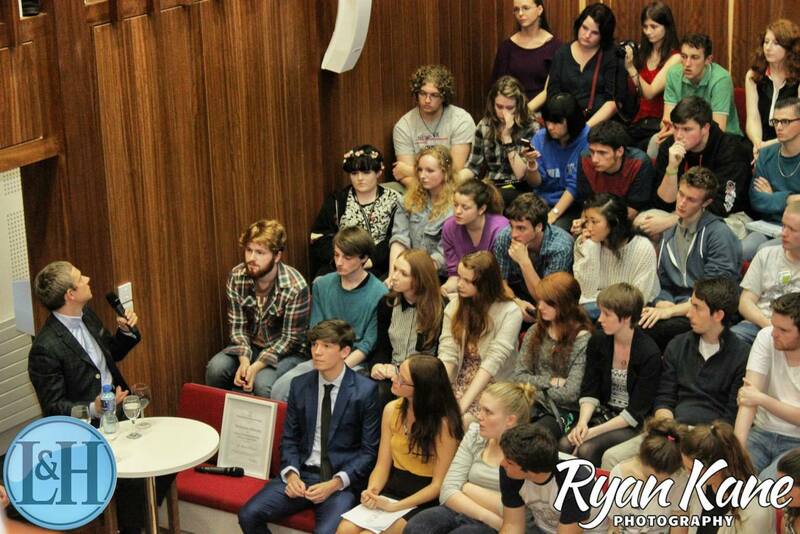 Speaking at a cast event, the show's vegan director, Jamie Lloyd, insisted they were not "goldfish murderers". The fish are now alive and well and happily residing backstage, Lloyd said. 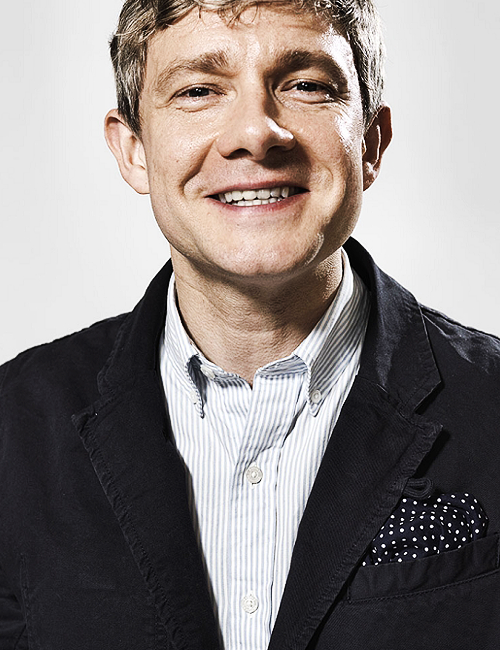 Today we wish a very very happy birthday to Martin, 43 today, may that day be even more wonderful than the rest, while still full of joy this year. 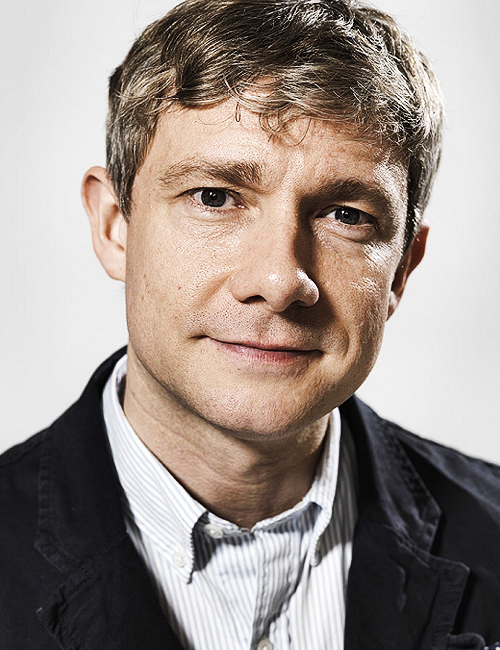 Very soon, this is the anniversary of Martin, and the project birthday has not really taken shape, I appeal to you, his fans to leave a little note, even without image, or whatever, for tell him a happy birthday, it only takes 5 minutes or less, and requires only a few clicks. Join us ! 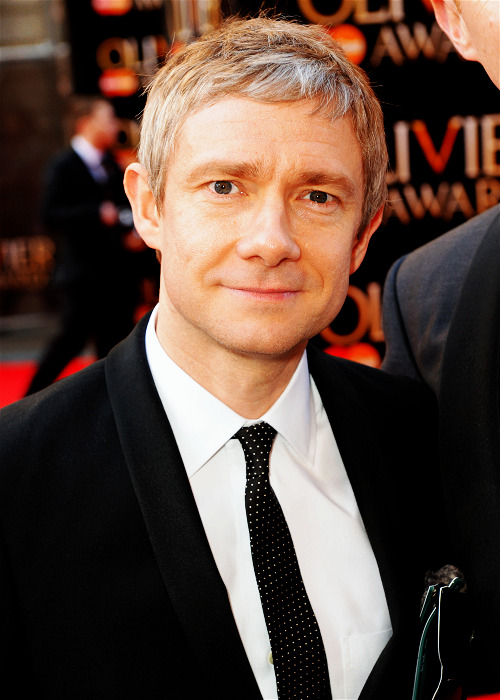 Martin Freeman won the award for best supporting role in Sherlock, where he played John Watson. 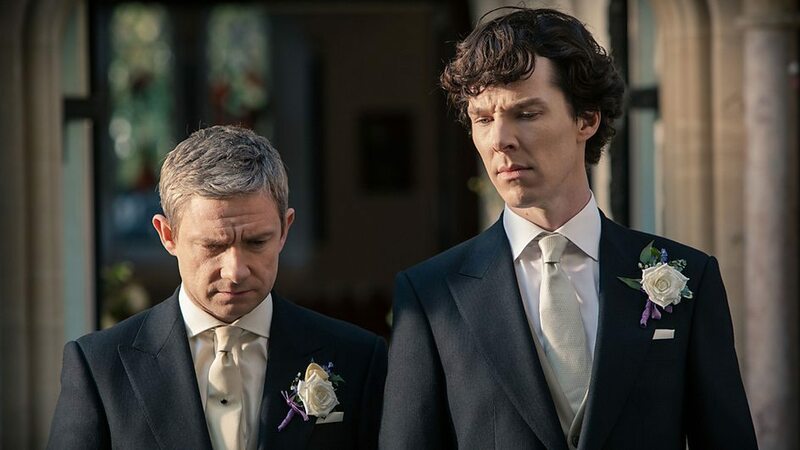 However, it was unfortunately not defeated Benedict Cumberbatch in Sherlock large, in the category best first series role with its role as Lester Nyagaard. 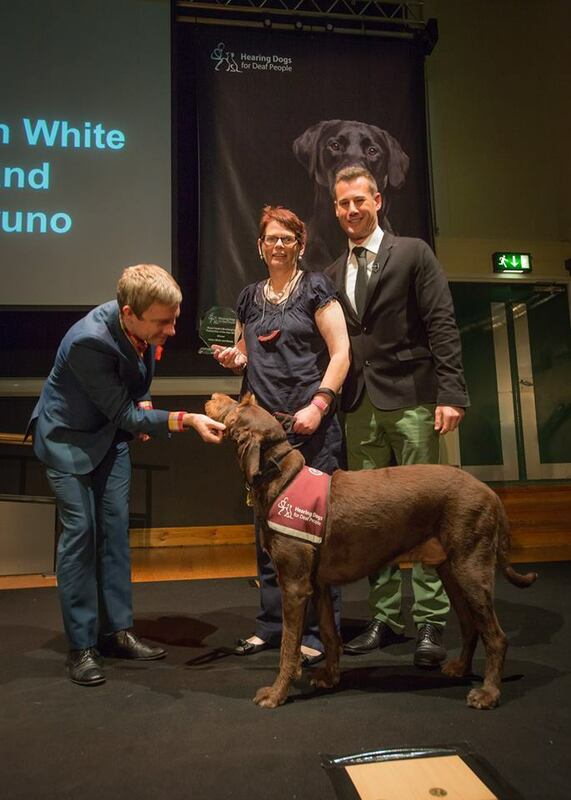 The Fargo series has also got his moment of glory in the OUTSTANDING MINISERIES. 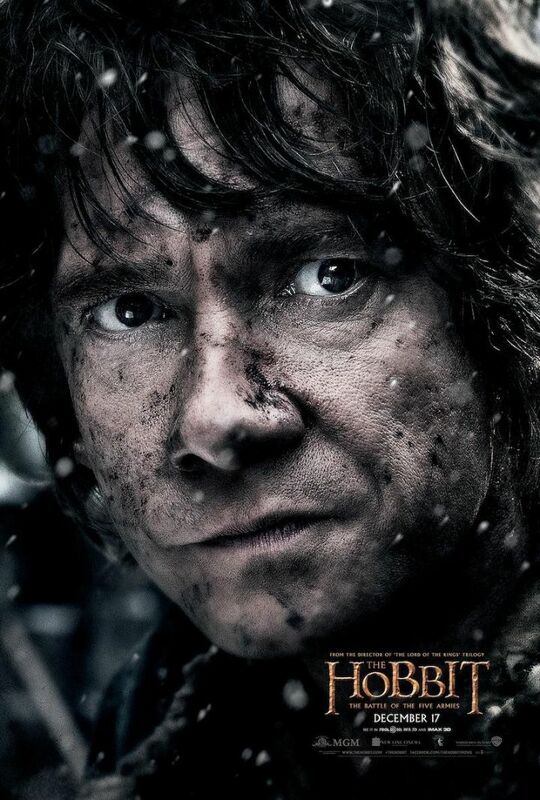 A new poster this time centered on the character of Bilbo made ​​his arrival, and the new trailer, good viewing ! 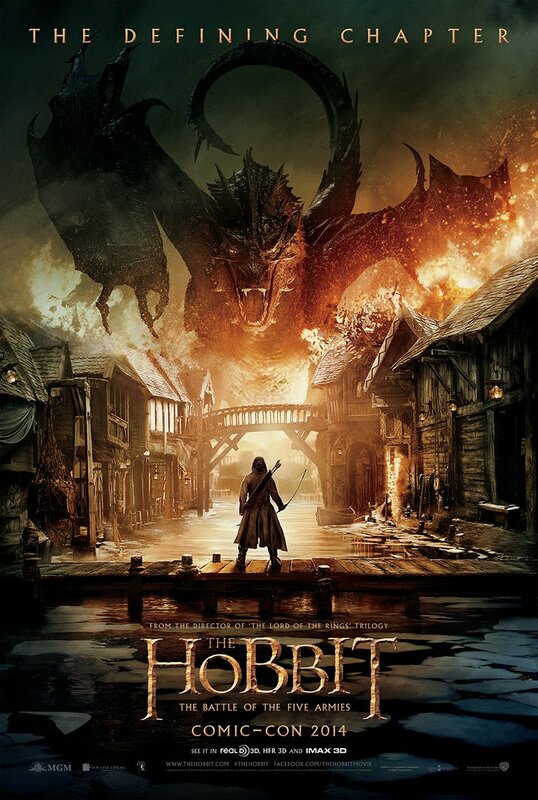 Here is the first poster for the third installment of the trilogy of The Hobbit. The wrath of the dragon is clearly shown, and promises a final flamboyant. A teaser should soon arrive during the end of Comic Con 2014 is going to San Diego. Sunday, July 20, Monty Python, already in their seventies, made ​​their last performance on stage at the O2 Arena in London. 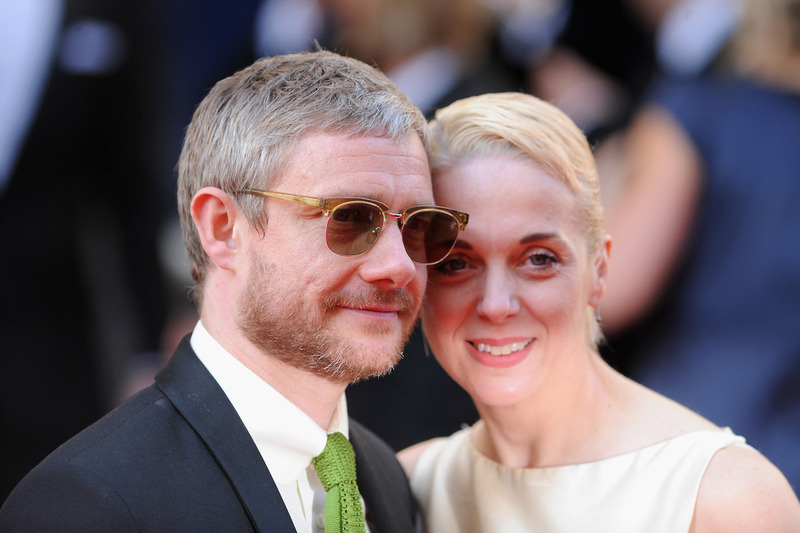 Martin Freeman was present with the beautiful Amanda Abbington. 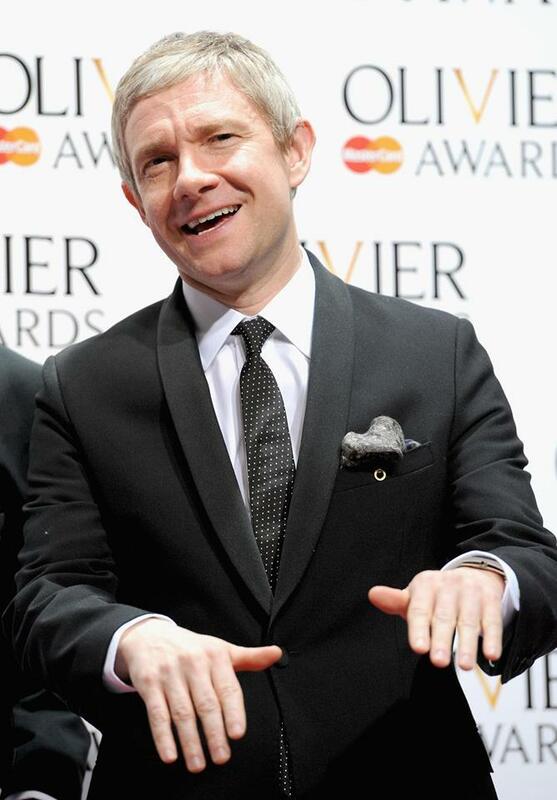 Martin Freeman was personally nominated in two categories this year : Meilleur Acteur Principal de Mini Série ou Film for his Lester Nygaard role in Fargo et Best supporting actor John Watson in Sherlock. Suffice to say that competition is likely to be tight when you see competitors such as Benedict Cumberbatch and Billy Bob Thornton! 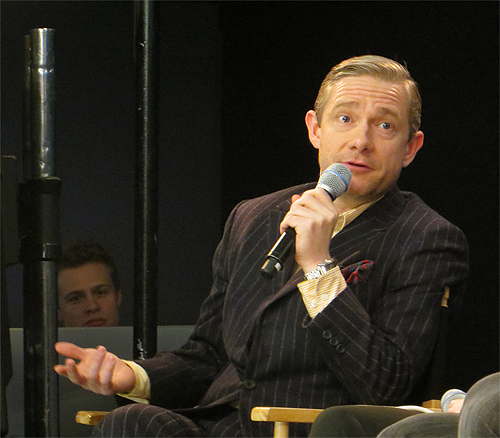 In addition, the Fargo series and Sherlock have themselves their own appointment. 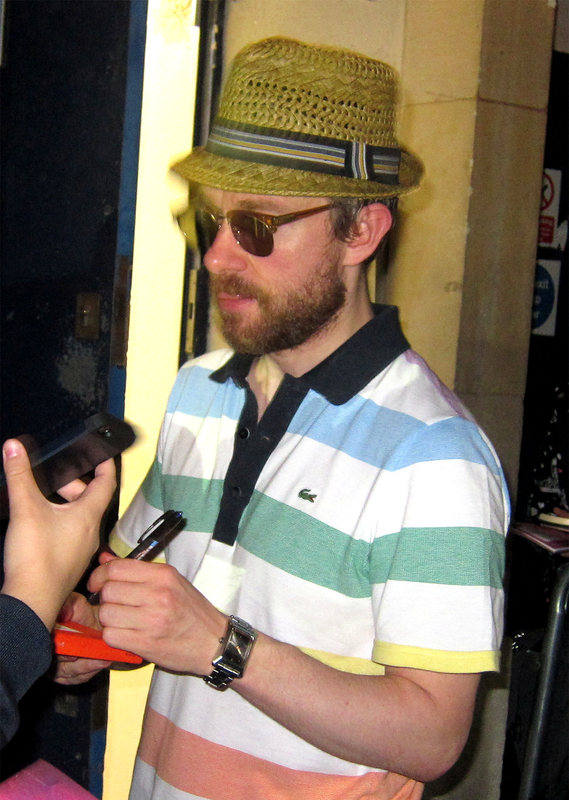 Martin in a small book signing before Henry II. 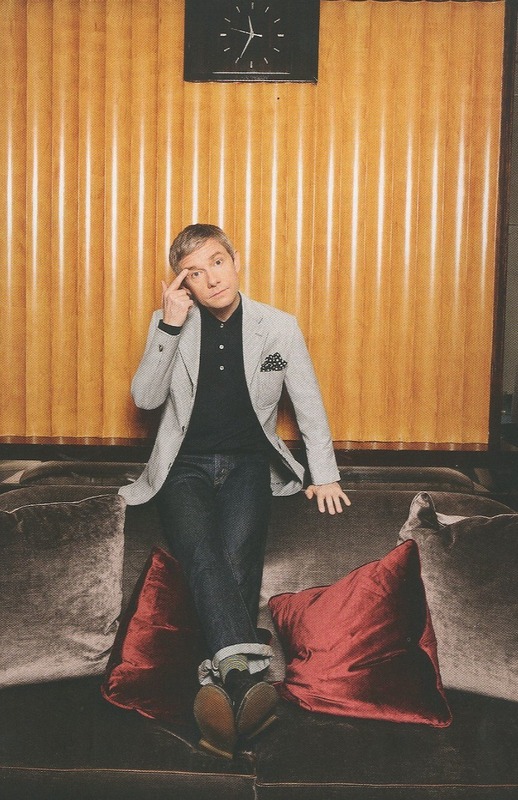 Martin Freeman, aka John Watson, told the Telegraph that the Sherlock series, the BBC would be back, but not until a year and a half. As the season 3 ended last spring, fans will have to take their troubles patiently. Once again, the seasons are spaced two years. 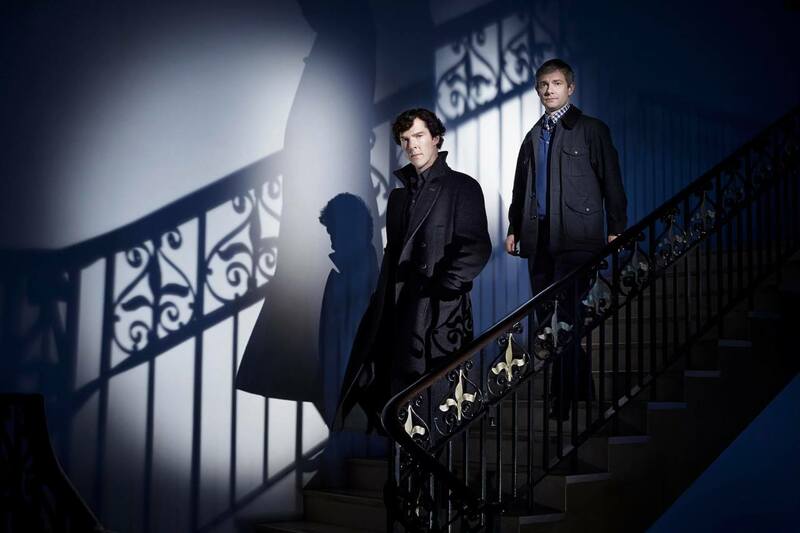 The two investigators would return late 2015 with a Christmas special episode, before moving on to new episodes early 2016: "A shooting in early 2015 seems pretty likely. (...) If we actually returns with a special episode, it will be a Christmas special next year. That's what I understand. "Said Freeman. 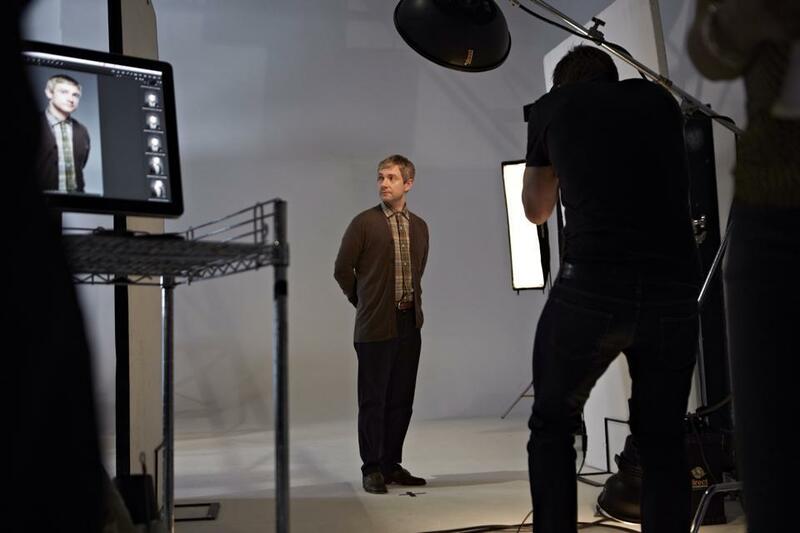 If fans will have to wait a while before seeing their favorite detective return, they can be reassured. 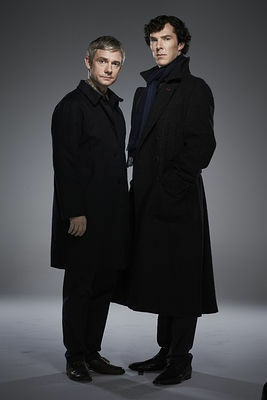 The series is not expected to stop anytime soon, as explained by Steven Moffat, creator of the fiction, the Guardian: "If we had chosen to follow the classic form of a television series, which consists of six or twelve episodes, all this would be done today, no doubt. The series would be over because the actors could never commit to that time, regularly. 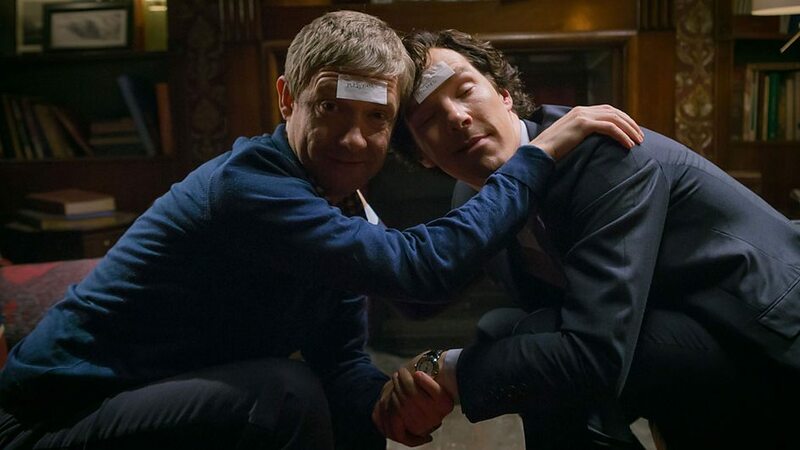 But with the strange format Sherlock, ie every two and a half years we get together and we made ​​three episodes, it may take much longer. " 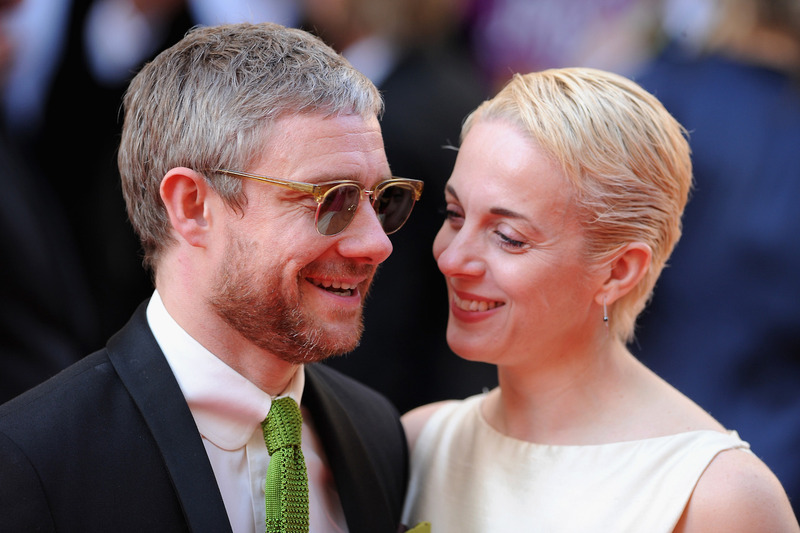 Stated Martin Freeman, Amanda Abbington, his wife in life but also in the series since season 3, should be present in the fourth salvo of Sherlock. But it could suffer the same fate as in the adventures of Arthur Conan Doyle and die prematurely. 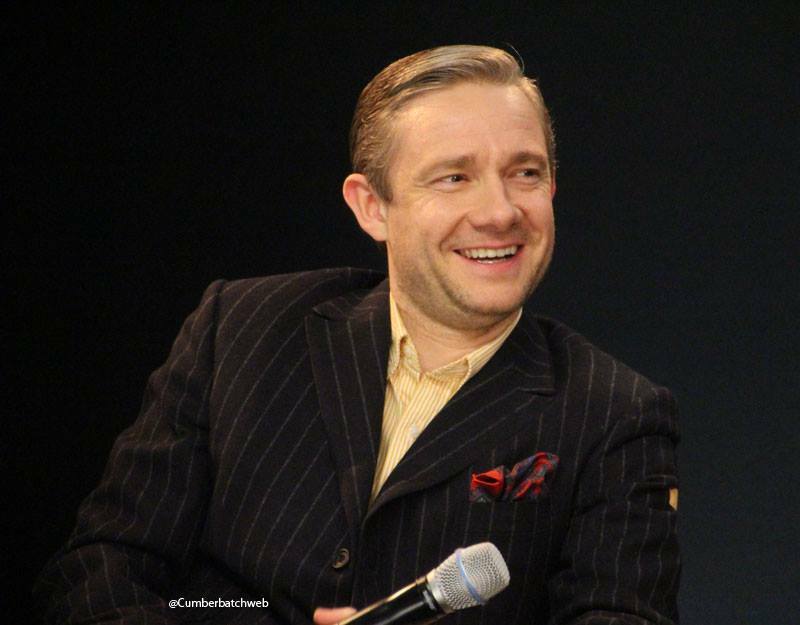 Martin was left went to a spoiler: "Although we play with the original stories, we generally follow the path of what Conan Doyle wrote Then he [Watson] marries, then Mary dies - so at some point. 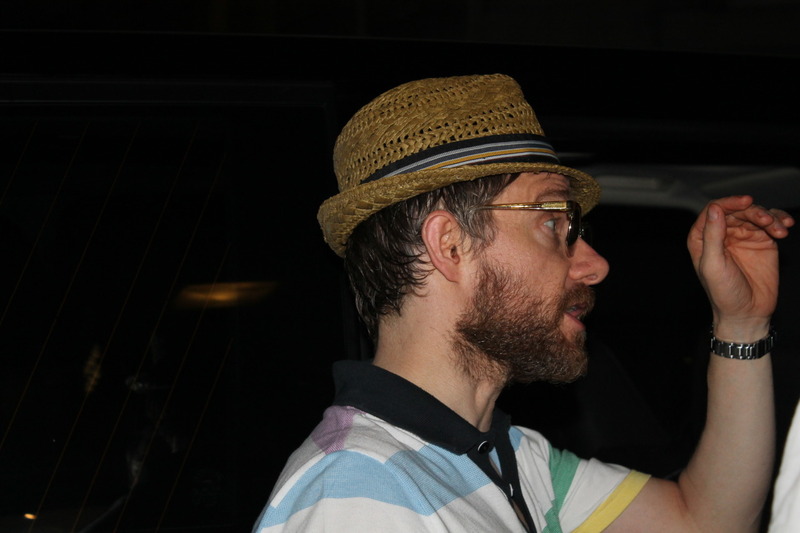 she will probably die "
Here are a few pictures of Martin and his new look. 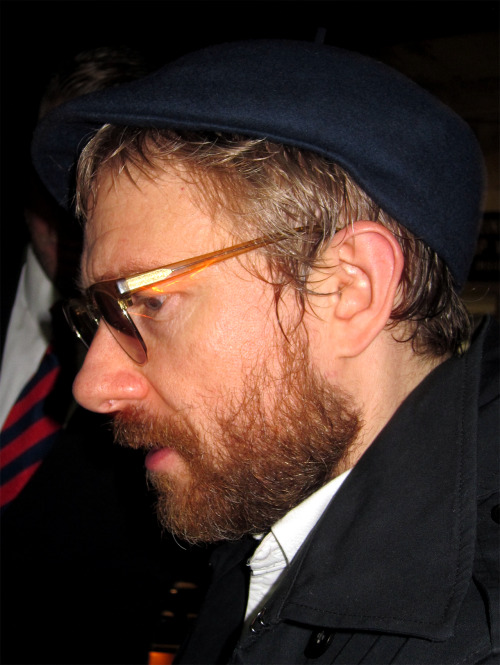 This week, Martin Freeman takes the stage in London as a leader in the production of Trafalgar transform Shakespeare's Richard III, a role he says is full of violence and humor. "I think it's a very spiritual game. This is a very funny game as well as it is tragic, and some of it is horrible and some of it is really quite violent and horrible. Ago certainly a lot of humor in it. "The play of Jamie Lloyd attempts to trace Richard claw his way to political power; a plane filled with deception and betrayal. 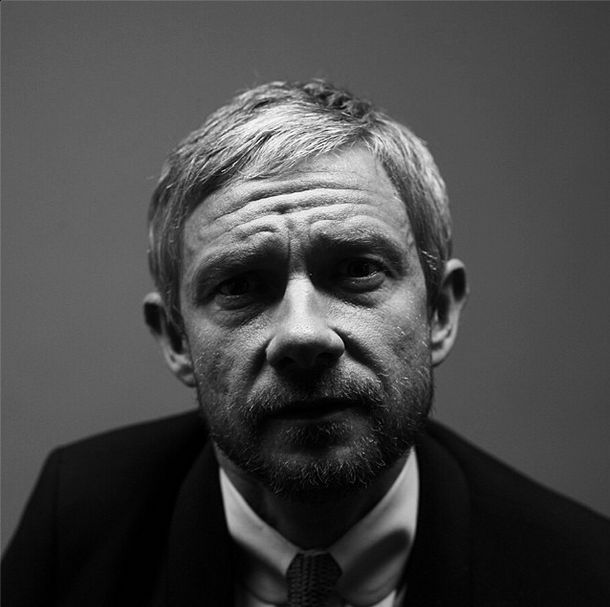 Freeman, who is seen sporting a rugged beard in this brand new video casting admits that behind the bravado of his character are deep insecurities. "When you first see Richard he has great confidence that is fueled by insecurity and fueled by deep insecurity about the way he looks because he has a bump and a leg and an arm fishy fishy. "He was never one for the ladies. Nobody ever thought of him as a player in any form." It's just after the Civil War, and Richard Freeman says "assumes that the world is for the sound and all he has to do is to convince everyone in the world the same thing." Gina McKee (Notting Hill, our northern friends, Di & Viv & Rose) plays Queen Elizabeth, while Mark Meadows joins the cast as Clarence / mayor. Meadows said, "There is a real sense of something terrible will happen at any time." 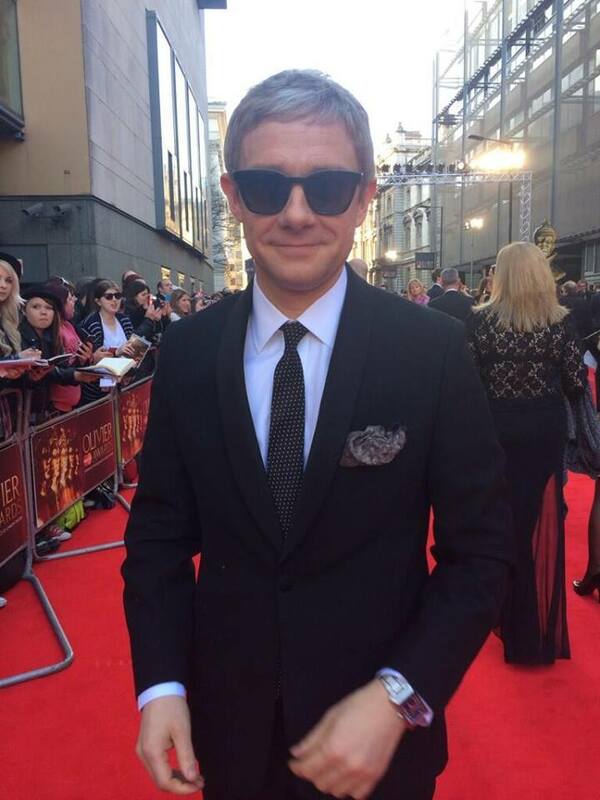 Martin was at the BAFTA 2014 May 18, 2014, with his dear companion. New look neglected beard "slightly" apparent and atypical tie. 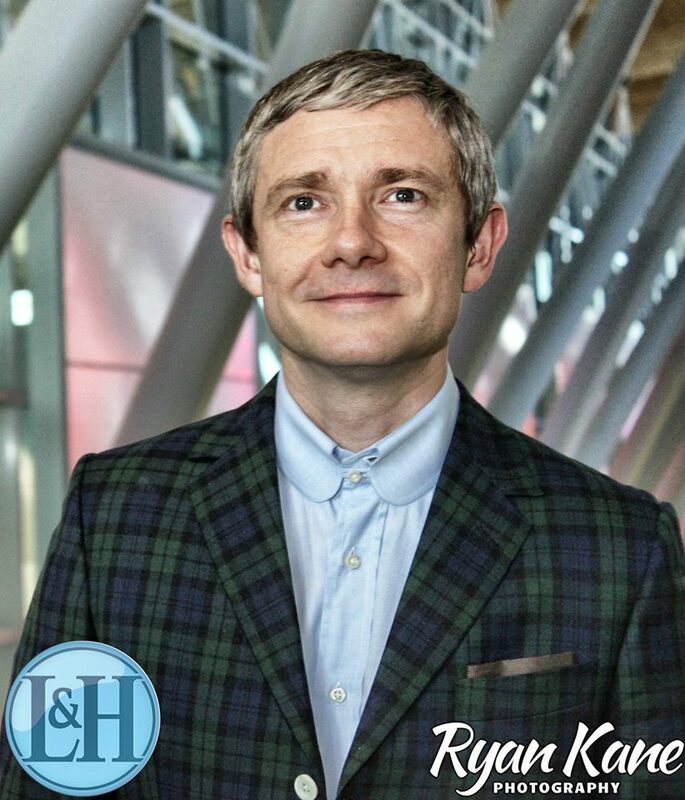 Information resulting in another, Martin Freeman is on a new project, a film called Hangman America, which will be directed by Wilson Coneybeare. 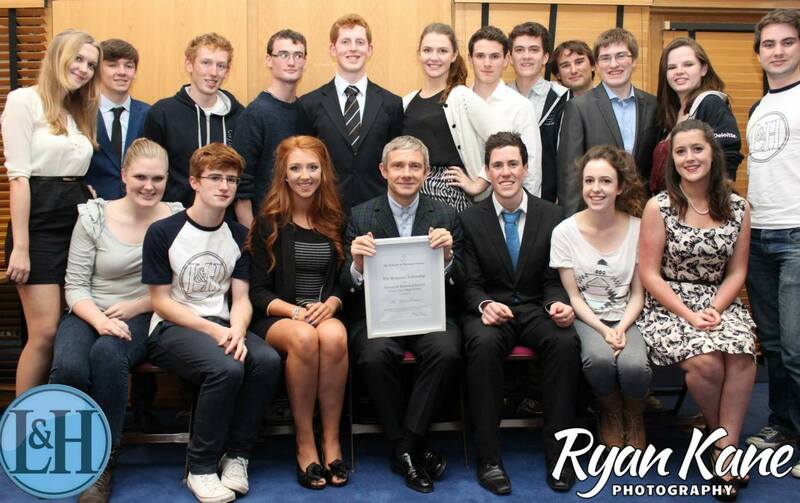 Filming will begin in September 2014. 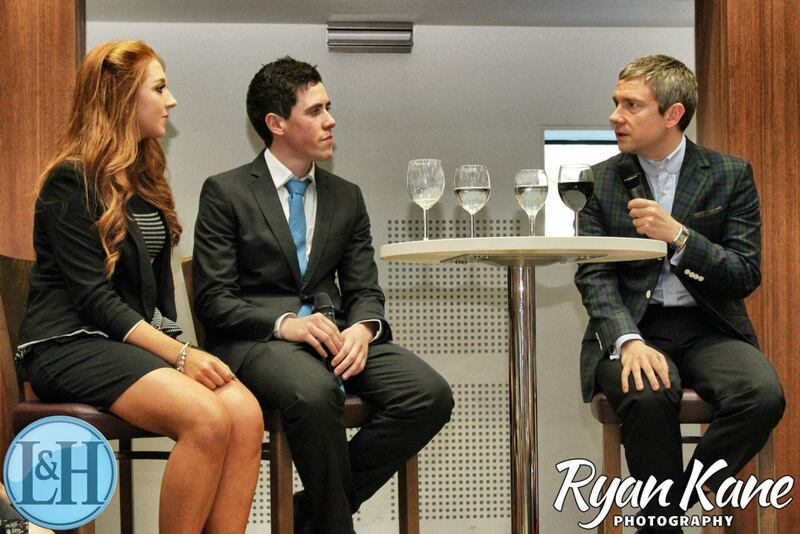 Alongside Martin, will meet Brian Cox. 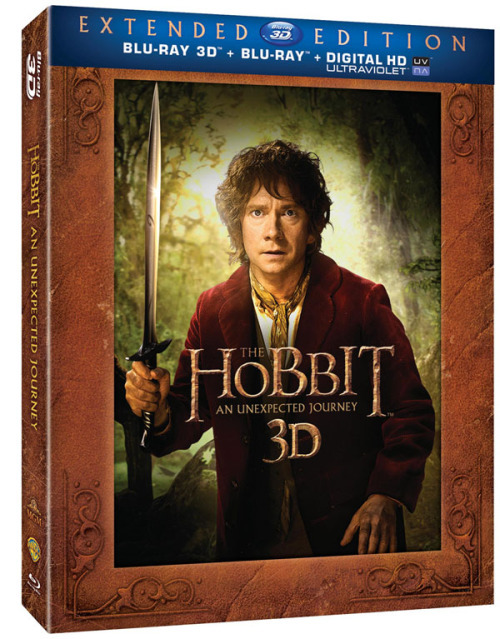 N'oubliez pas que ce mercredi, le Hobbit la désolation de Smaug sort enfin en DVD et Blueray ! 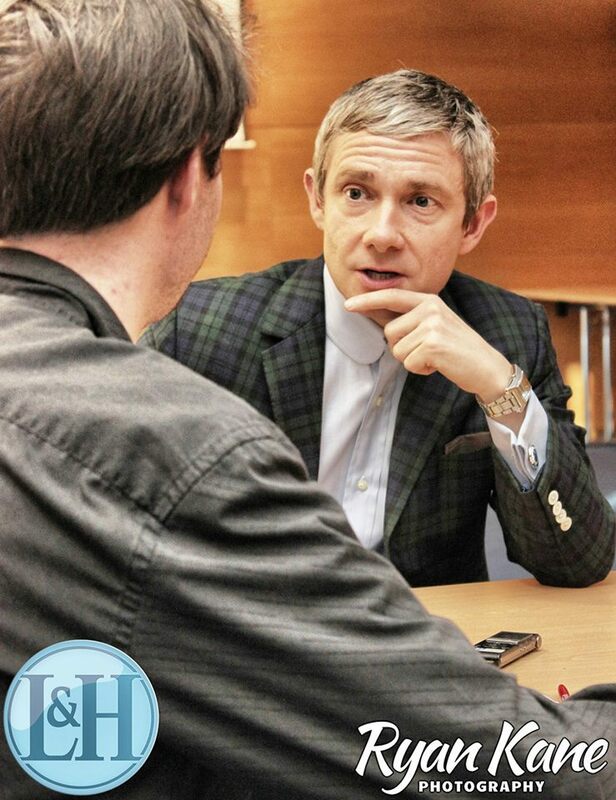 Martin Freeman talks with Jill Belland City of Calgary about his role in Fargo. The show starts on April 15 FXX. 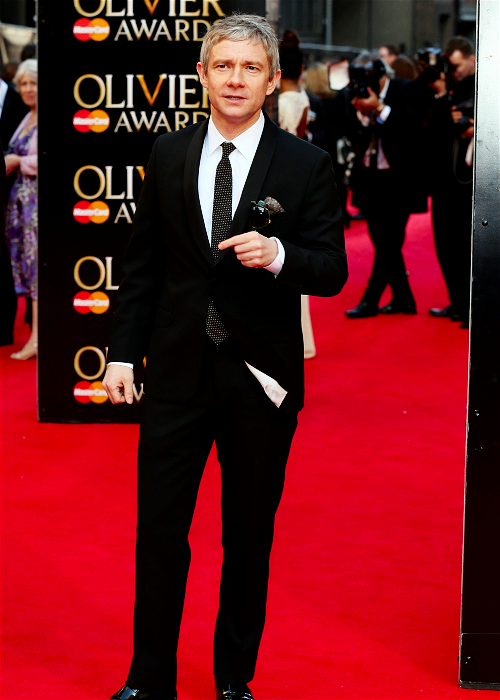 Ce 13 avril, Martin Freeman était au Olivier Awards, présentés par Gemma Arterton etStephen Mangan. Il n'a rien gagné, cependant, voici quelques images. 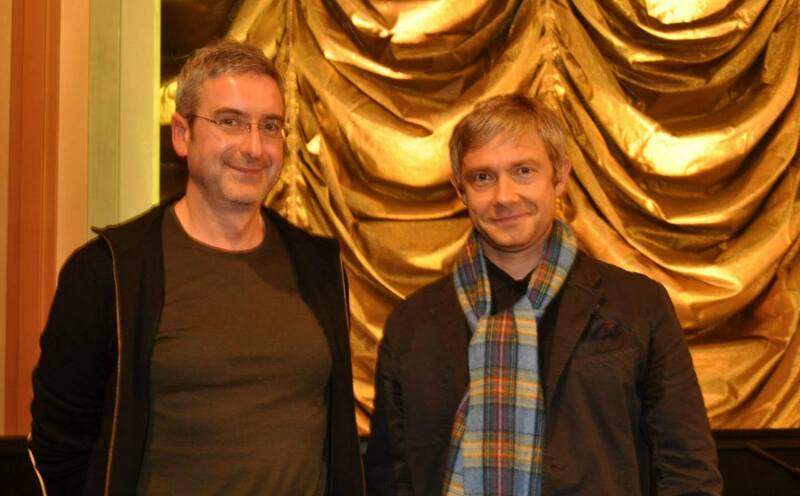 The channel France 4 gave us Thursday, April 3 Sherlock evening in honor of the series. 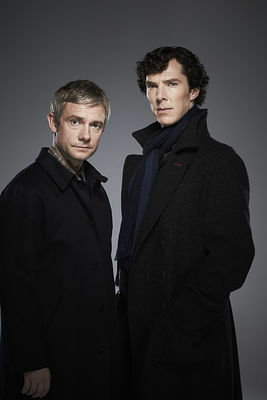 Following the first episode of Season 3 were aired two broadcasts on the universe of the series, the first a little more based on it, the secont referring mainly work Conan Doyle. Here is a video I recorded myself from my TV for those who missed the event. 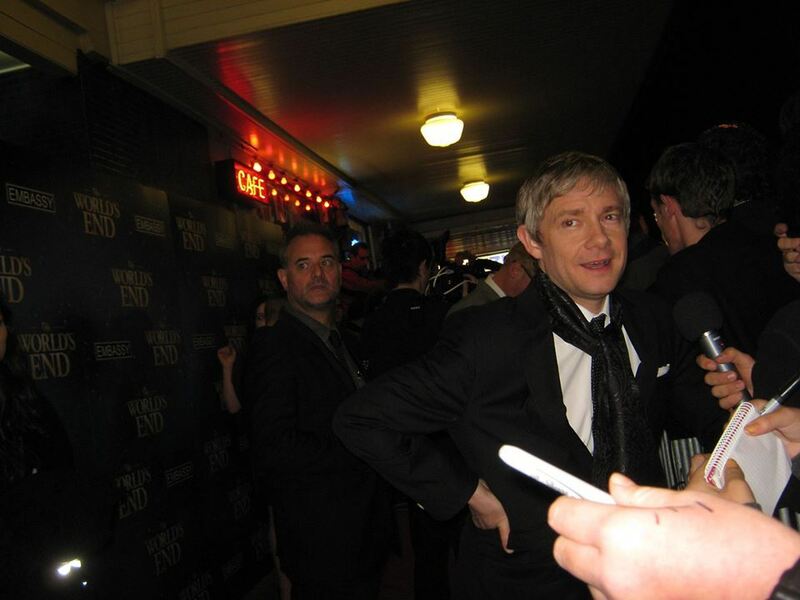 Martin , he was not at the ceremony. 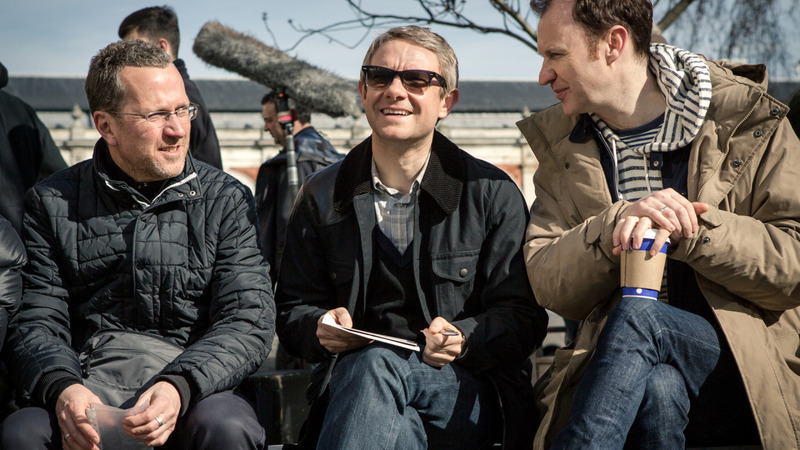 This Thursday, April 3, do not miss the first episode of season 3 of Sherlock will be first released in France on France 4 at 20:35, with a documentary after plunging us behind the scenes of the series. 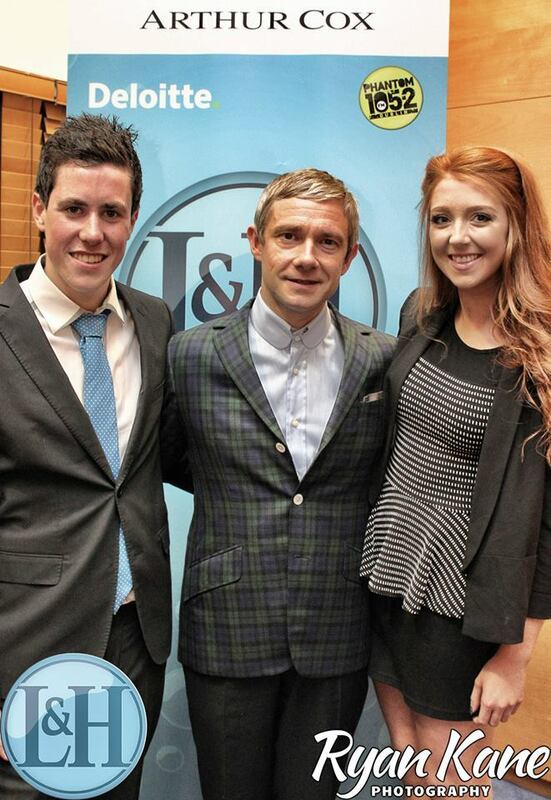 An evening dedicated to one of the largest series british! The other two episodes of the season will follow in the coming weeks with even more surprises for those who have not had the chance to see yet. 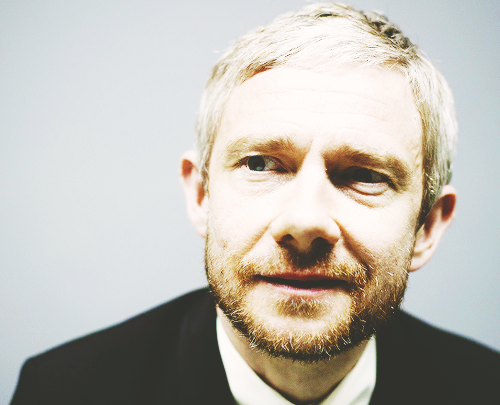 Martin Freeman act Lester Nygaard, 1996. Dominated by his wife "one who has seen better days in the television series created by FX, based on the Coen brothers insurance agent", his life is changed forever when a mysterious stranger arrives in town. "William H. Macy played the role in the film, which earned him an Oscar nomination. mysterious stranger named Lorne Malvo, and will be played by Billy Bob Thornton. Malvo described by FX as a manipulative man without roots encounter a small town insurance salesman and puts it on the path of destruction. The mini-series of 10 episodes follow a completely new story of "true crime", with a new case and all characters sneaked into the mood of the original. 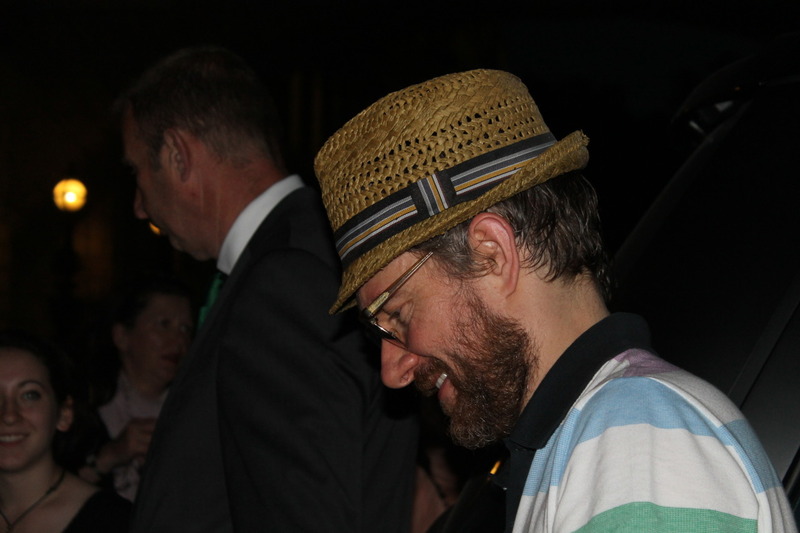 "This project is written by Noah Hawley (" The Unusuals ") with Joel and Ethan Coen among its executive producers. 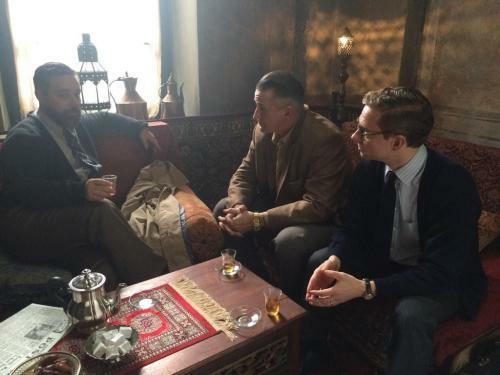 The series will air in the U.S. on April 15. 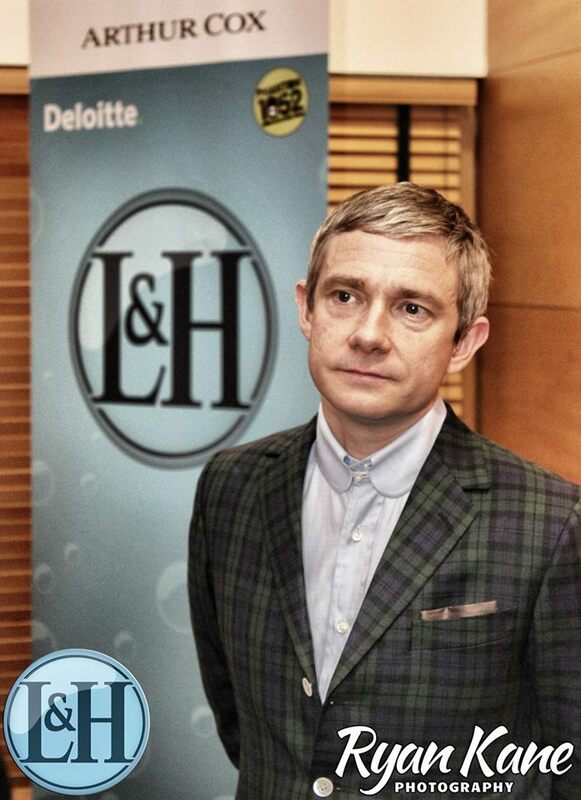 Martin was nominated for Jameson Empire Awards in the Best Actor category, vote for him! 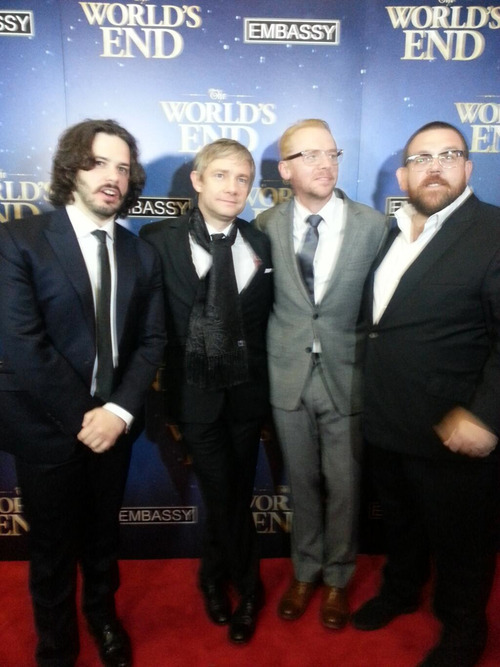 Similarly, the Hobbit: The Desolation of Smaug, where Martin interpreter Bilbo Baggins, is nominated for Best Film, Best Sci / fi Fantasy, and The World's End, where Martin is this time Oliver Chamberlain was nominated in the categories: Best Comedy and best british film. Voting only takes a few seconds to your keyboards! J'essaierais de traduire le texte dès que j'ai du temps à moi. 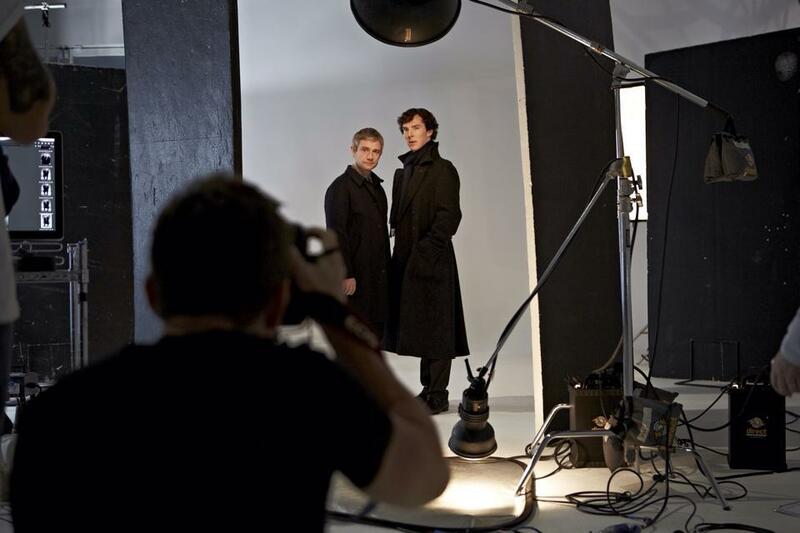 Steven Moffat has brought bad news for fans of Sherlock after the reference in a recent interview that next season might not appear in the TV screens until 2016. " If people have to wait two years, they will have to wait two years," said co -creator and producer of the police drama . 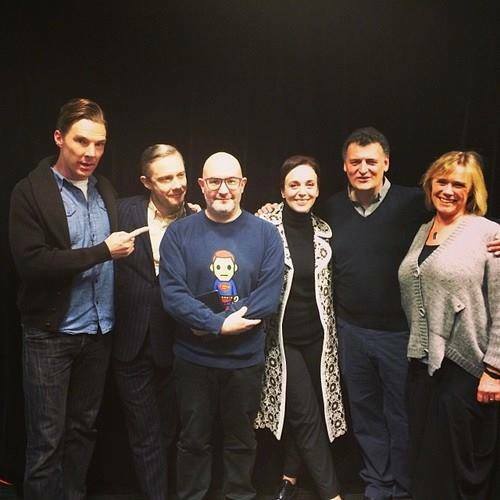 Asked about the future of Sherlock, Moffat has insisted he had "no idea." 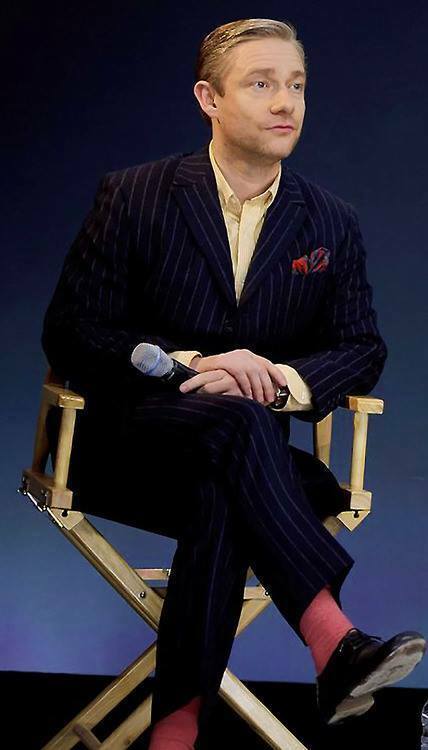 " We will do what we can, but without sacrificing quality - thing is for sure ," he has said, "It is not the kind of show that runs all the time, it 's just not do . But the good news is that probably . . this means it will rotate sporadically for a long, long time . " 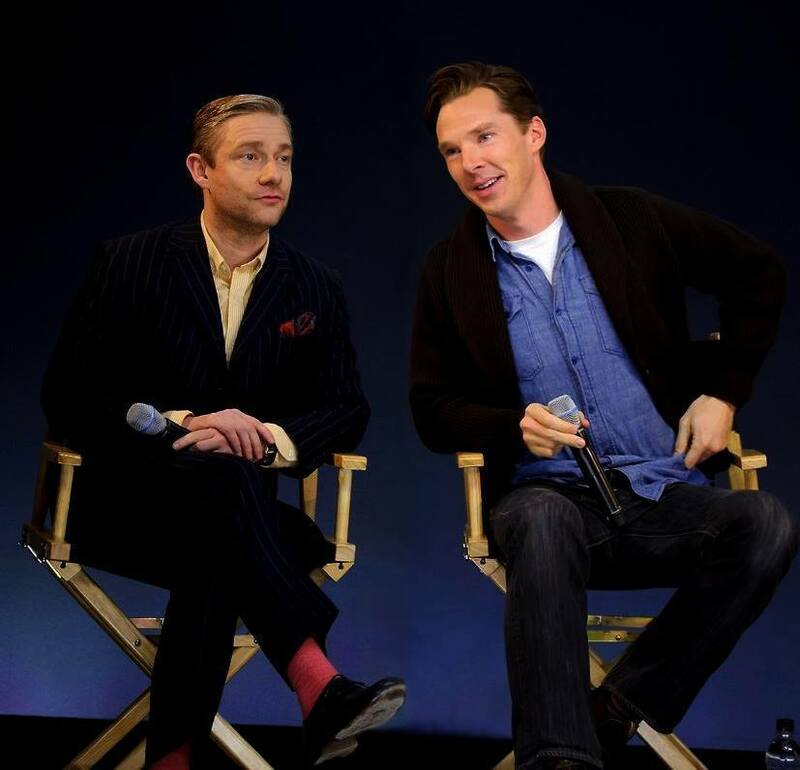 The main actors Benedict Cumberbatch and Martin Freeman are in high demand after the success of Sherlock, which means that shooting for the new episodes will depend on their working hours . 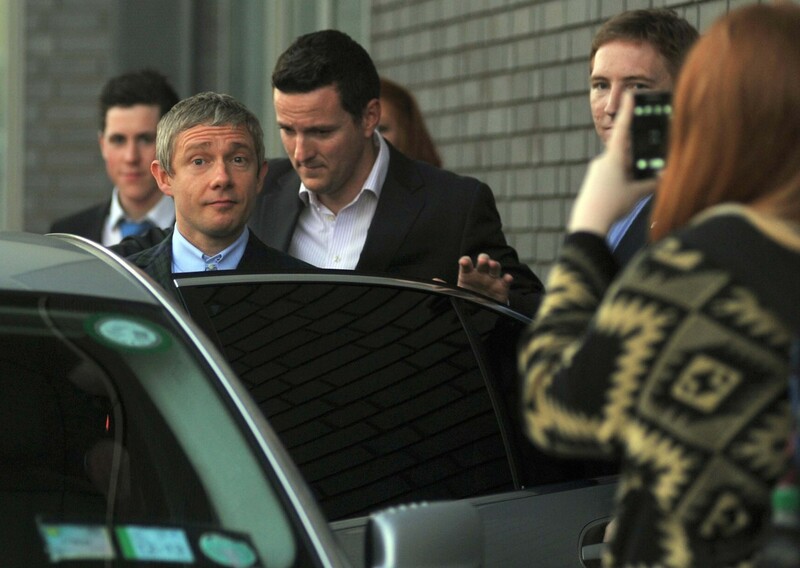 Moffat is a very busy man also . 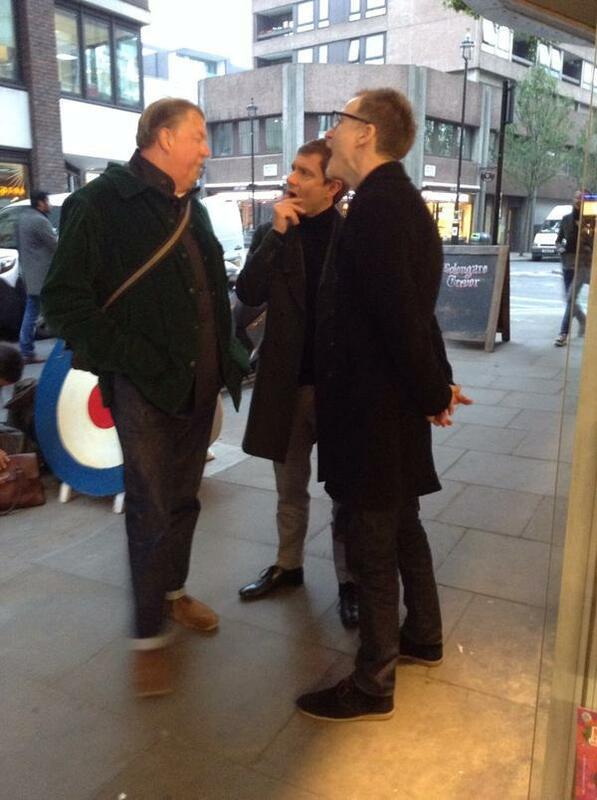 It just started with the new Time Lord , Lord Peter Capaldi on the next season of Doctor Who series . 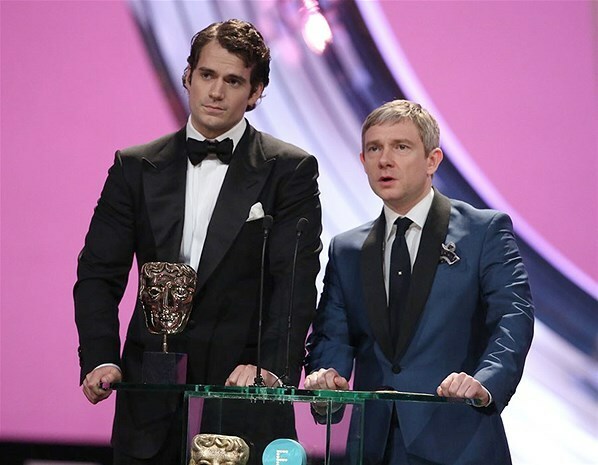 Sherlock fans should not despair , however, because Moffat and his co -creator Mark Gatiss revealed to the press that the BAFTA fourth - and perhaps even the fifth - season were plotted. 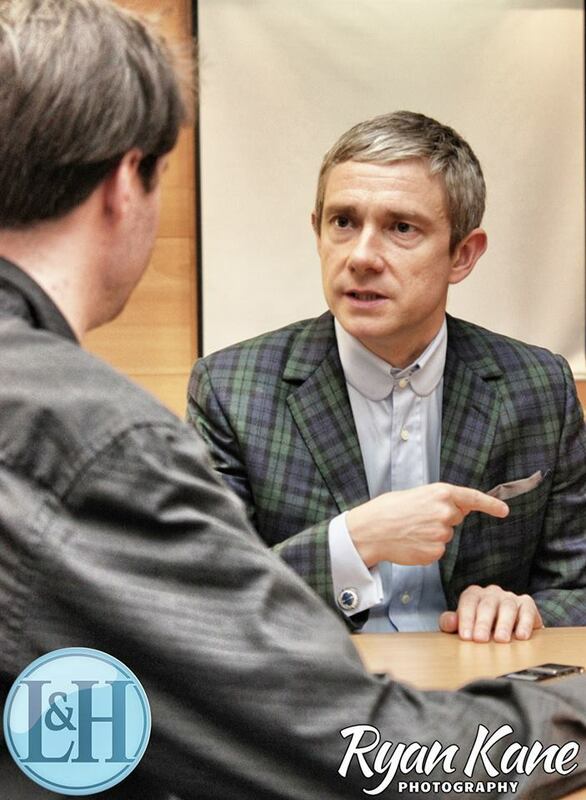 Unexpected "surprise" the return of villain Moriarty in the final season 3 will have an impact on future episodes. " 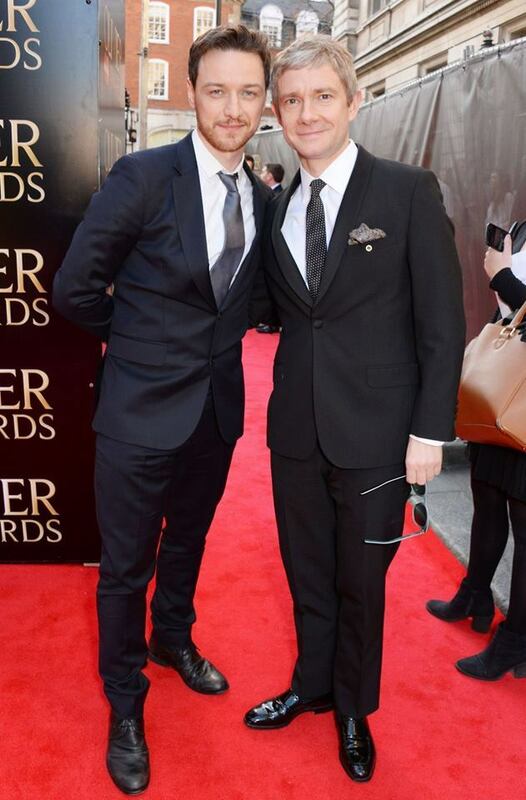 We always knew what we were going to do with Moriarty ," said Moffat in TV Guide . " 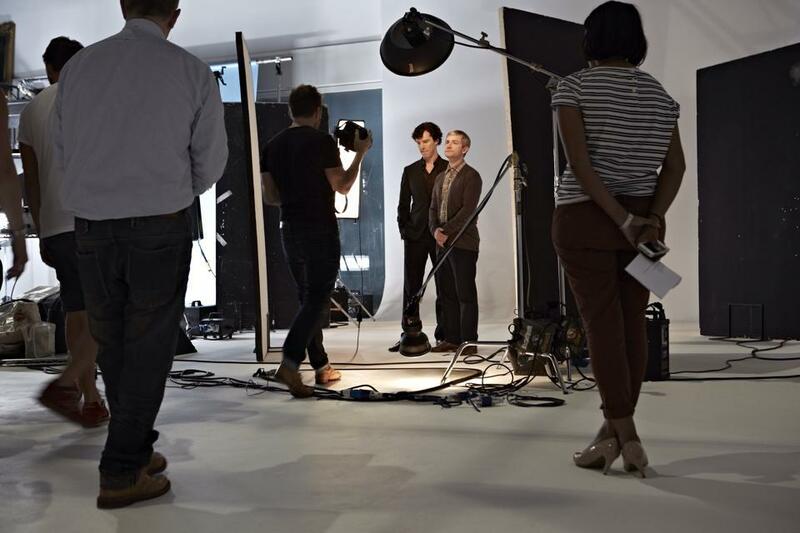 I will not say what we do, but we have plans , and I think they are the best set of ideas that we've had for Sherlock. " 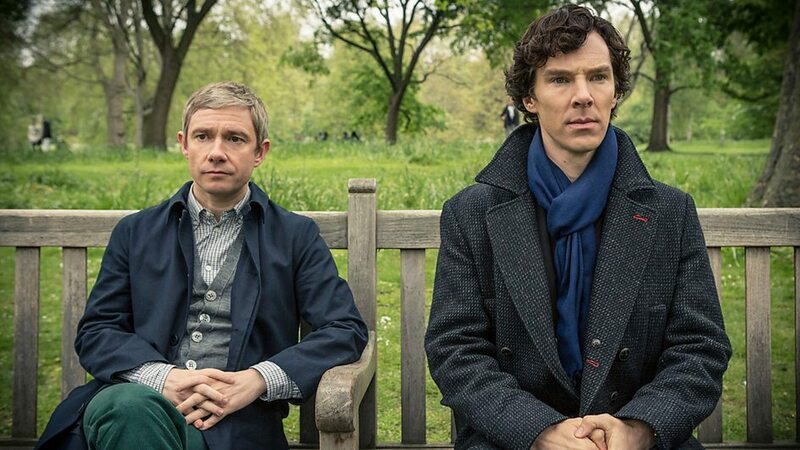 Fans of the show of the popular BBC was forced to wait two years for each series so far, but if the broadcaster has nothing to do with it , Sherlock will be back in our living rooms sooner rather than later. 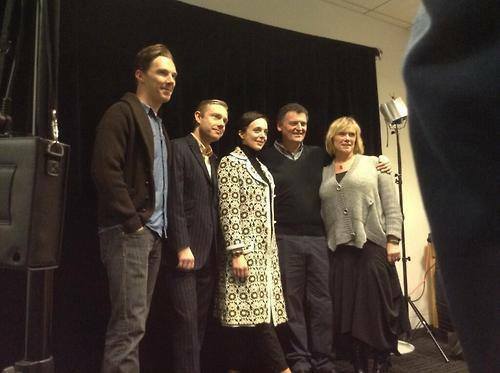 BBC bosses are keen to broadcast a special Christmas Sherlock to cash in on the popularity of the show . 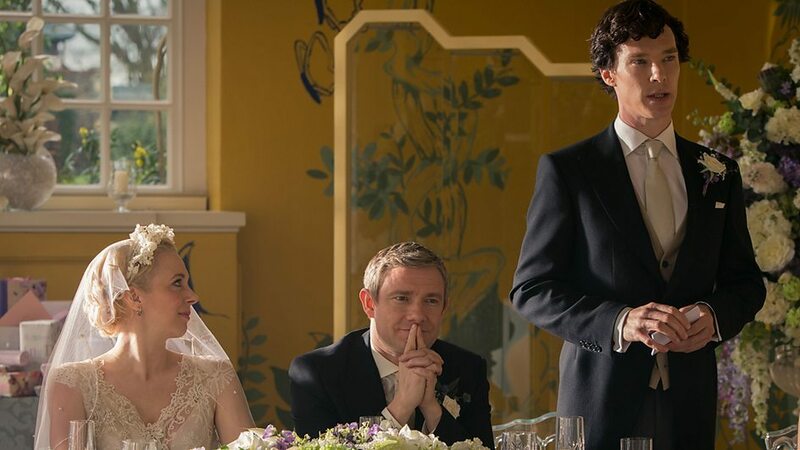 The third season into three parts was the most watched BBC drama broadcast in more than a decade, pulling in an average of 11.8 million viewers when it was screened in January. 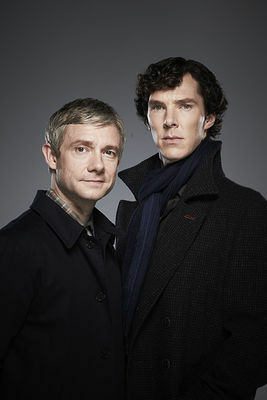 Cumberbatch has recently won the TV detective at the National Television Awards for his role as super - mysterious detective. 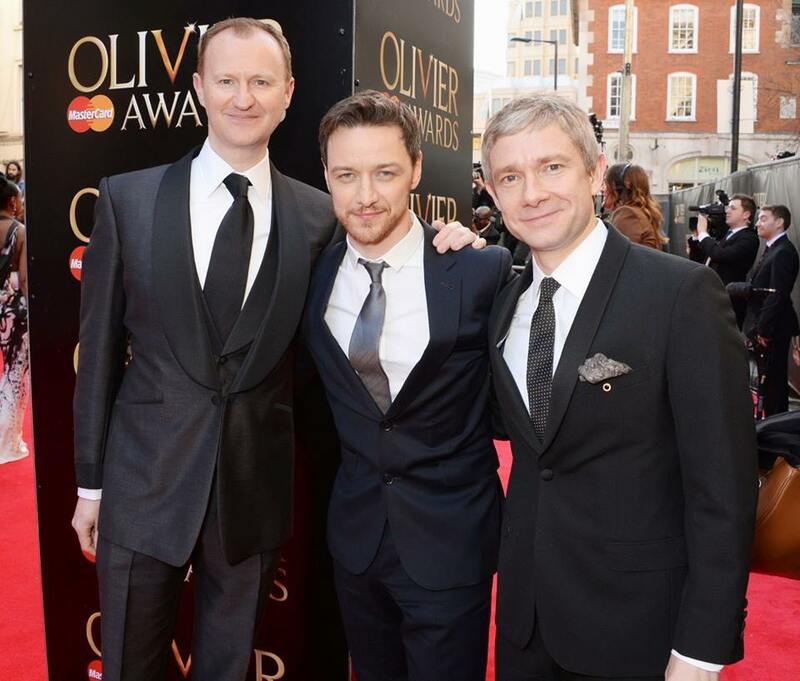 It is believed that the British actor has been cast in a new thriller Blood Mountain , directed by Sergei Bodrov . 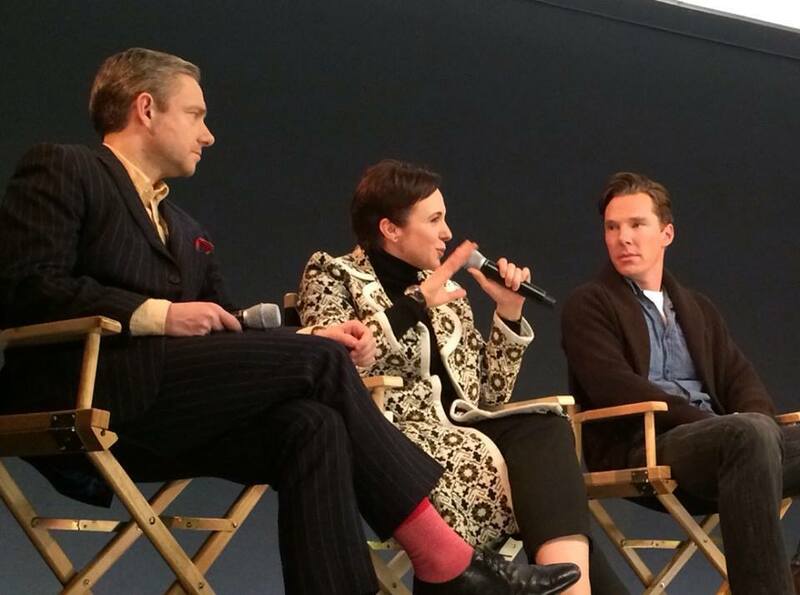 The cast of Sherlock spoke in February 4th, in London, Covent Garden Apple store, here are some images. De nouvelles photos sont tombées, prise par le talentueux photographe Ian Derry. For those who dream to help the famous detective in his hunt for criminals, it will soon be feasible. Titled 'Sherlock: The Network, the game will be an adventure in which you will be a member of the network of homeless Sherlock. Players will be able to operate in London, taxi, subway, or walking, help Sherlock and John for their business, get messages and the ultimate challenge: infiltrate the enemy, disrupt his plans. For each new business, it will talk to witnesses, receuillir evidence, observe or decipher codes. 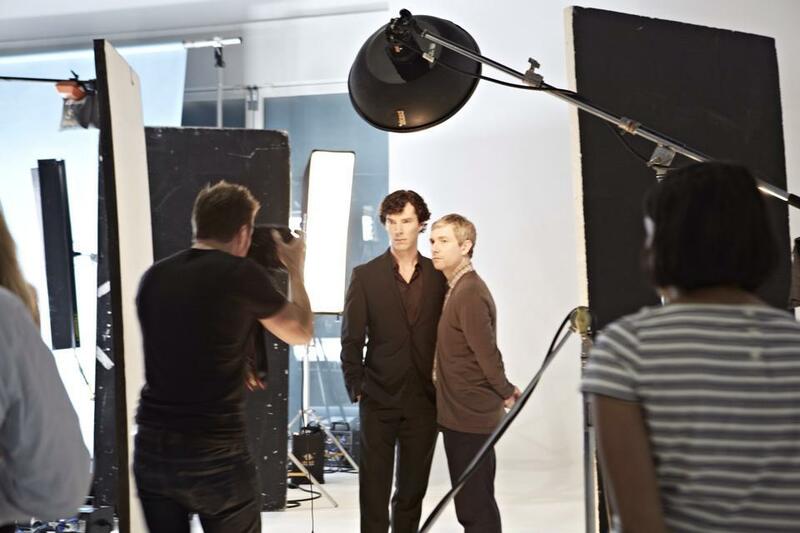 In addition, exclusive videos with Benedict Cumberbatch and Martin Freeman (in their roles as Sherlock and John) will be released while the most emblematic places of the series can be seen. 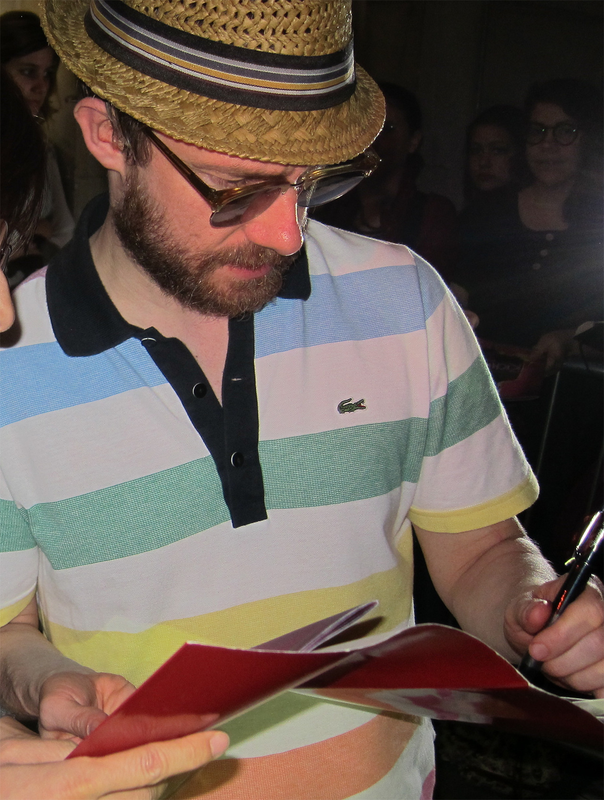 Actors Fargo, presented the January 14 series FX chain. 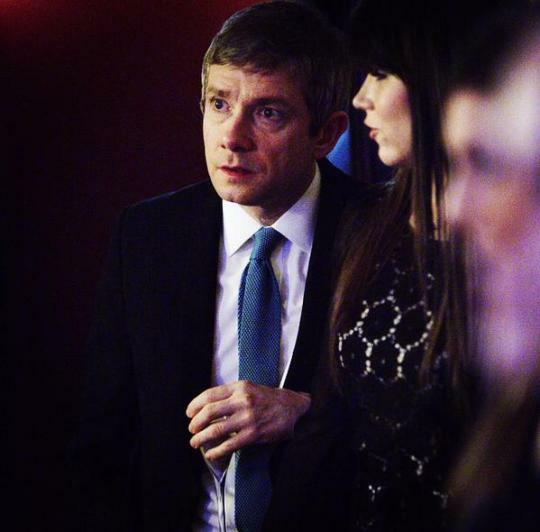 Dissemination of episode 2 of the third season, "The sign of three," some official photos. BEWARE OF SPOILERS. 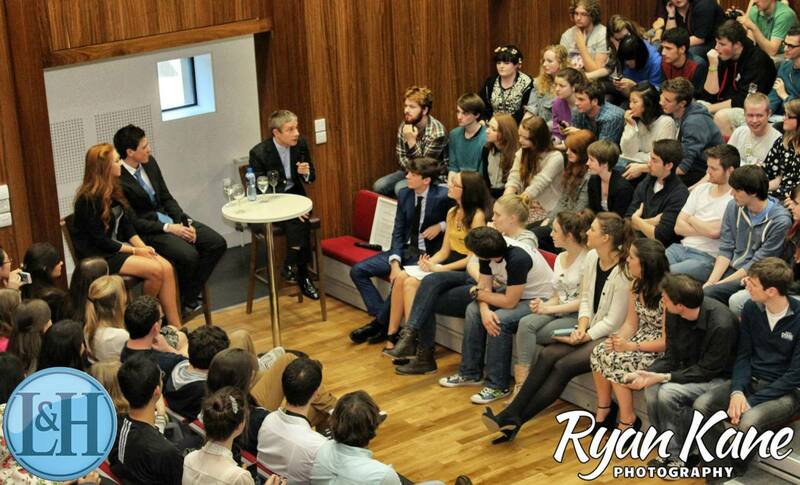 In the meantime, here are some pictures of the second episode! 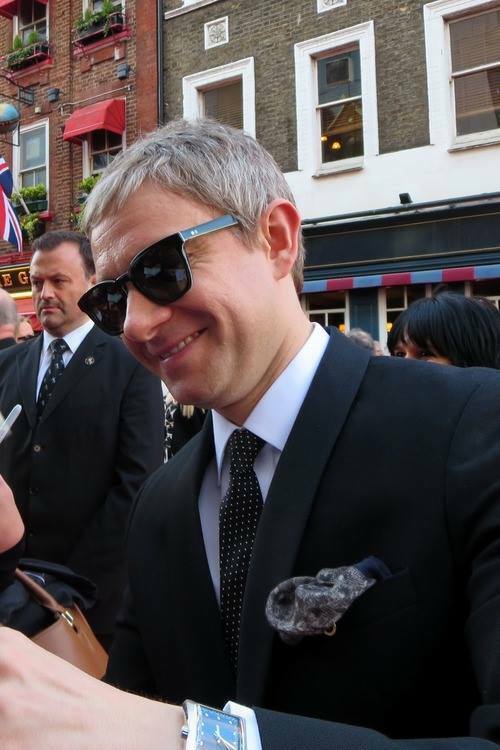 Pour les anglophones, voici un petit lien vers une discussion de Martin Freeman dans le Trevor Nelson's Soul Show, pour la nouvelle année. Bonne écoute ! 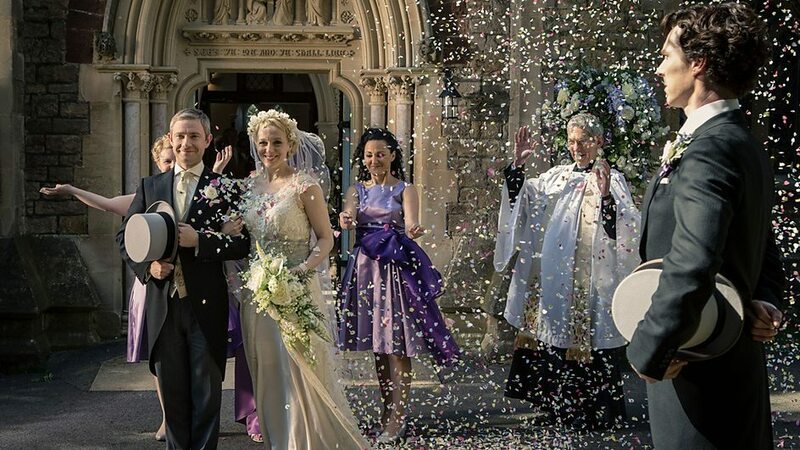 On 1 January 2014, the BBC aired the first episode of season 3 of Sherlock, "The Empty Hearse". 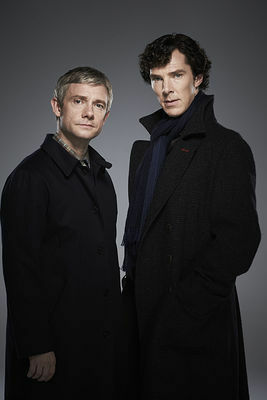 Eagerly awaited the return of Sherlock was watched on television by 9.2 million British viewers. You can read more here, but beware of spoilers! 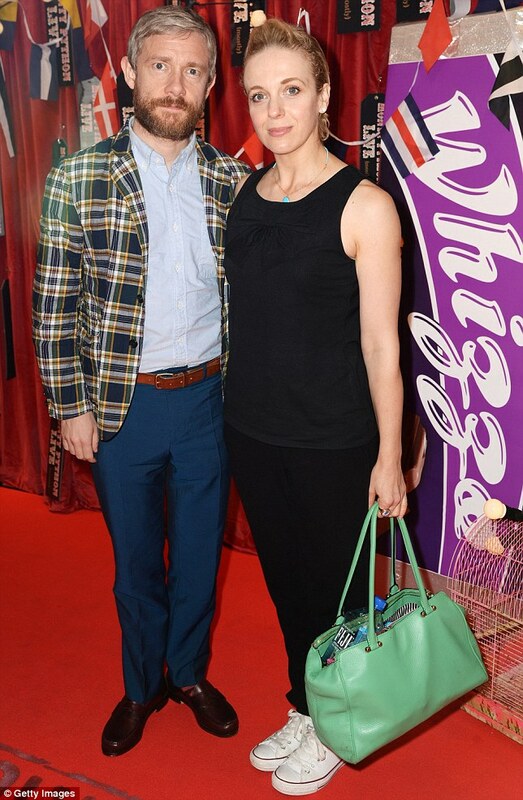 Une petite image du réveillon de Martin et Amanda ! 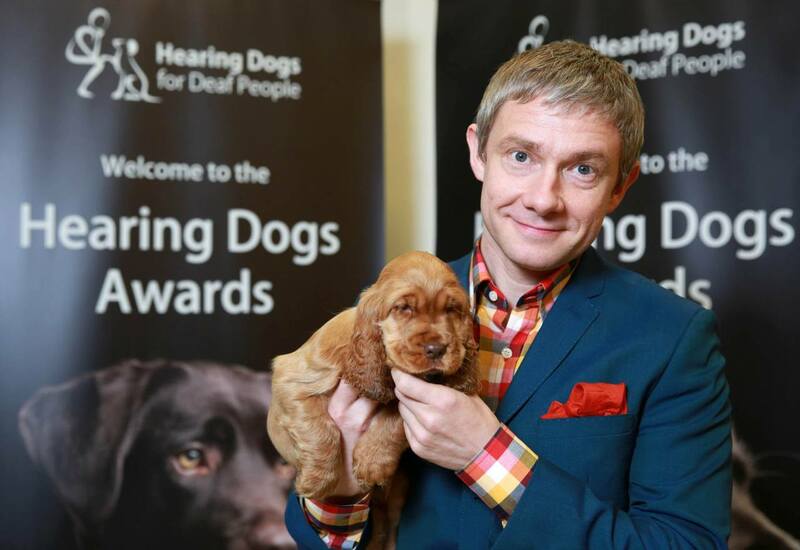 Today, Martin Freeman had participated to the Hearing Dogs Award, an occasion witch concern the dogs for the hearing peoples. 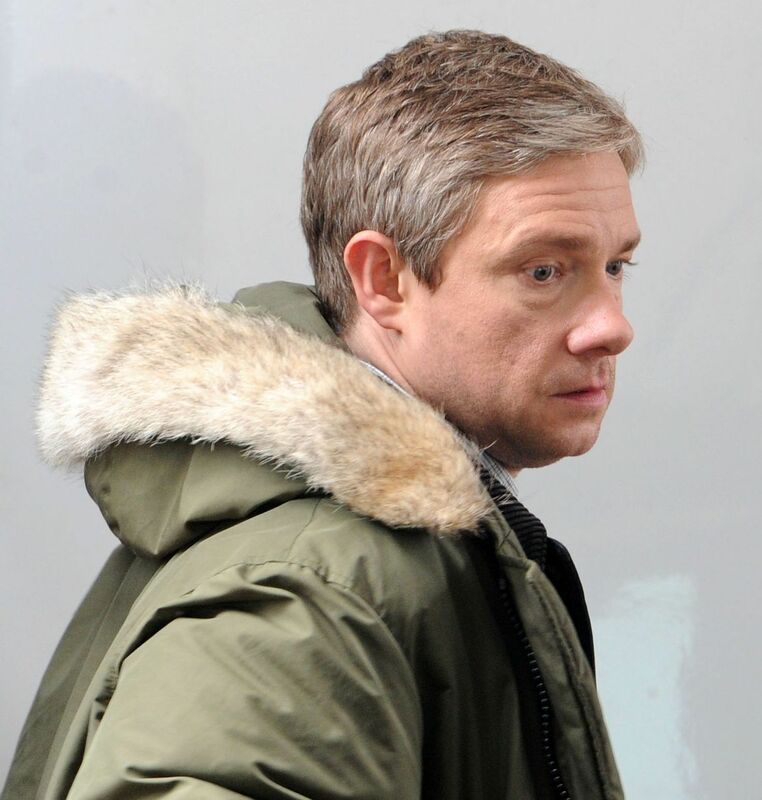 Martin will act in a new series, FARGO, in the role of Lester Nygaard. 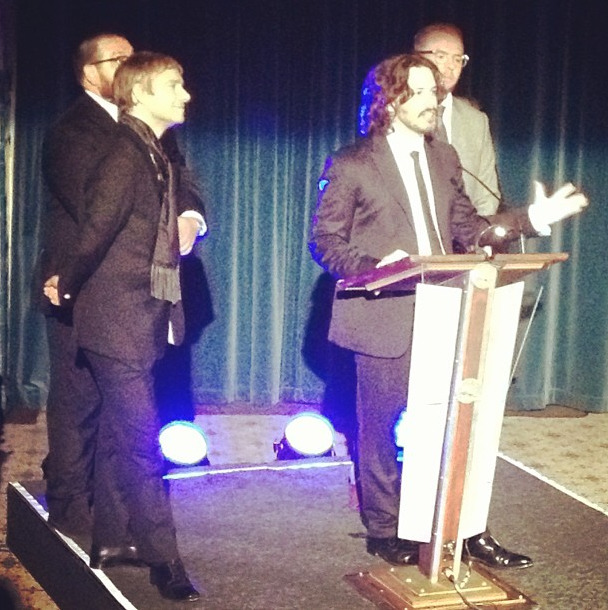 Filming will begin in October in Canada to finish small screen on the channel FX in spring 2014. Behind the Camera: Adam Bernstein, the directors of some of the episodes of "Californication" and "Breaking Bad." The project consists of 10 episodes. 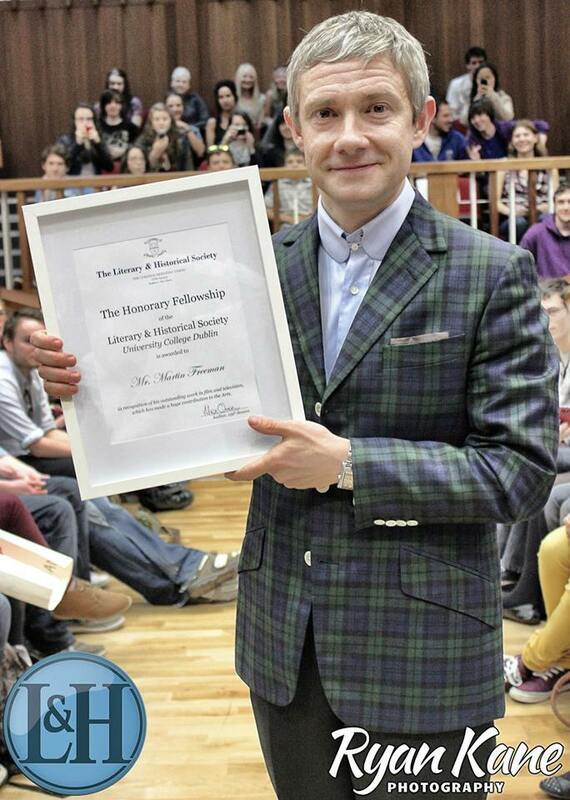 This October 5, Martin Freeman was honored with the Honorary Fellowship of UCD Literary & Historical Society. I would like to say a great big thank you to all those (and yes the women) who helped me with this project would never have happened if you would not have been there. 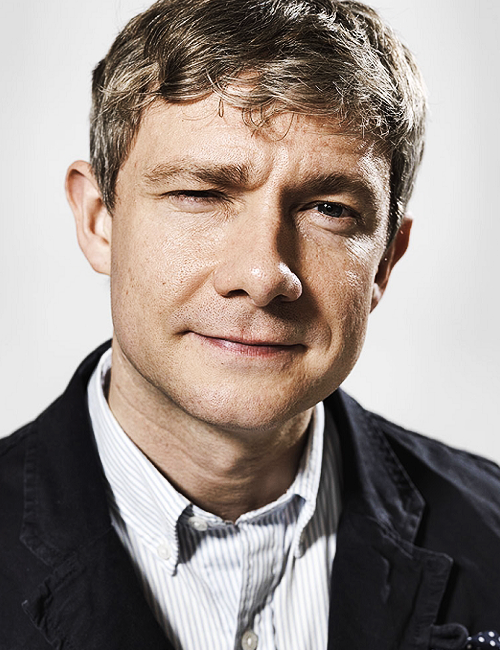 A very very happy birthday to Martin Freeman is a great actor in the eyes of many. 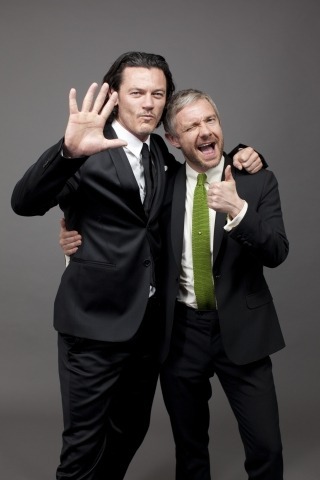 And here is the video for Happy Birthday Martin, I will spread on twitter and facebook site. Thanks again girls. 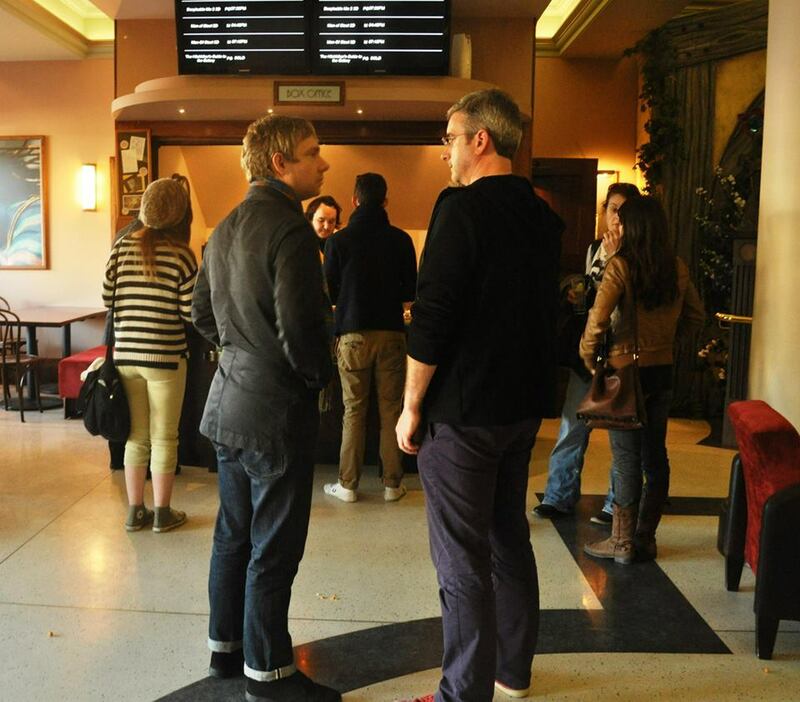 Today, in most of the French cinema, you can find Martin Freeman on screen in The World's End (translated into French by the last pub before the end). 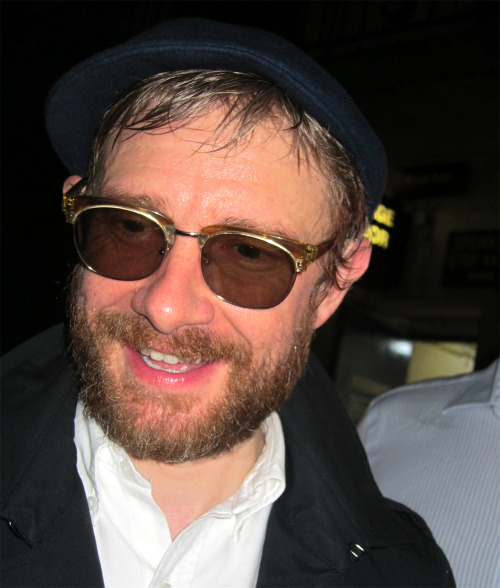 In this film, Martin plays the role of Oliver Chamberlain. Good movie at all! Three short videos "Behind the scenes" to see a little behind the scenes of the movie "The last pub before the end of the world." In our cinemas on August 28, 2013, do not forget! 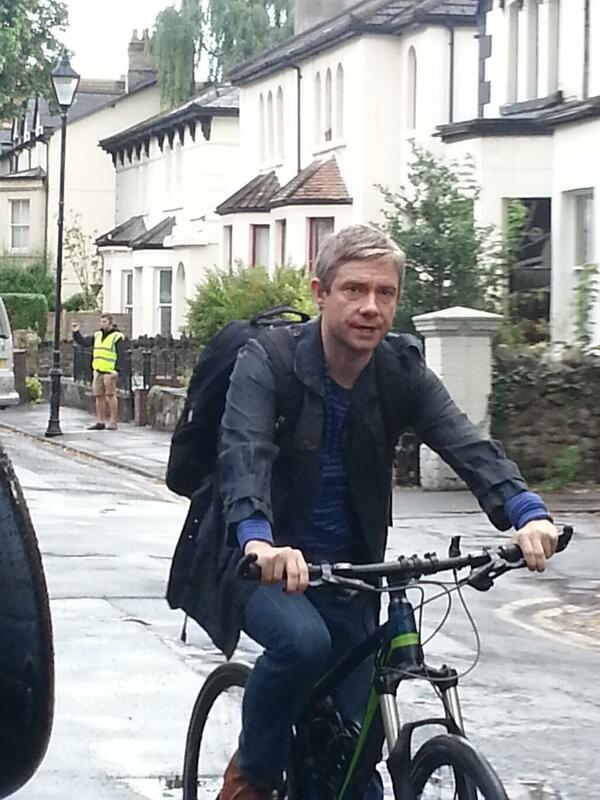 Small note: We see a little more in the second Martin! 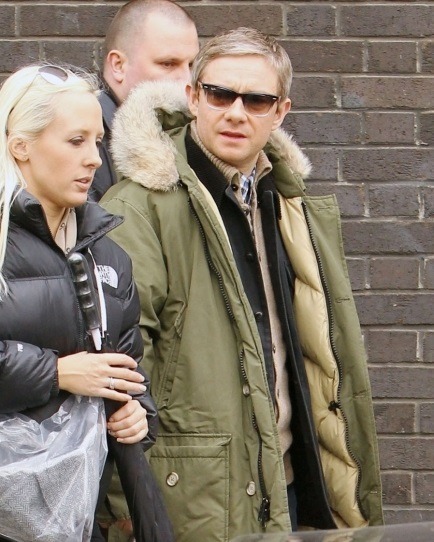 D'autres images de Martin et Amanda sur le tournage de Sherlock à Cardiff. 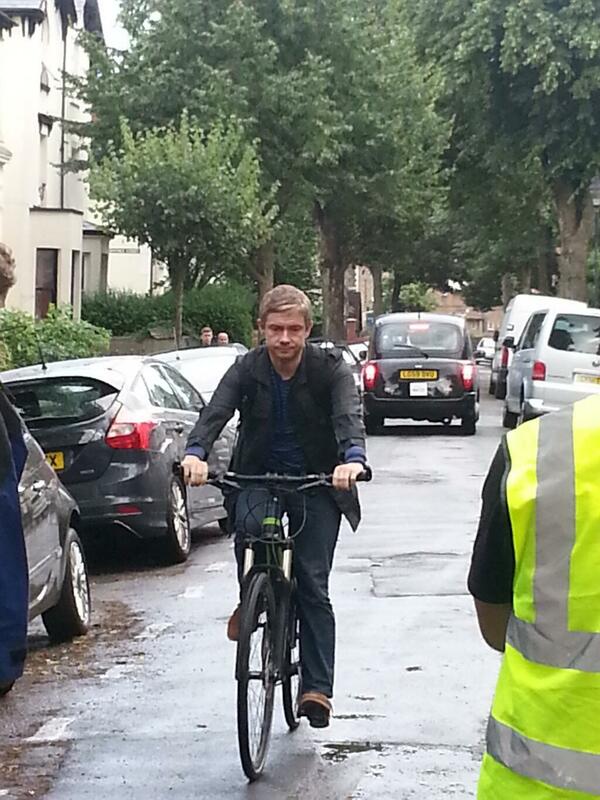 Tournage Sherlock - Martin on a bike ! 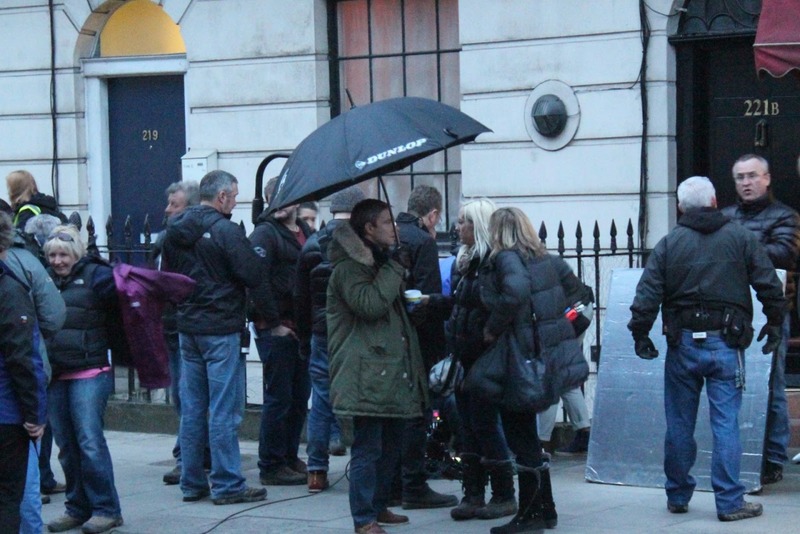 Some pictures on the set of Sherlock, there's really no spoiler so you can watch. 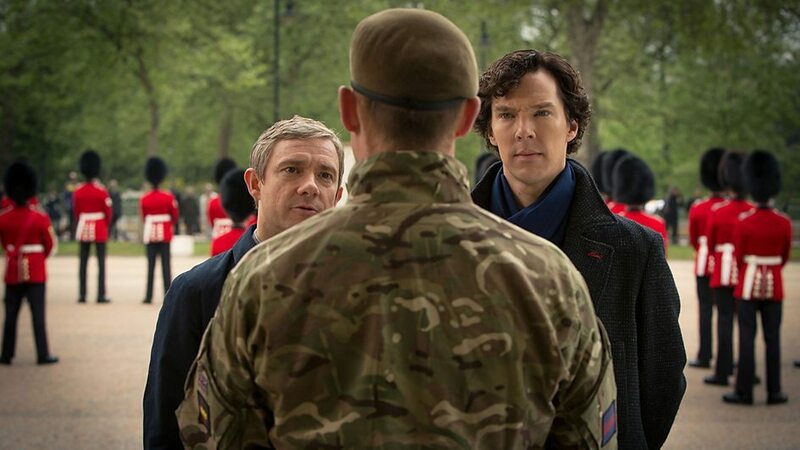 Here is the first trailer for Season 3 of Sherlock. 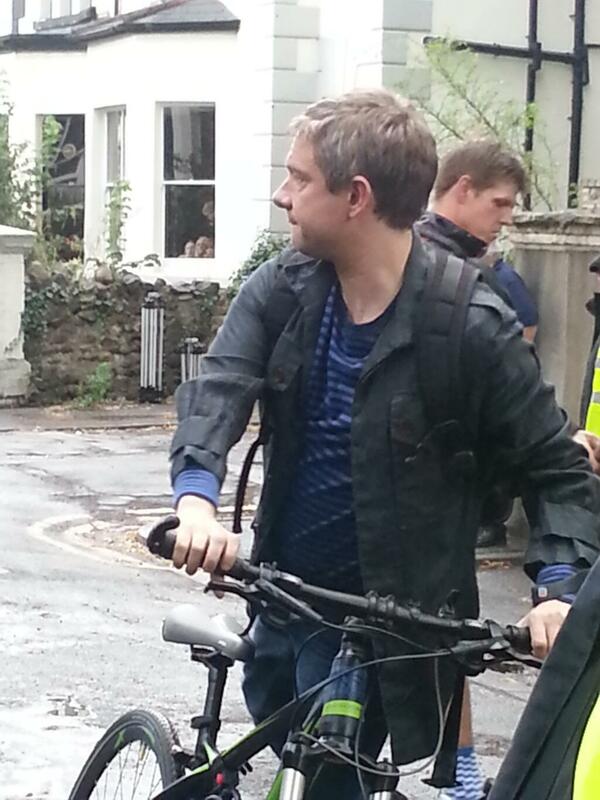 You will see the main characters of the series and especially the new look of John Watson! 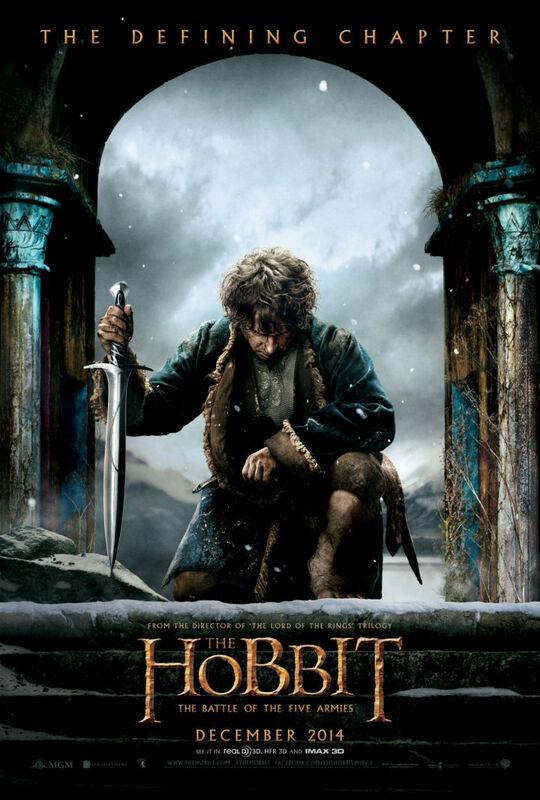 The long version of The Hobbit: An Unexpected Journey will be available from November 5, 2013 in the United States. This version lasted 182 minutes, and additional scenes will be 13 minutes. Here is a video Vostfr (must activate). 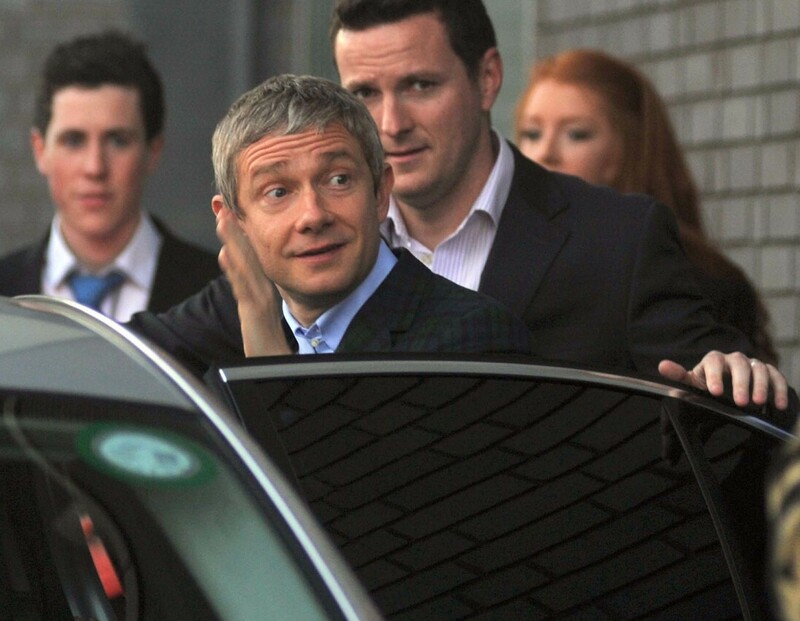 Je vous propose de lire un article sur Sherlock, vous trouverez quelques informations sur Martin Freeman dans ces écrits forts intéressants. Merci au site français de Benedict Cumberbatch pour cette traduction. 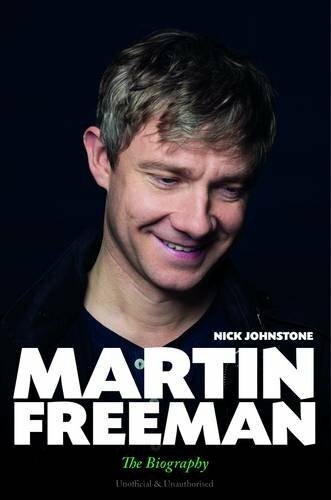 A biographical book about Martin Freeman will be released on October 10, 2013. It is not official. You can buy it now (on amazon for example), but you will not receive until October. It was written by Nick Johnstone, who also wrote the biography of Johnny Depp. You can already see the cover of this book of 288 pages. 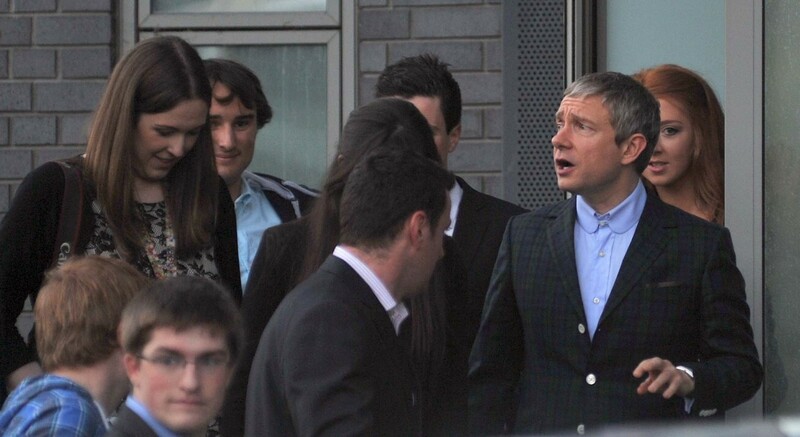 A new video of Martin Freeman and Benedict Cumberbatch. Message for Comic-Con! 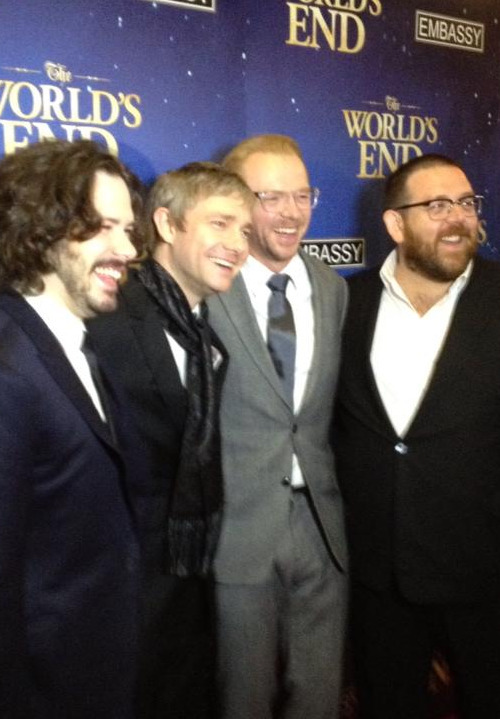 The premiere of The World's End was held in Wellington. 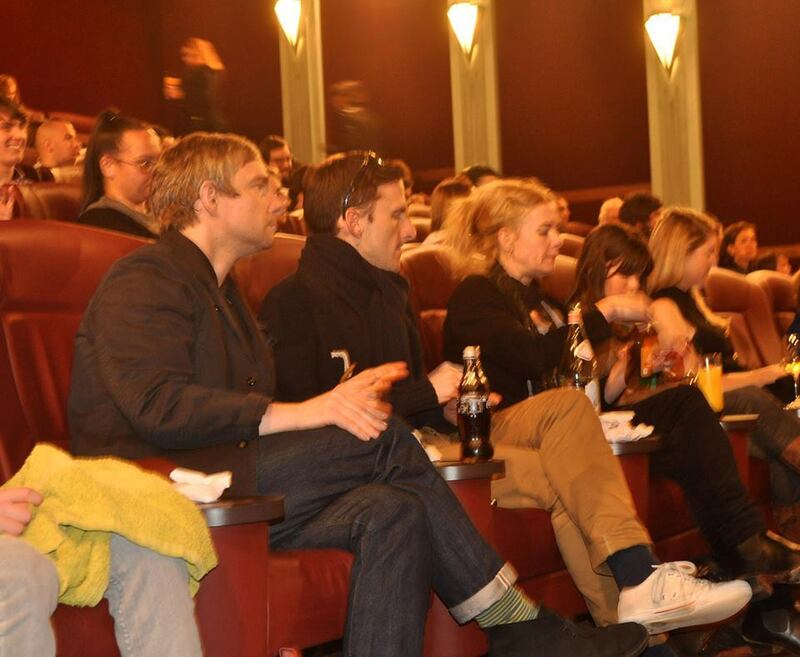 Martin Freeman was there with other actors in the cast of The Hobbit including Benedict Cumberbatch. 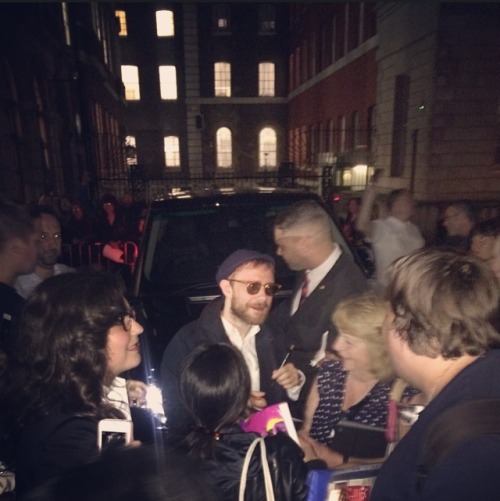 Meanwhile the London premiere, here are some pictures. 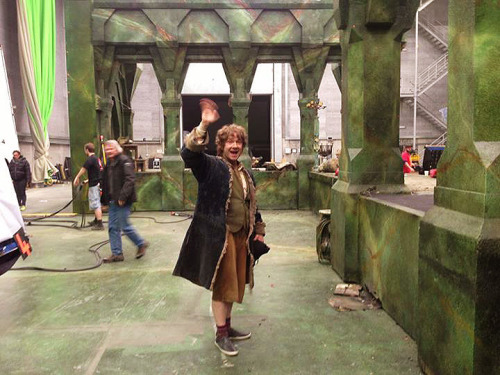 Martin Freeman sur le tournage du Hobbit. 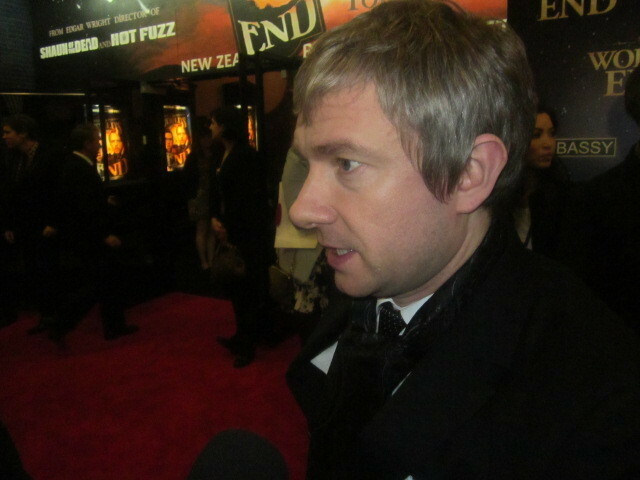 The filming of The Hobbit has ended and Peter Jackson said these words: "Tonight Martin Freeman finished his last shot as Bilbo Baggins. The end of an incredible two and a half years. 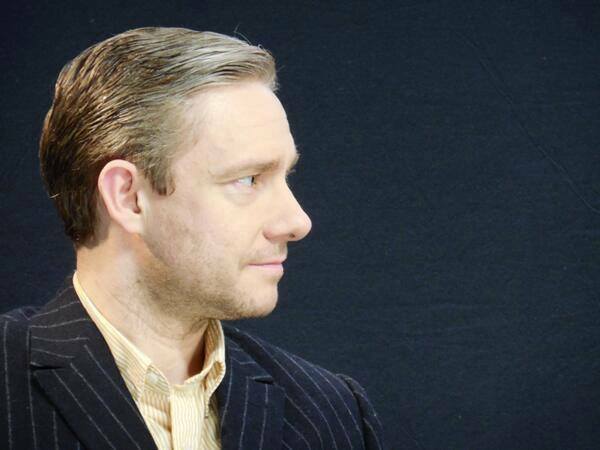 I cannot imagine anyone else in this role - a character that Martin has nurtured and crafted with love and great skill. 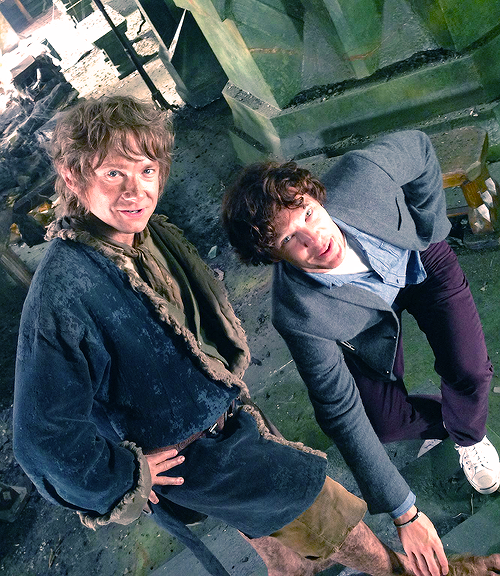 We have said goodbye to our elves, humans, wizards and now the hobbit. We now enter our final 2 weeks of pick-ups, and it's wall to wall dwarves. These pick-ups have been gruelling and intense, but I'm so happy with what we've been shooting. These next two movies are going to be pretty great!". Ici, deux photos de fin de tournage. 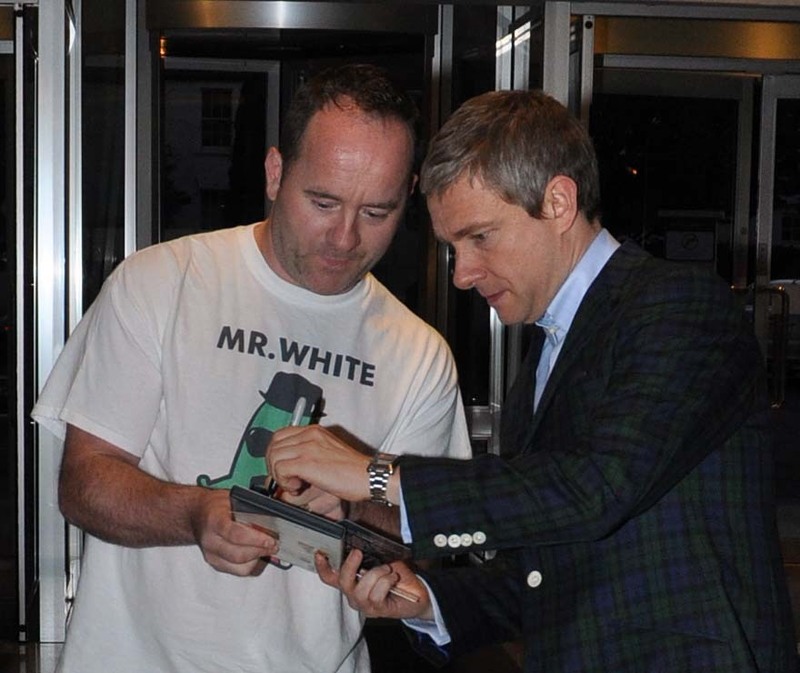 Some New Zealanders have seen Martin Freeman at the Roxy Theatre in Wellington on 7 July. Places are limited. During the afternoon, a projection h2g2 the hitchhiker's guide to the galaxy and answer question were organized. 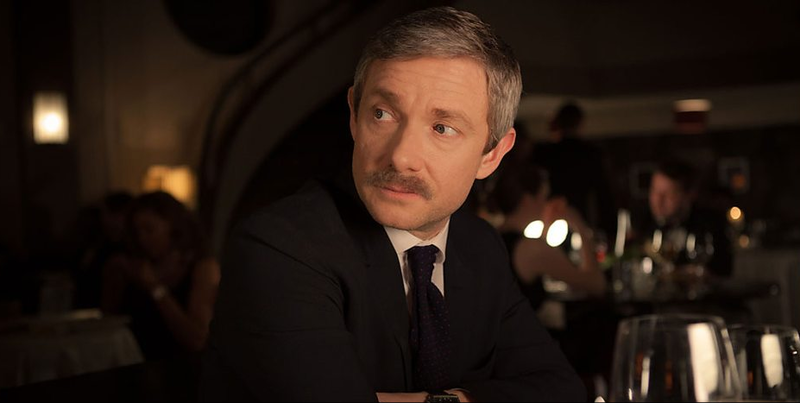 Sherlock series, where Martin plays the role of Dr. Watson, is rebroadcast on the channel France 2 from Wednesday, July 3, at 20:35. Voila une petite vidéo pour les fans du Hobbit, concernant le making of du film. 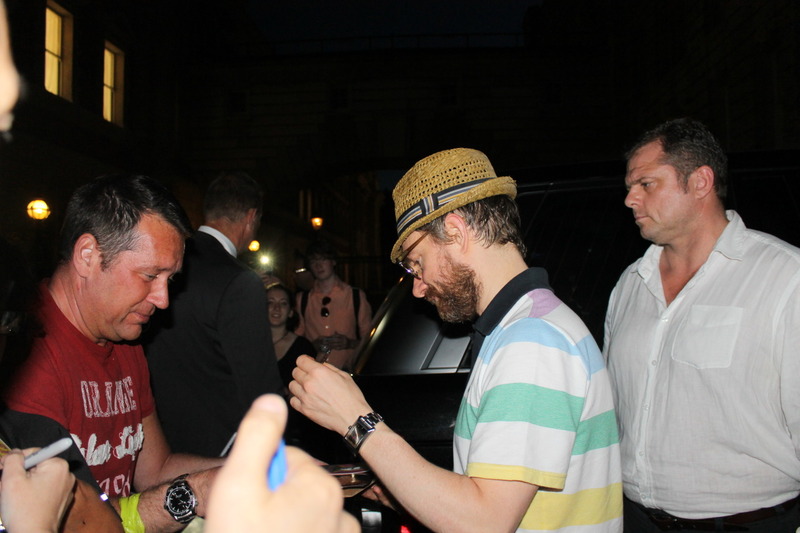 here is a drawing made by Martin Freeman for the occasion of the Kaos Organisation visual and performing art, which will be held July 12, 2013. 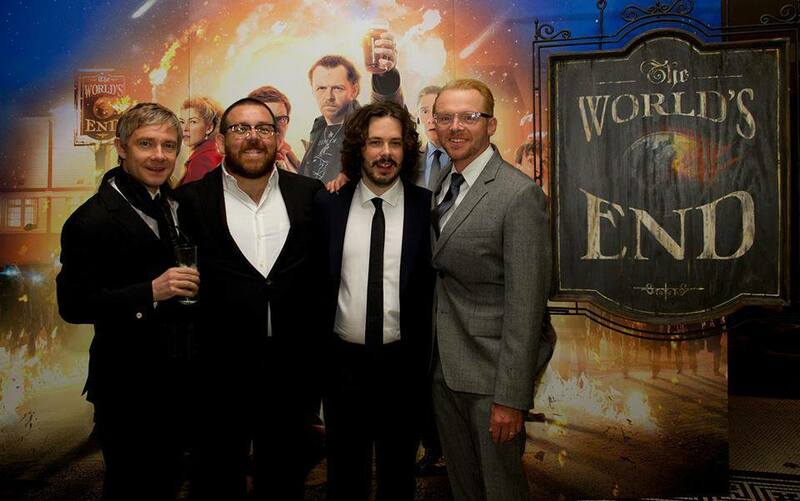 It is a charity, other artists showed their talents and notemment Simon Pegg. Les nouveaux trailers du film. 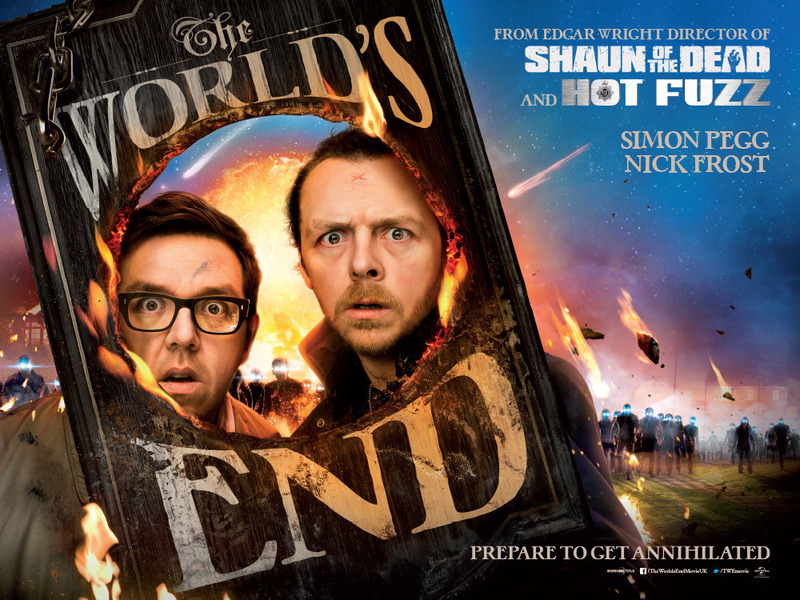 La sortie du film The World's End, de Edgar Wright (Shaun of the Dead, Hot Fuzz) a été avancée pour les anglais, c'est à dire qu'ils pourront admirer ce nouveau chef d'oeuvre dès le 19 juillet 2013. Les français n'auront pas cette chance, ils devront patienter jusqu'au 16 octobre et non pas jusqu'au 25 septembre comme il était prévu. The teaser will be released this Wednesday, in the meantime, he will be satisfied with this new movie poster, posted by Simon Pegg on twitter. 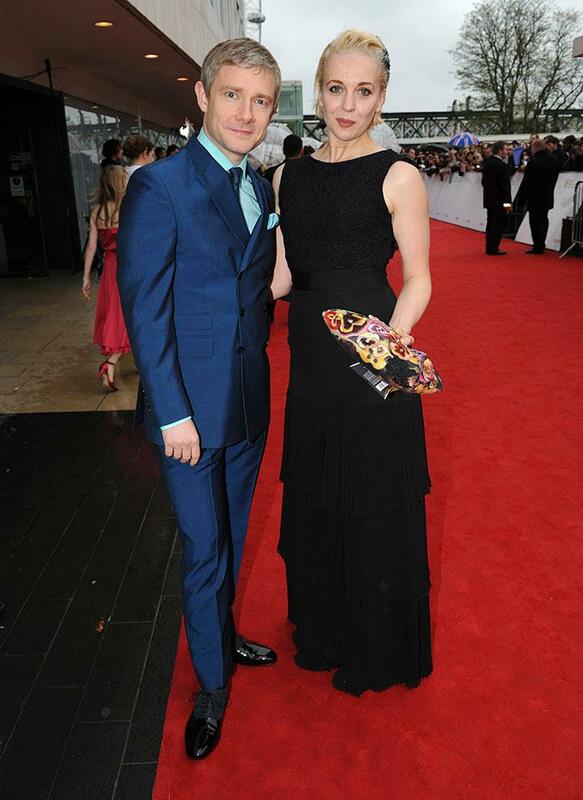 Martin Freeman was present for the BAFTA Television 12 in 2013 but with his lovely partner Amanda Abbington. 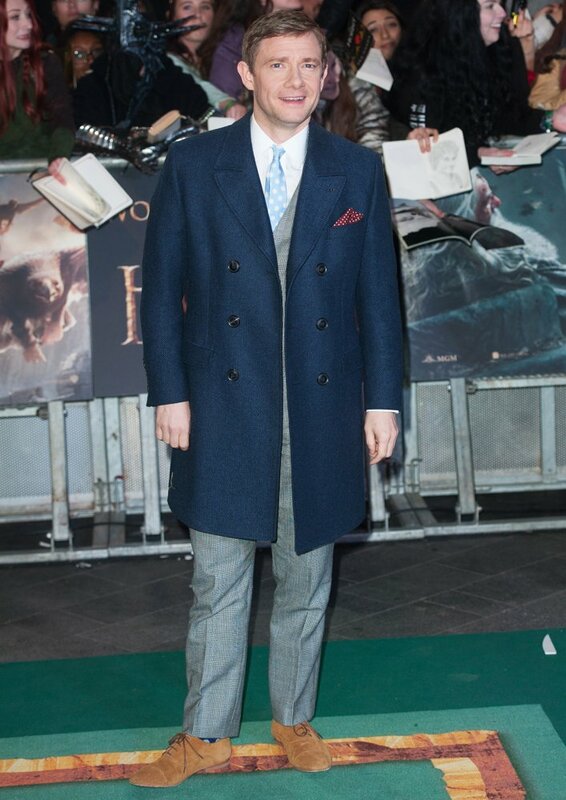 Martin Freeman was present at the premiere of Star Trek: Into Darkness, which took place in London on March 2. 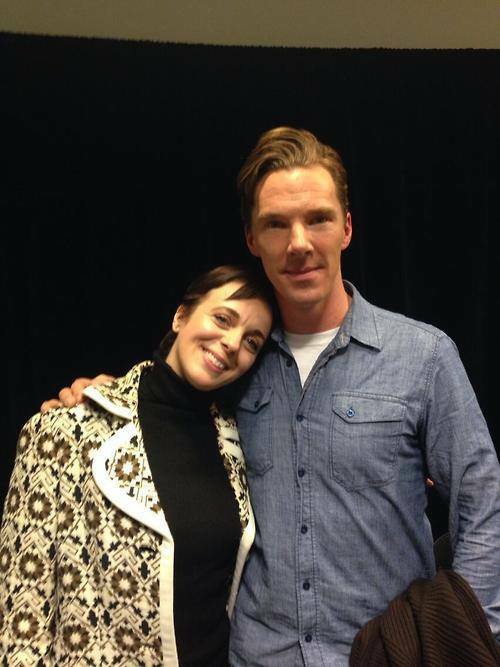 It was with Amanda Abbington, his partner in life everyday. 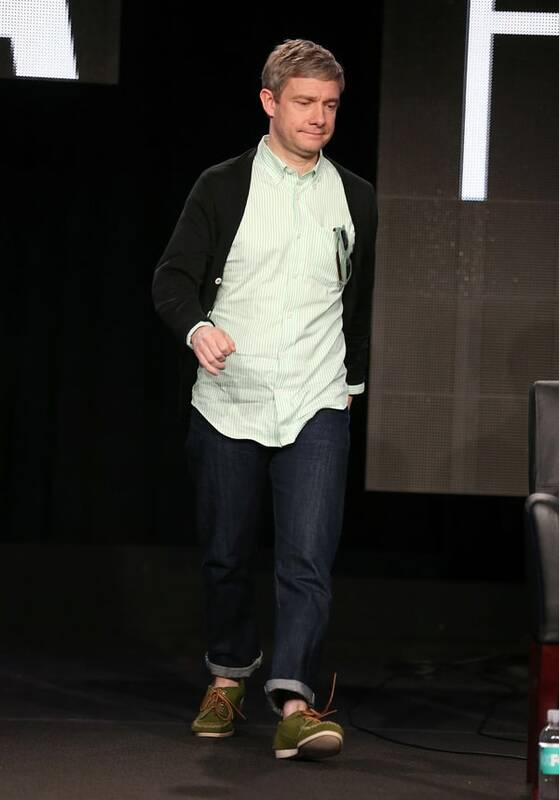 Fans of The Hobbit, Martin Freeman and may welcome and everyone can once again applaud the interpreter of Bilbo Baggins (Bilbo Baggins in original). 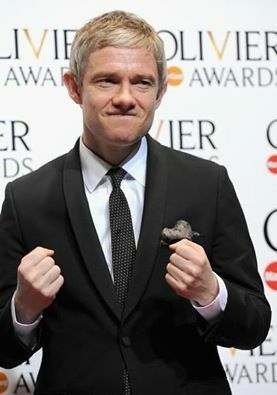 MTV Movie Awards in the category of best hero is Bilbo who wins, not against other lesser-known heroes: Iron Man, Snow White, Hulk, Batman and Catwoman. Our hero has collected 1,637,179 votes through social networks. 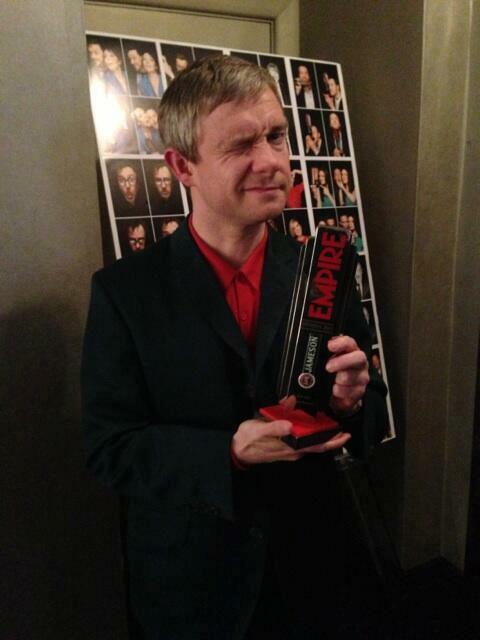 Martin wasn't to the cérémony, so, there are not photos. 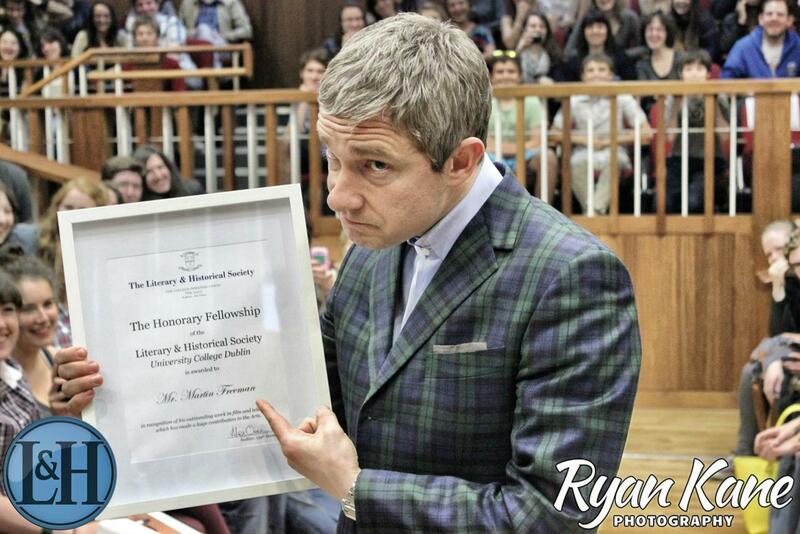 Reward at Jameson Empire Awards for Martin Freeman? 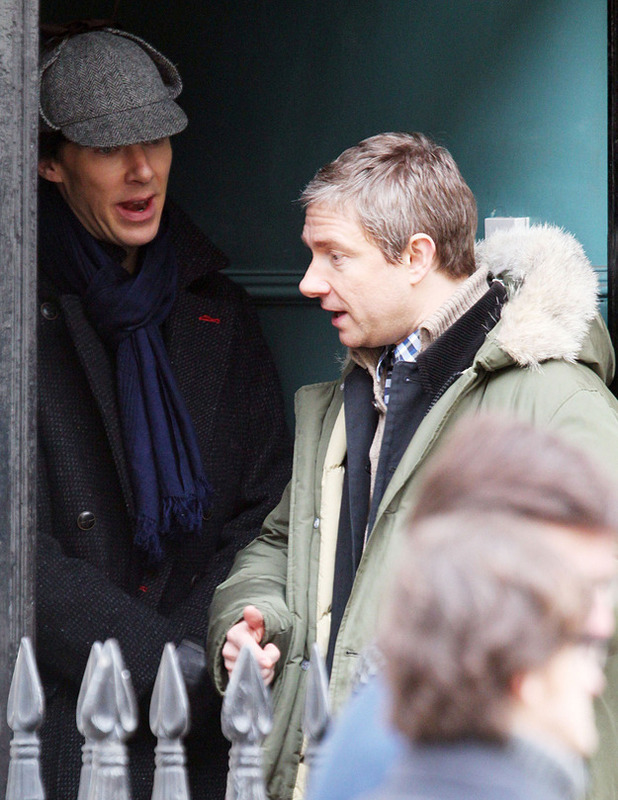 Sherlock reprend les tournages ! 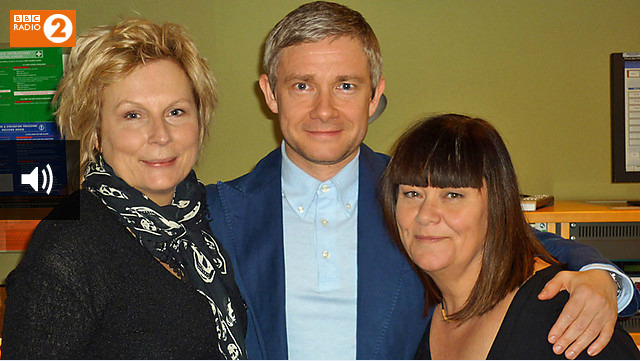 Martin joined the radio show Dawn French and Jennifer Saunders on April 1. 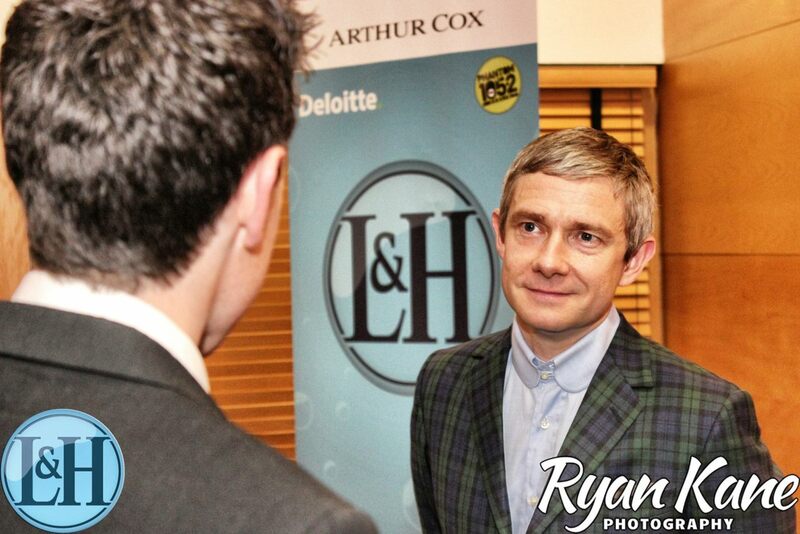 He spoke of the film The Hobbit, Sherlock and I'll let you discover the rest by listening. 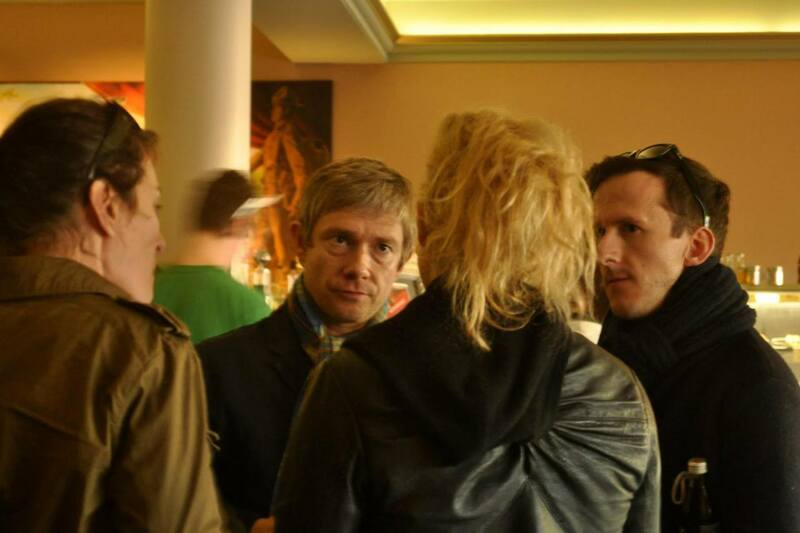 Here some photos of Martin seen at the BBC. 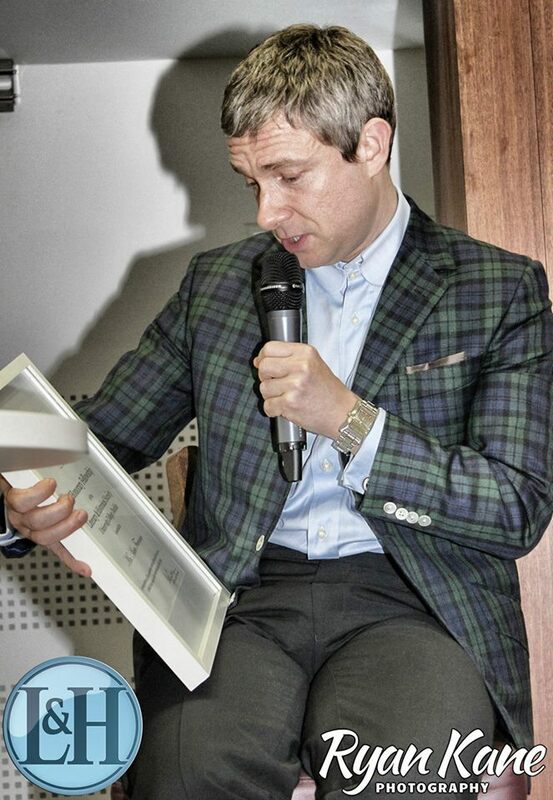 Martin Freeman, who played the role of Bilbo in The Hobbit, a film by Peter Jackson, lasting almost three hours, was honored February 22, 2013 the ceremony of Short Awards 2013 for her role in films less The Hobbit that long. 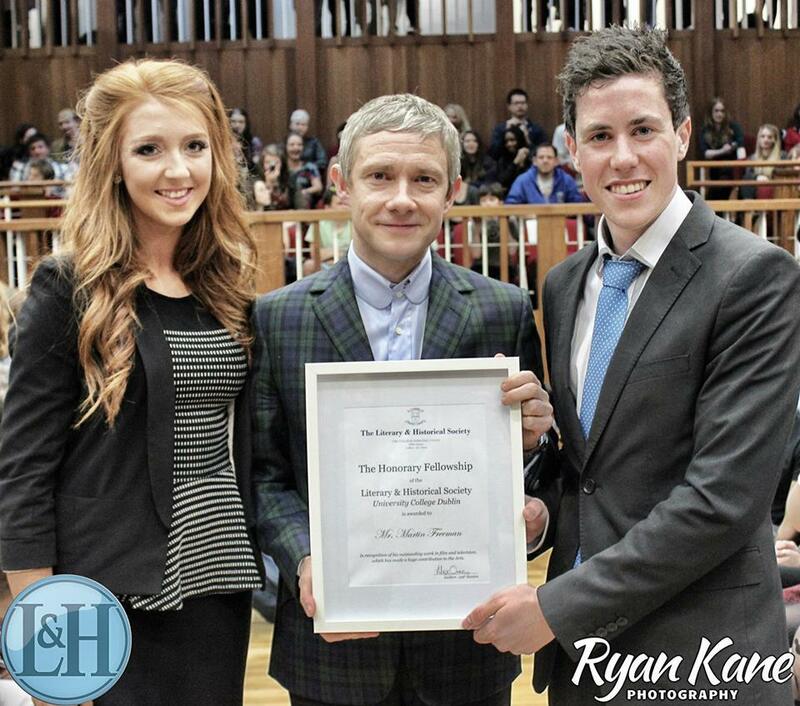 He was present to receive his visionary actor prize. 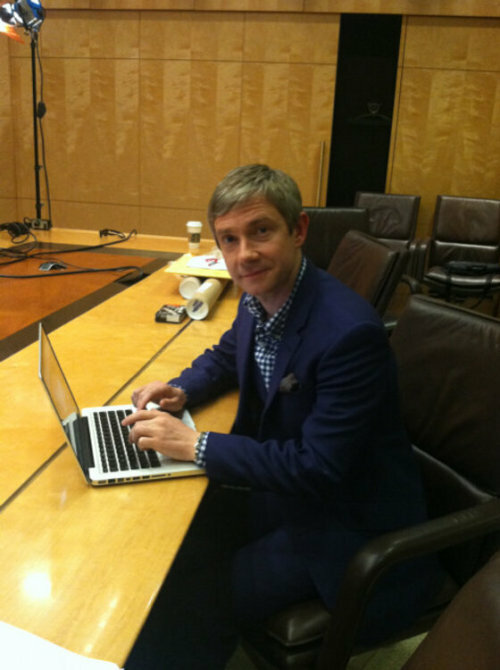 Martin Freeman was on tweeter to answer a few questions from his fans. 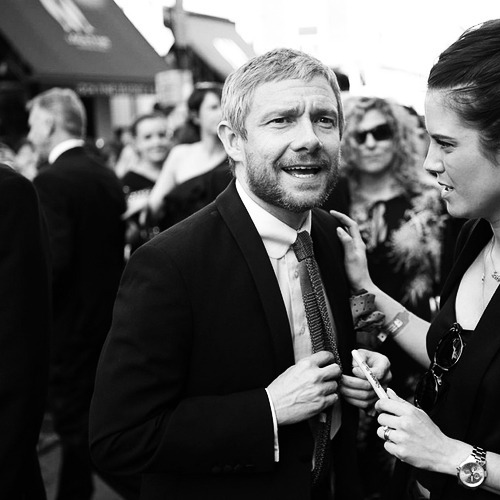 Martin Freeman was a BAFTA for her role in The Hobbit Bilbo.